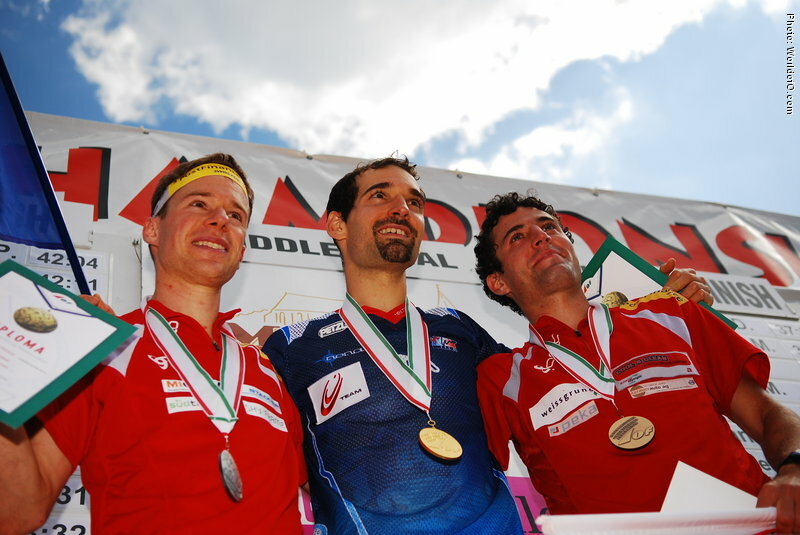 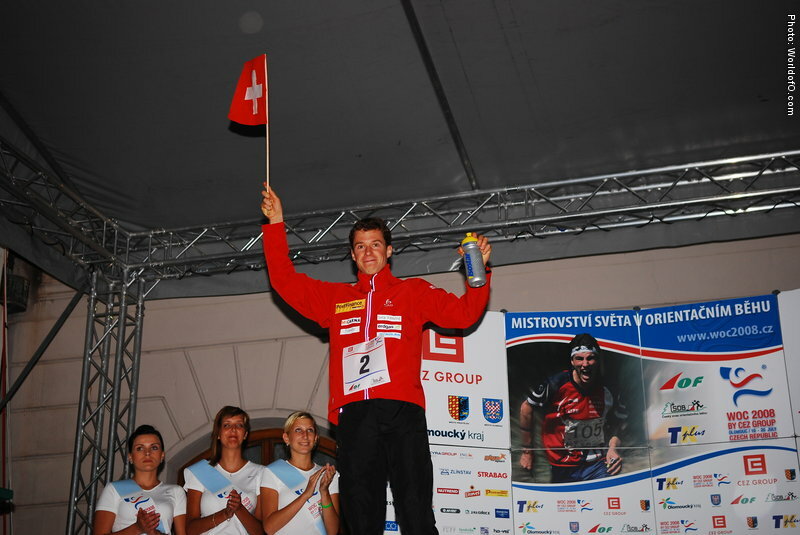 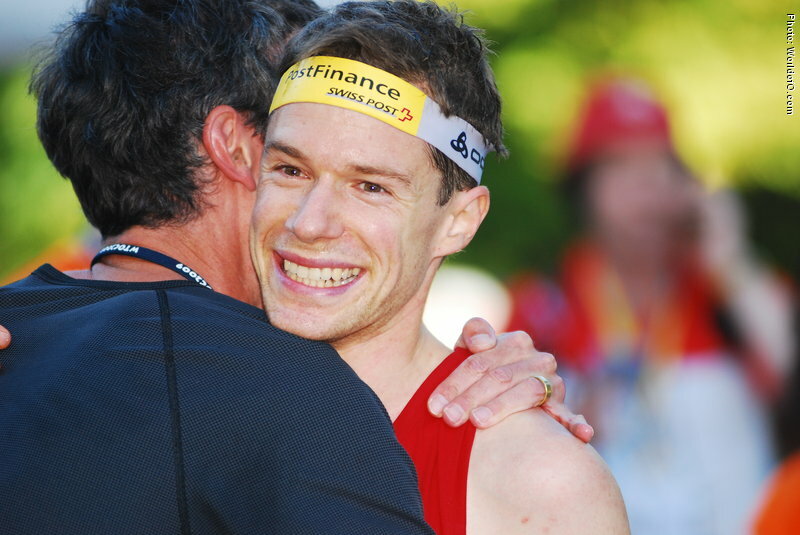 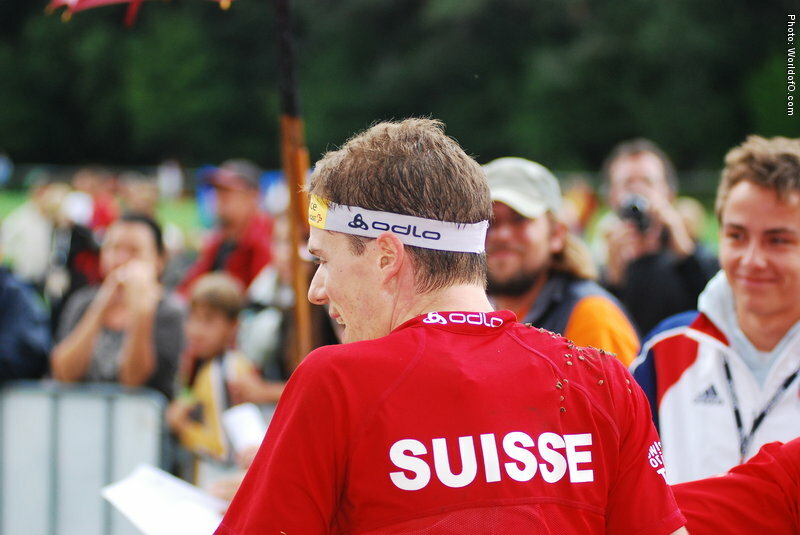 Finally got his BIG WIN at WOC long 2008, after four silver medals at EOC and three in WOC. 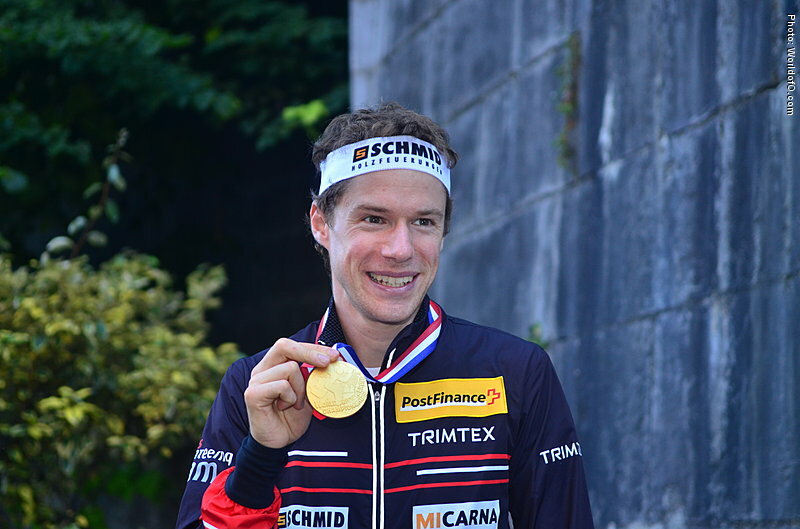 This gold medal was very deserved and popular - and he followed up with gold on the long distance in Hungary in 2009 and gold on the sprint in France in 2011. 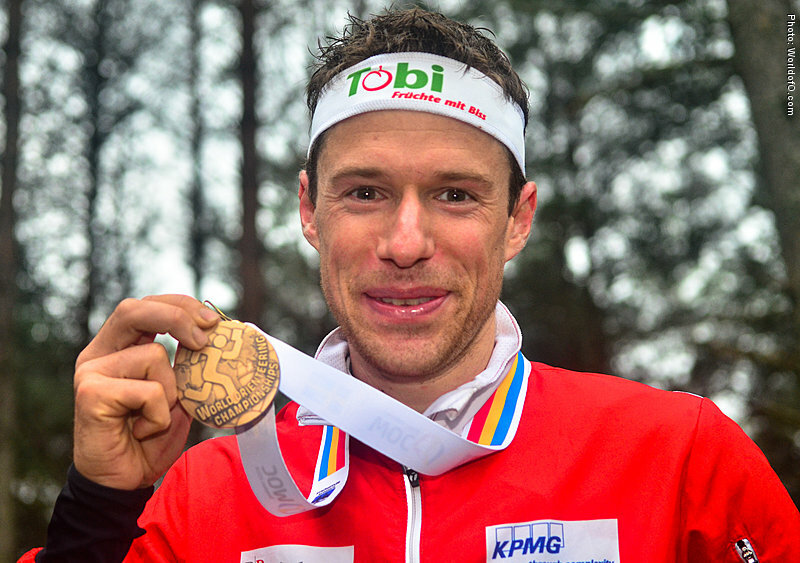 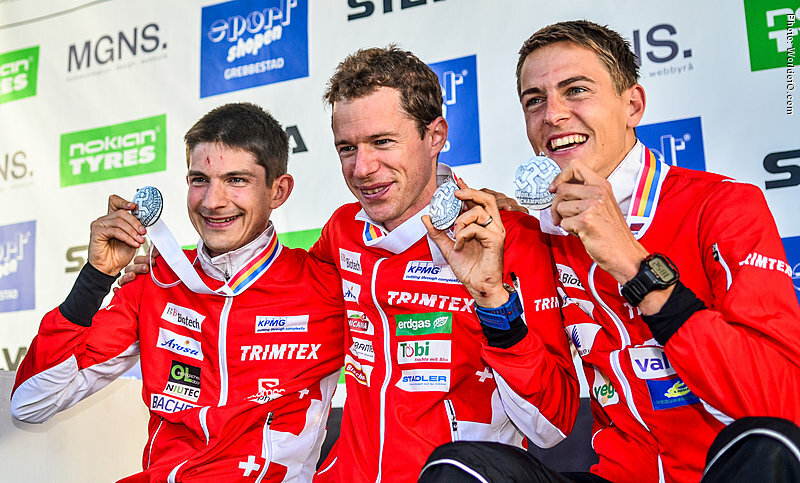 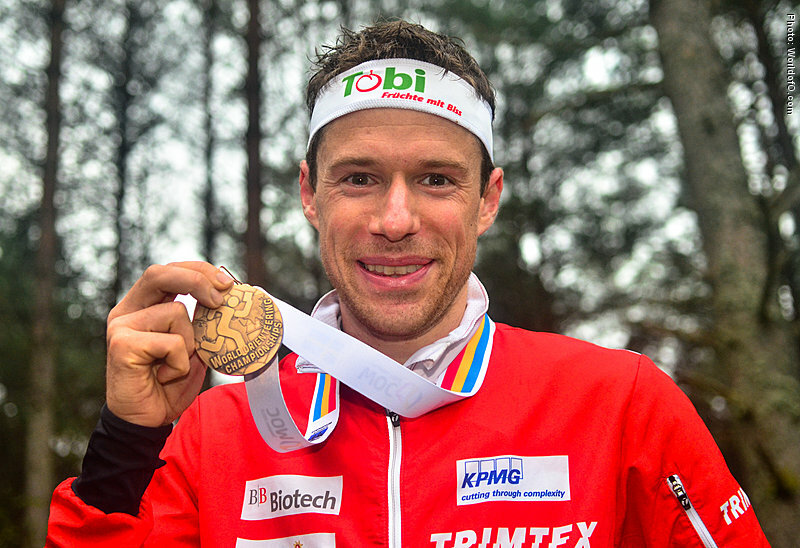 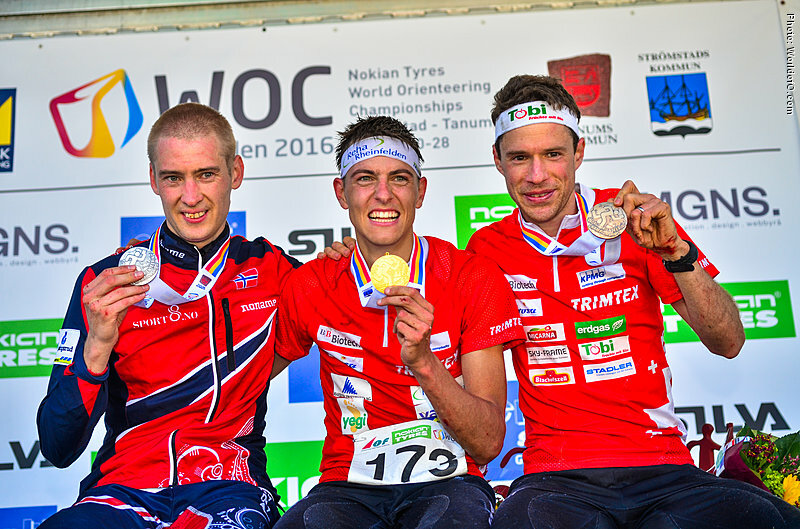 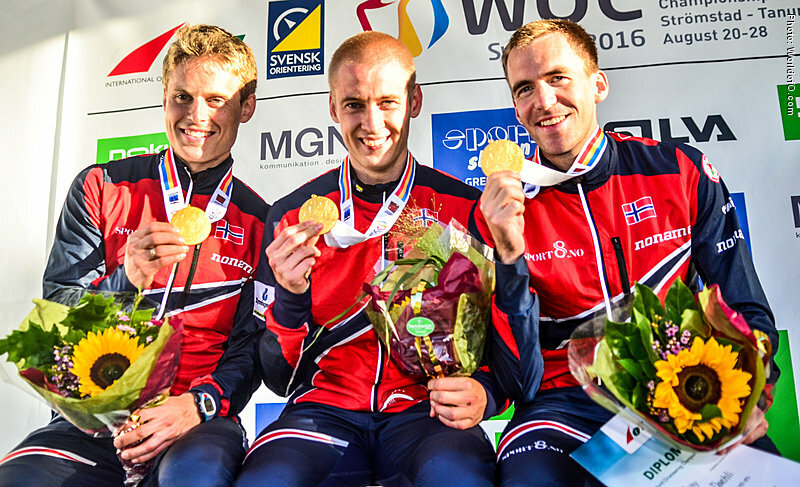 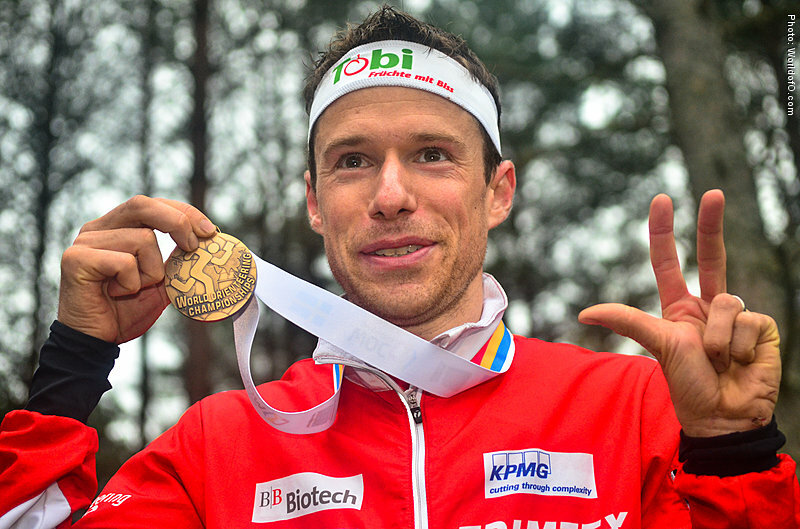 As of June 2017, Daniel Hubmann has won 23 WOC medals, of which 6 are gold and 16 are individual medals. 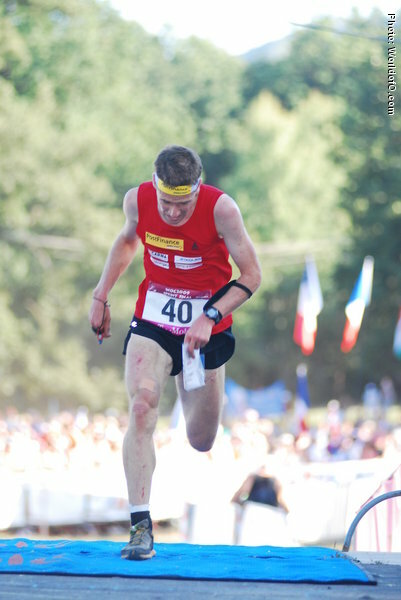 In addition he has won 11 EOC medals, of which 4 are gold and 10 are individual medals. 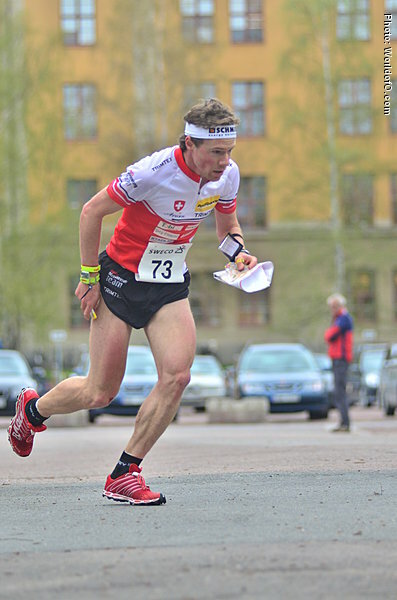 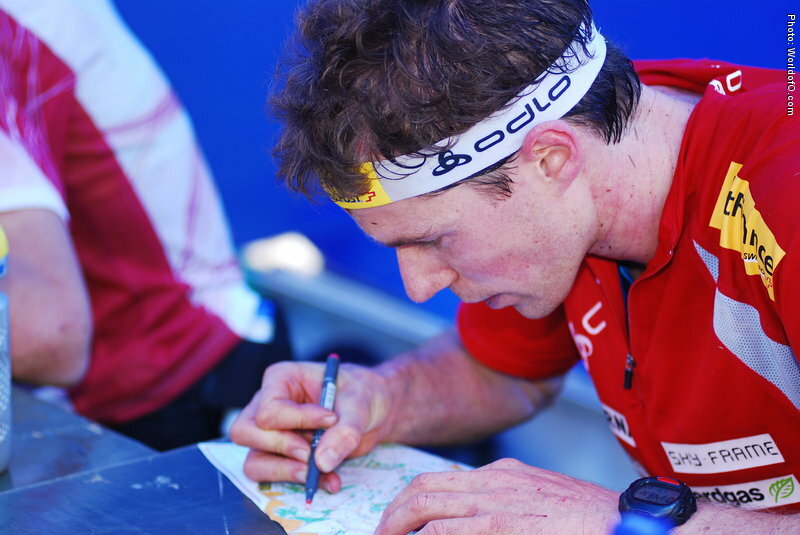 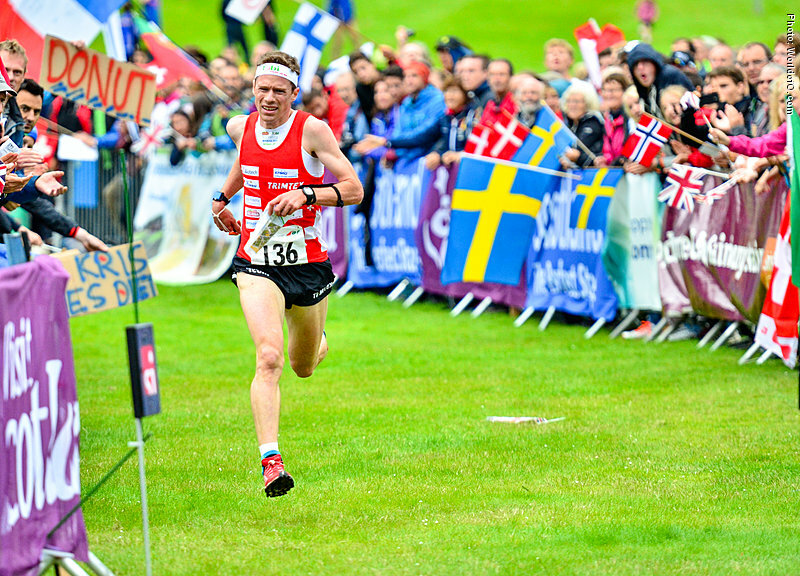 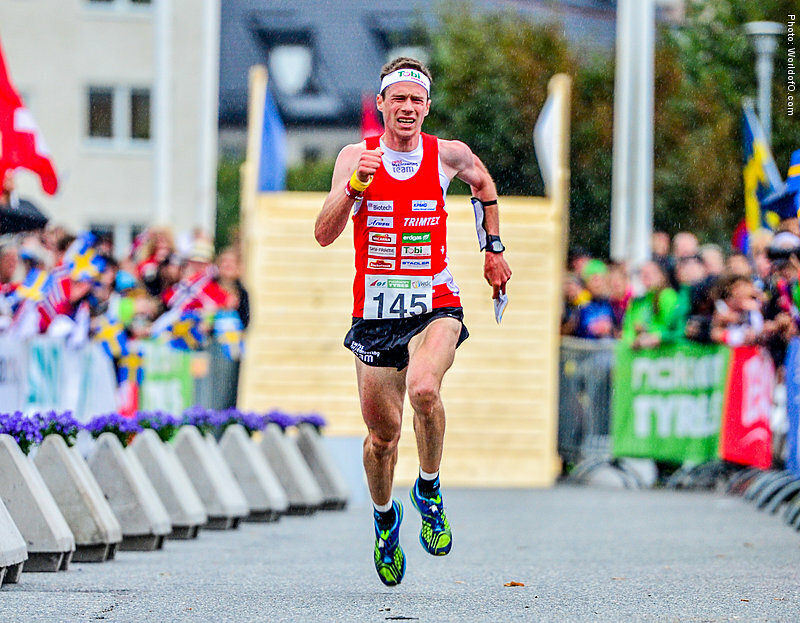 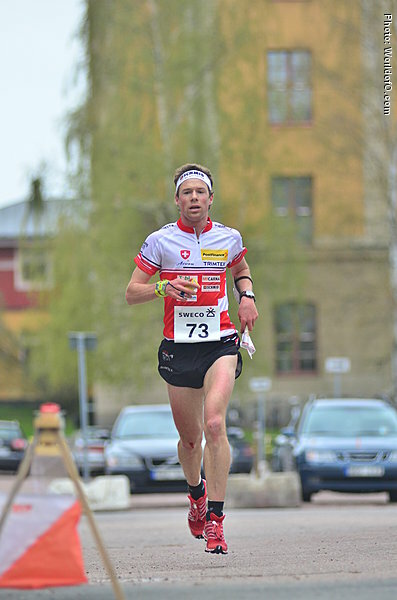 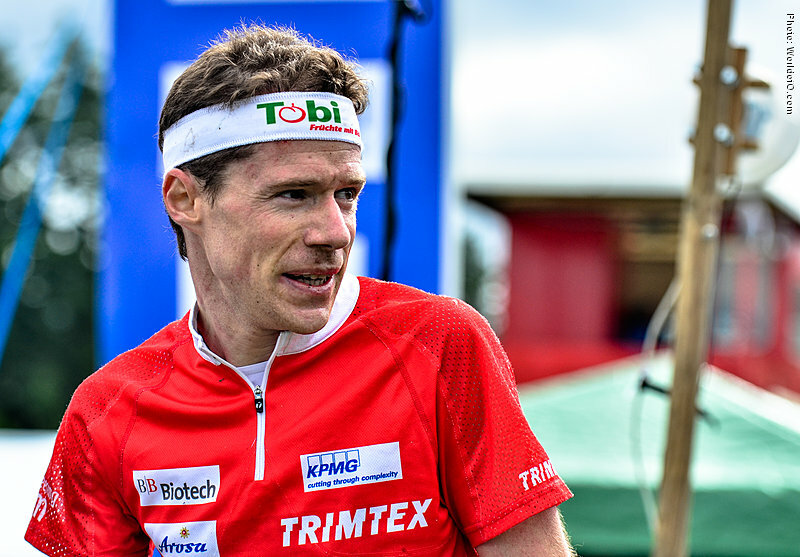 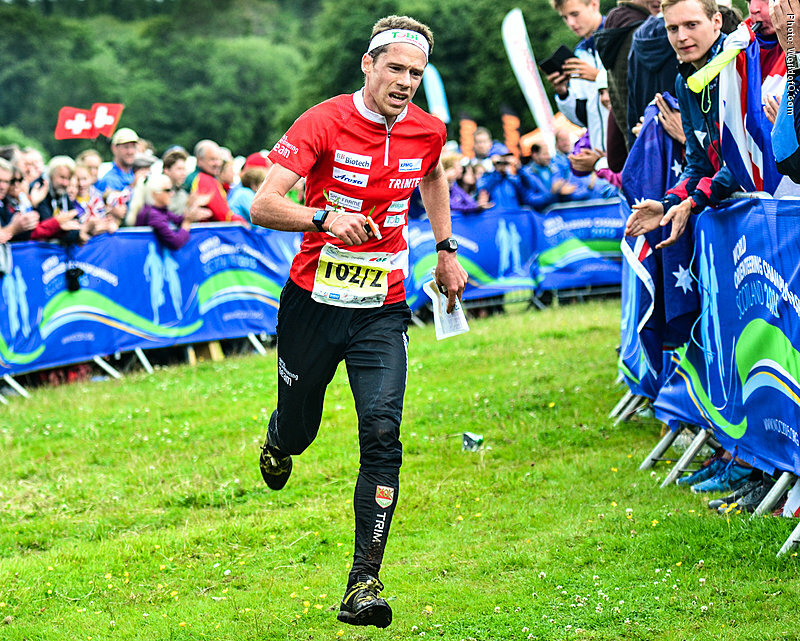 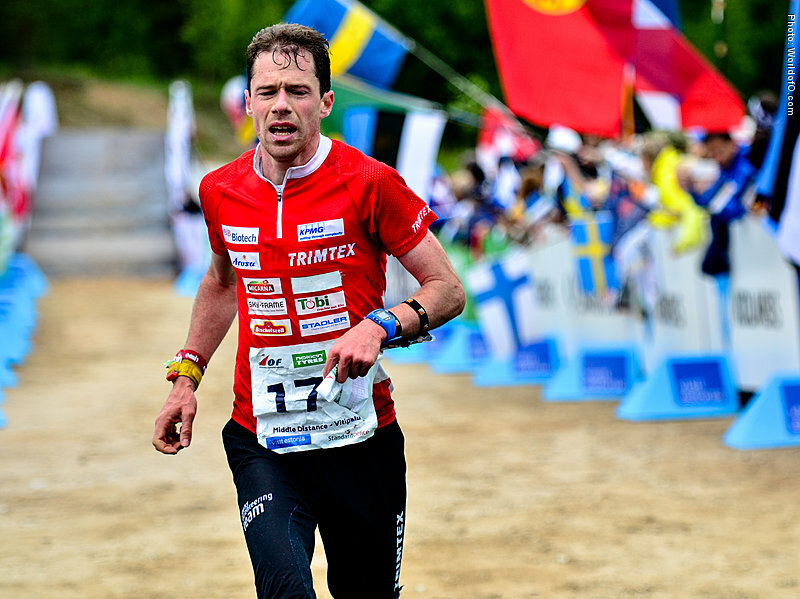 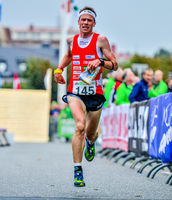 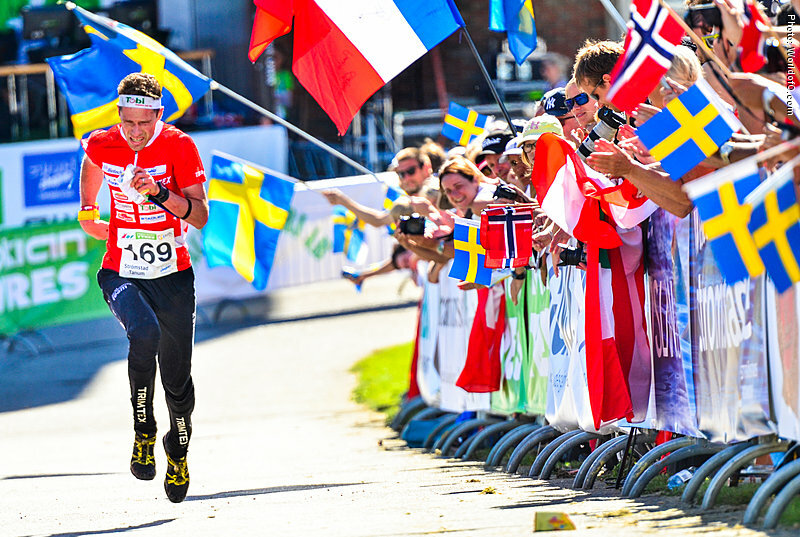 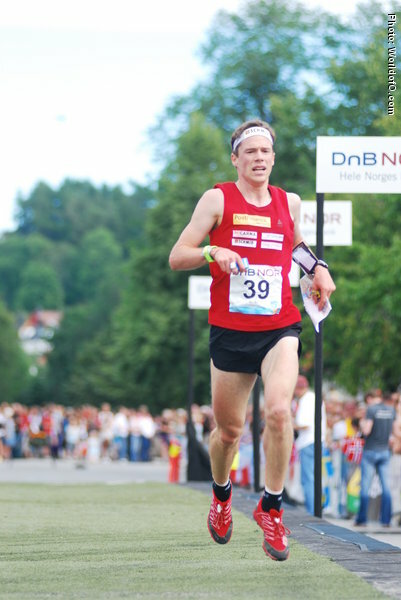 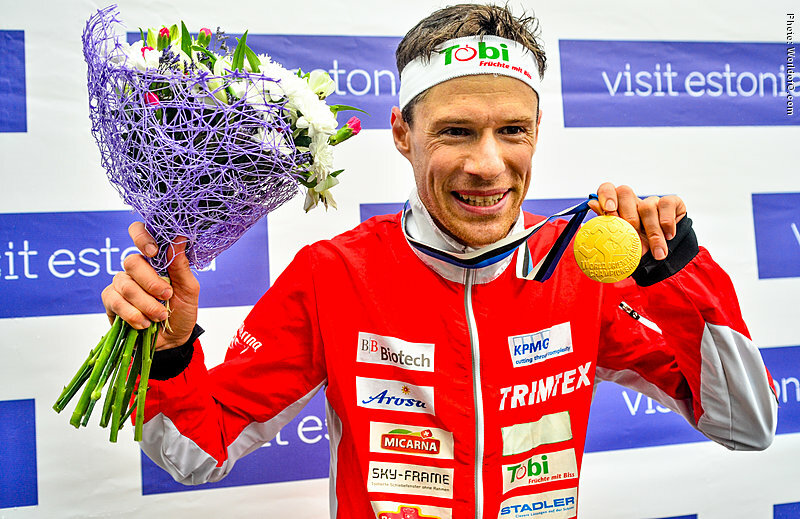 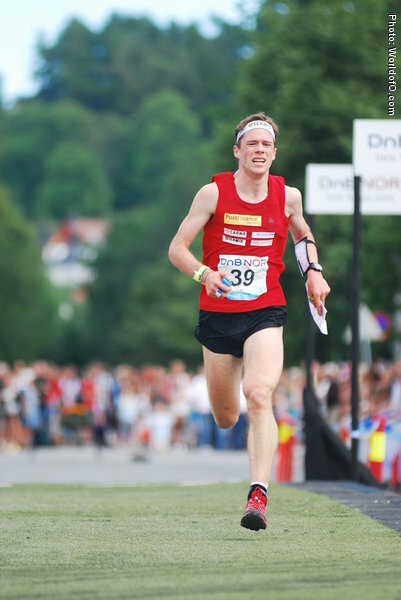 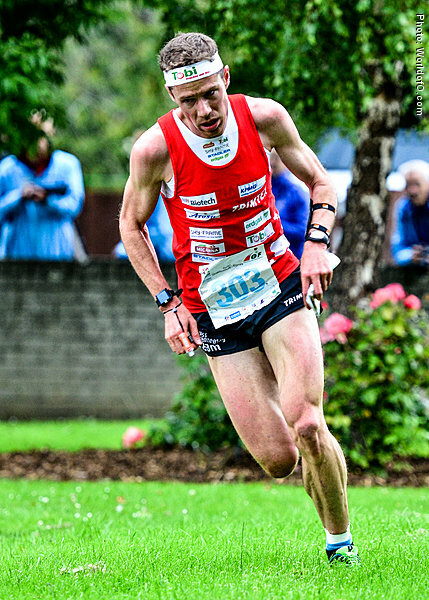 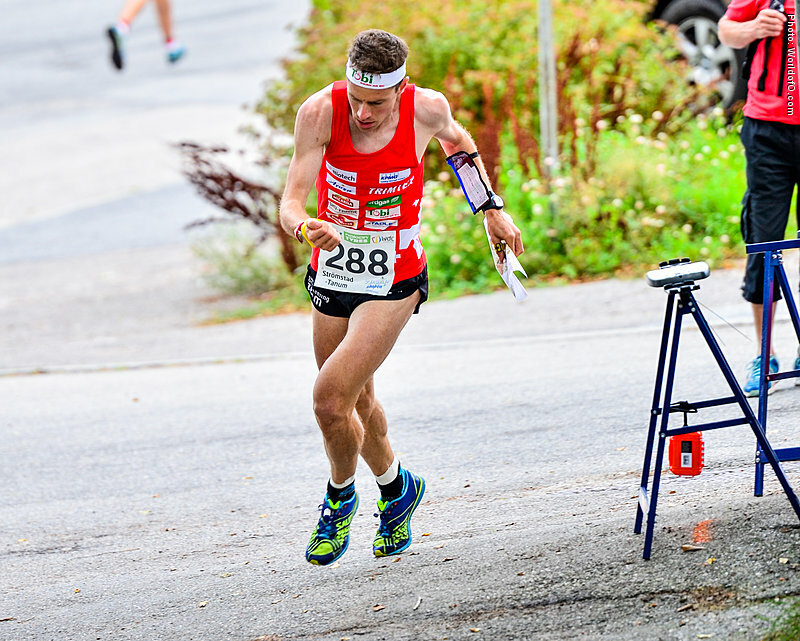 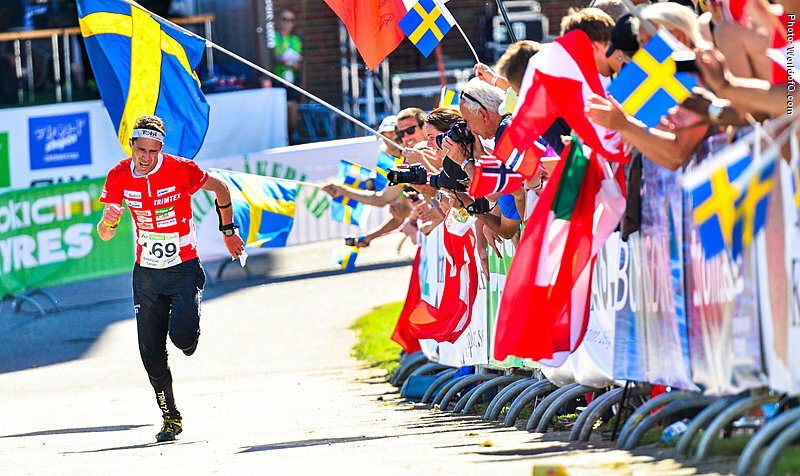 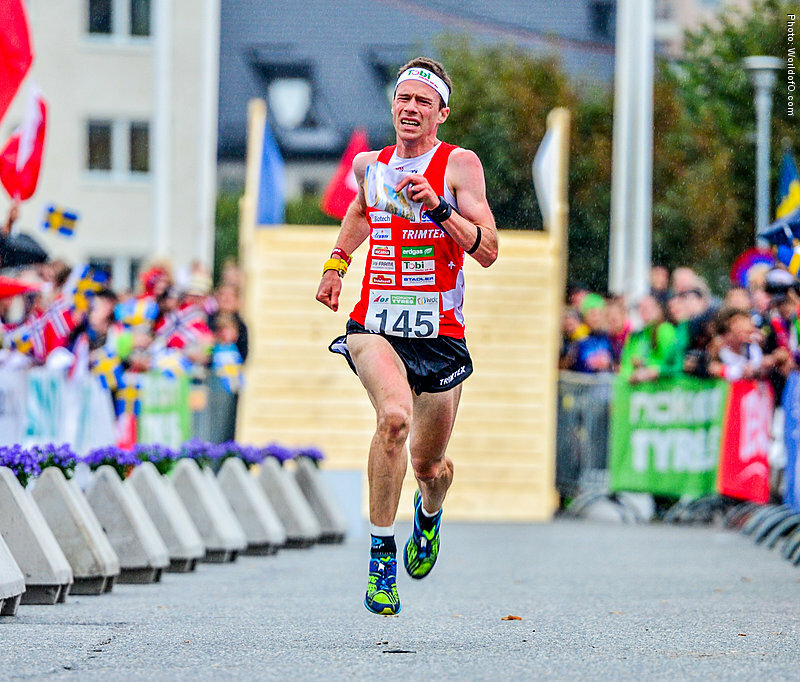 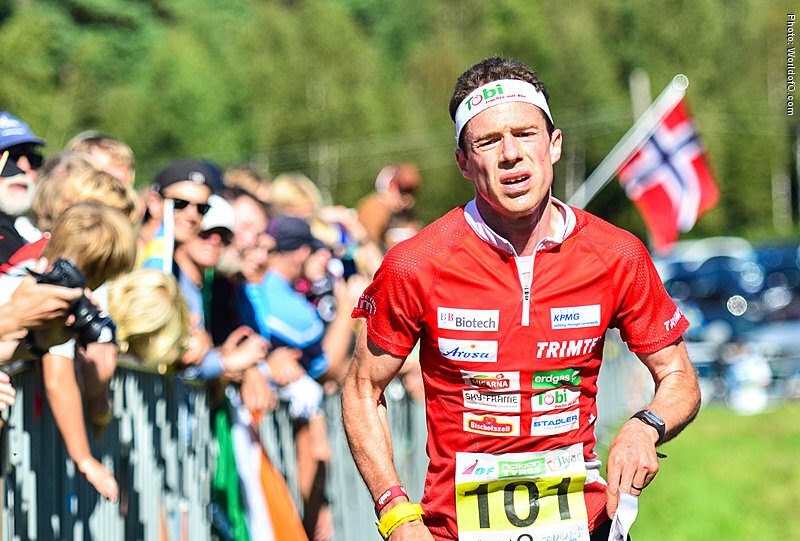 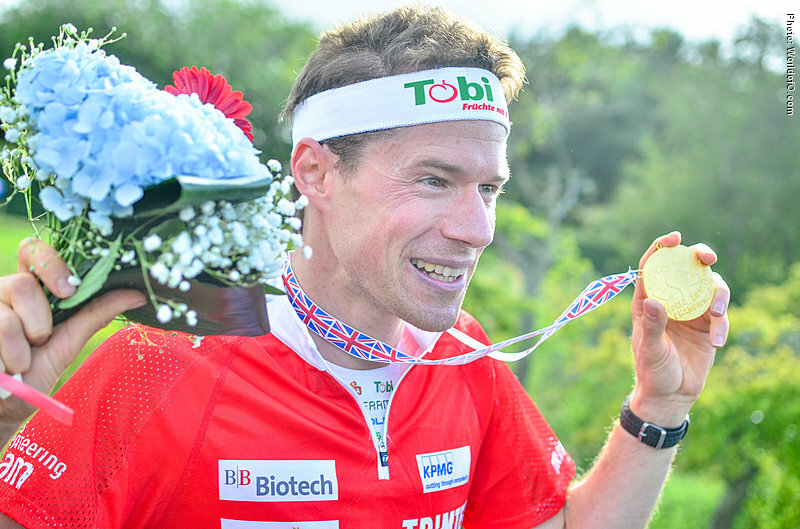 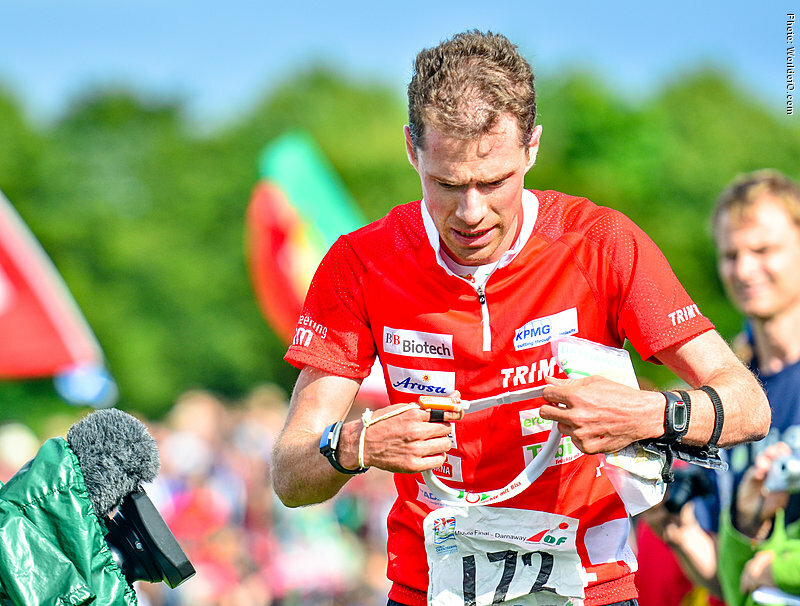 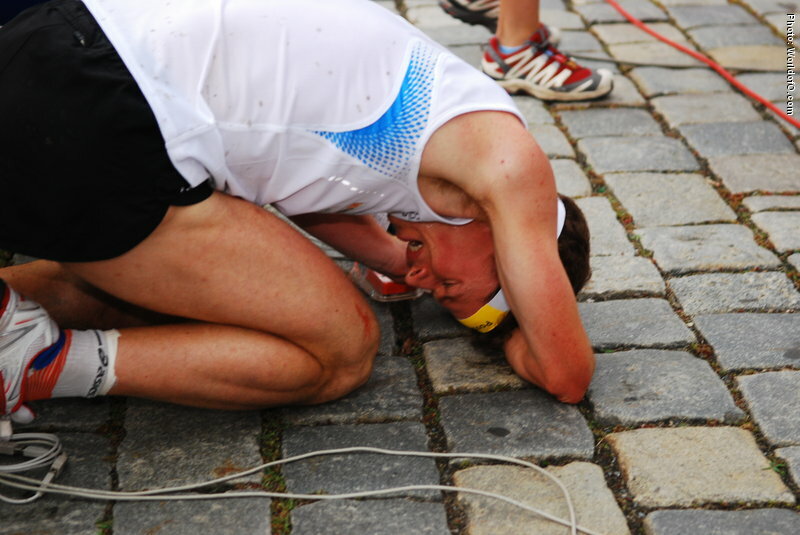 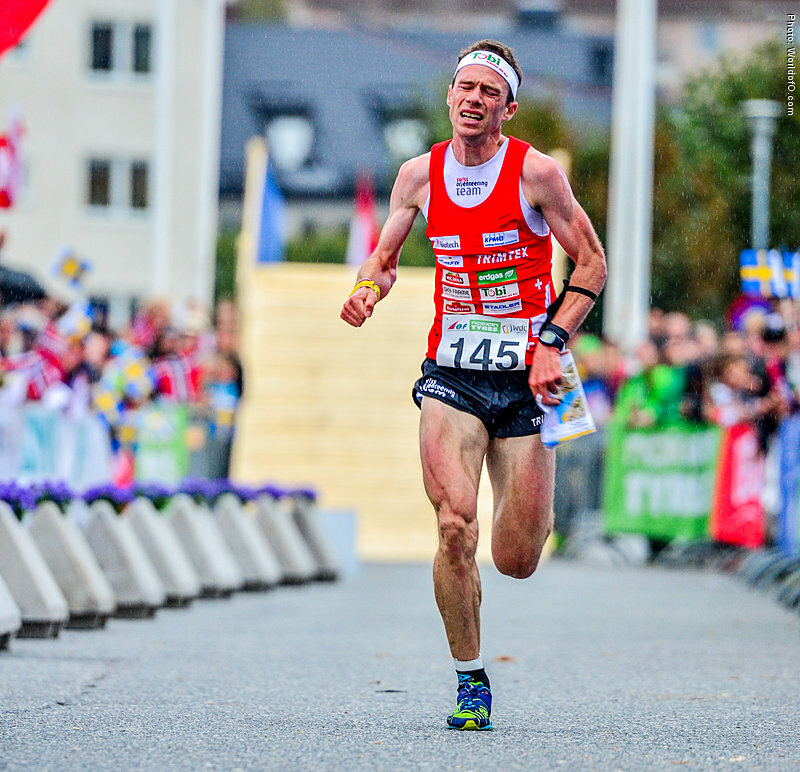 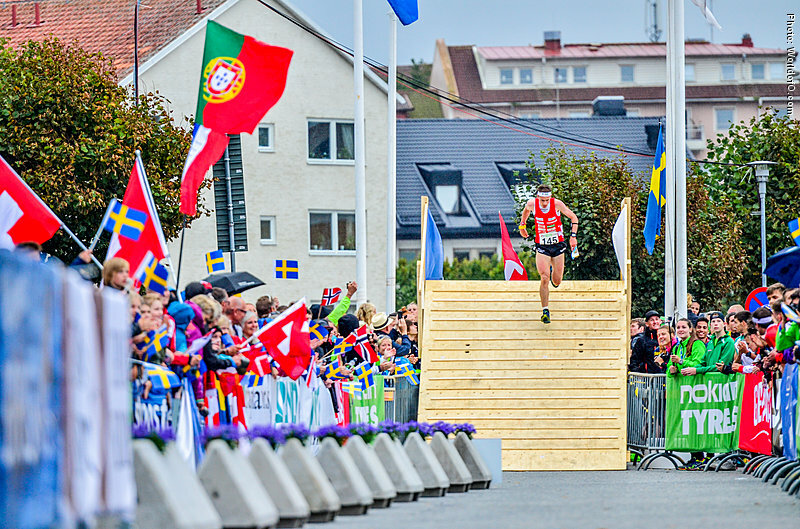 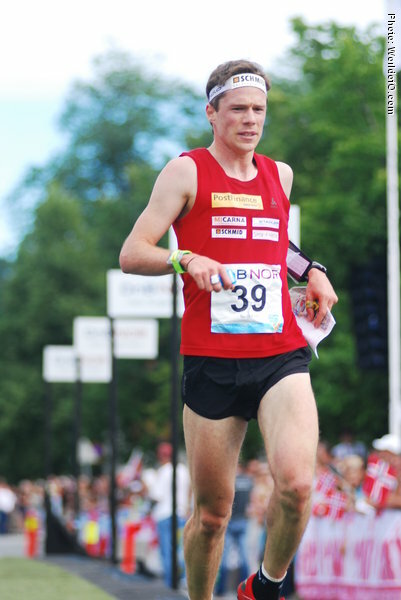 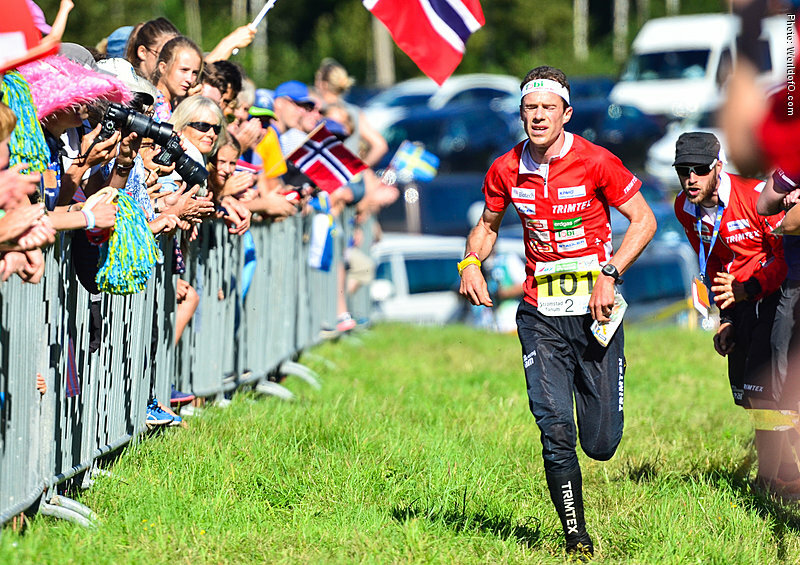 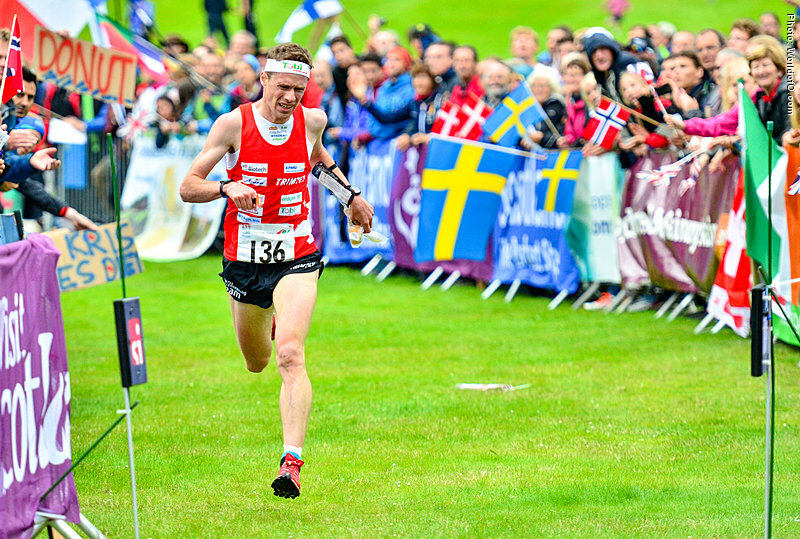 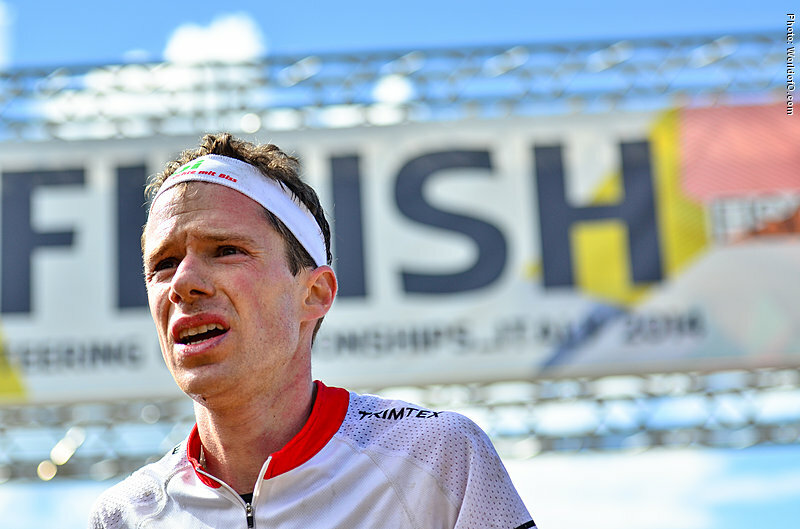 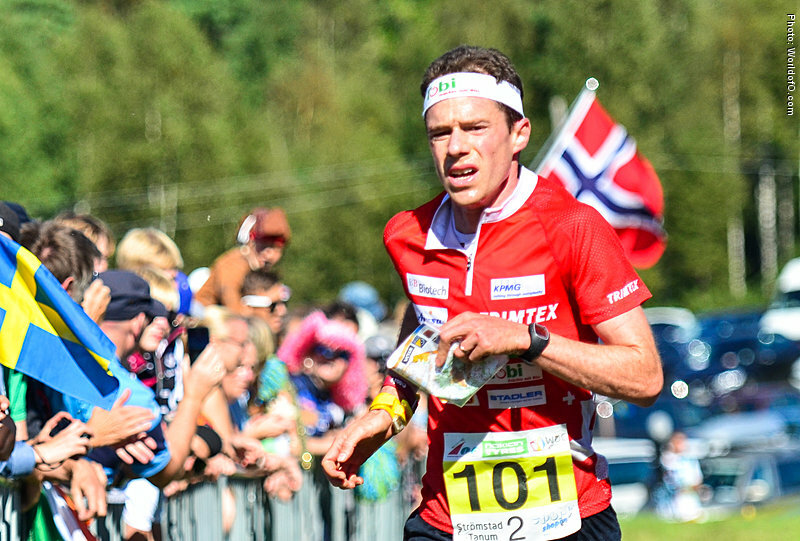 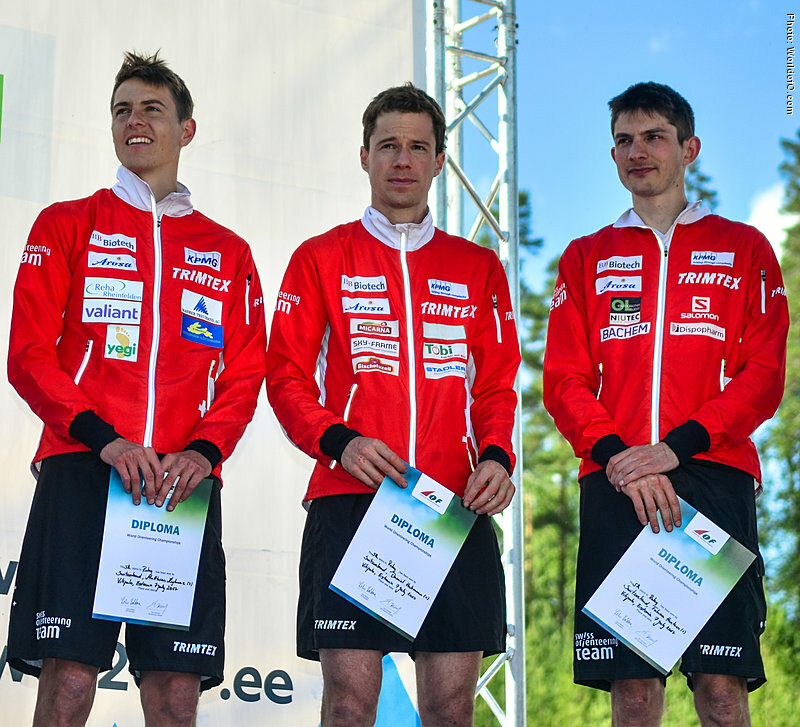 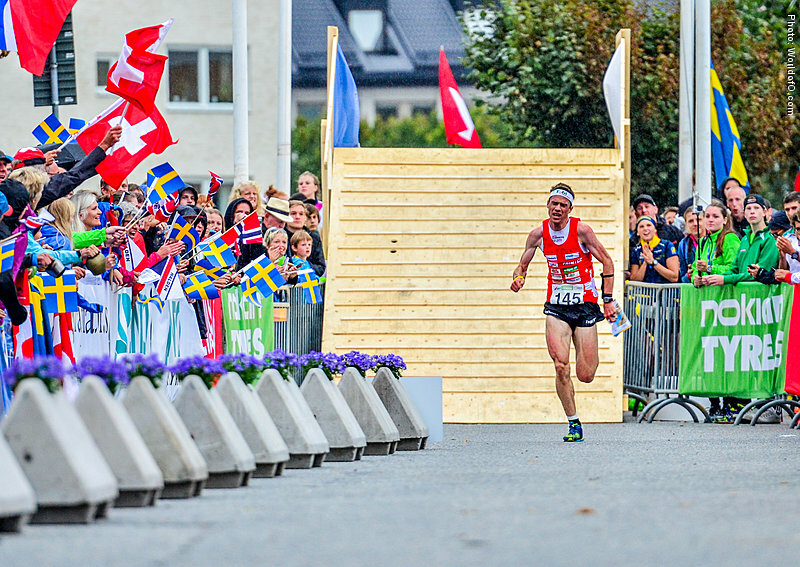 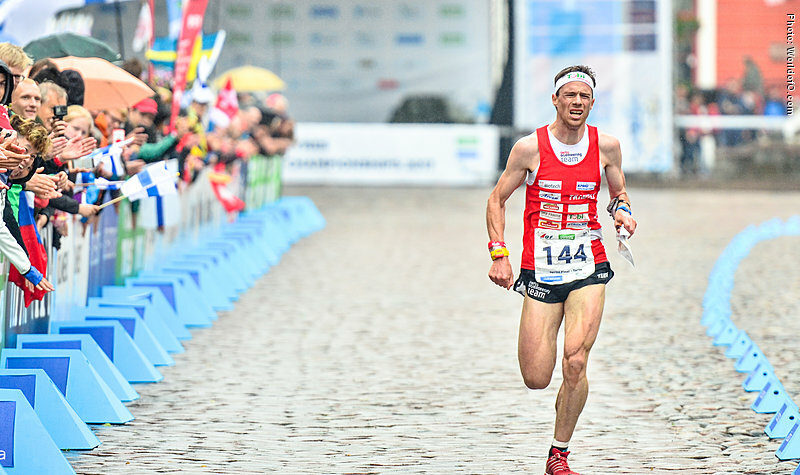 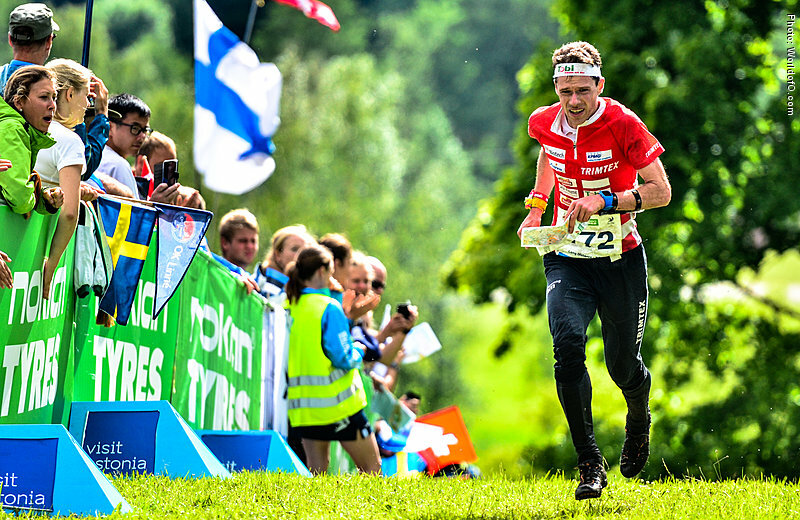 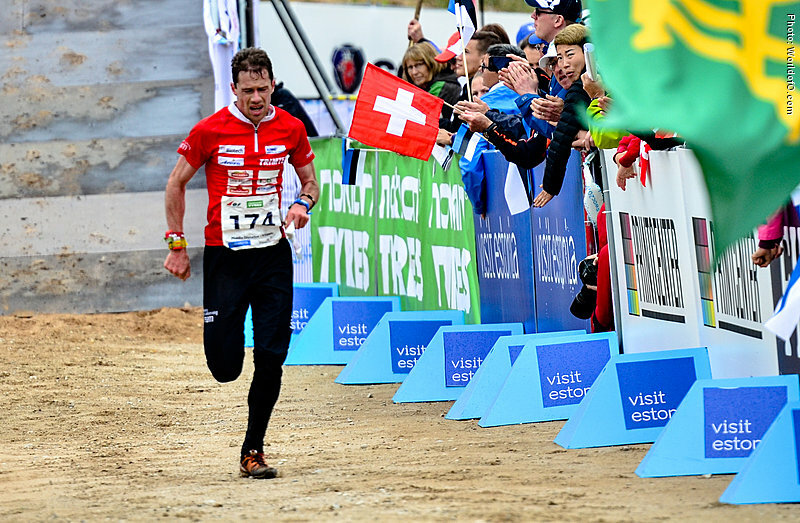 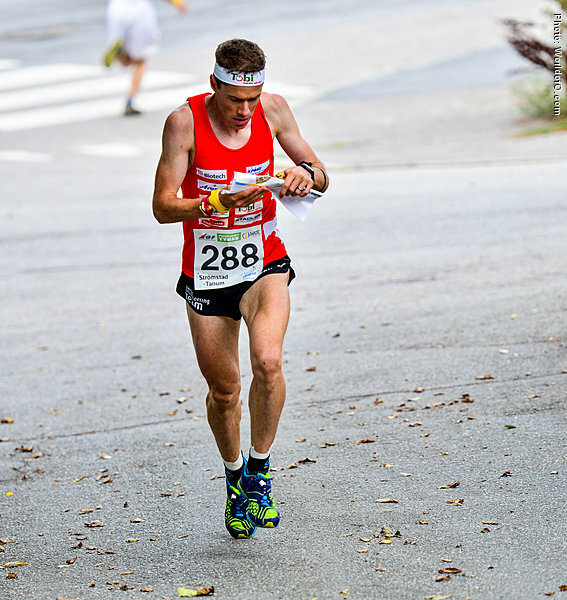 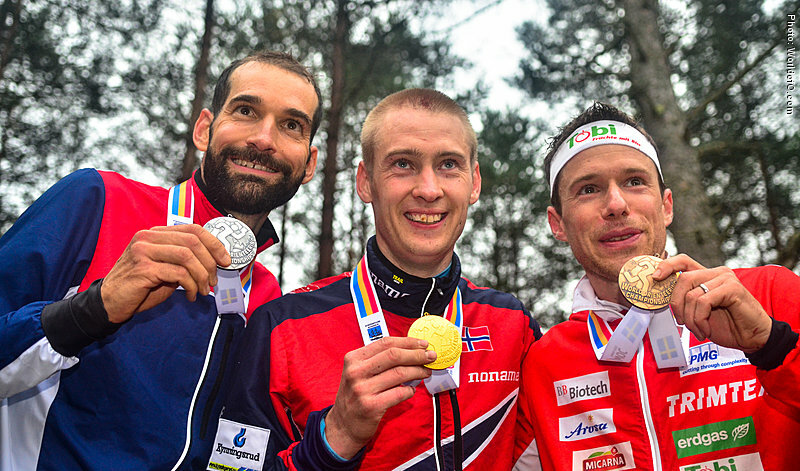 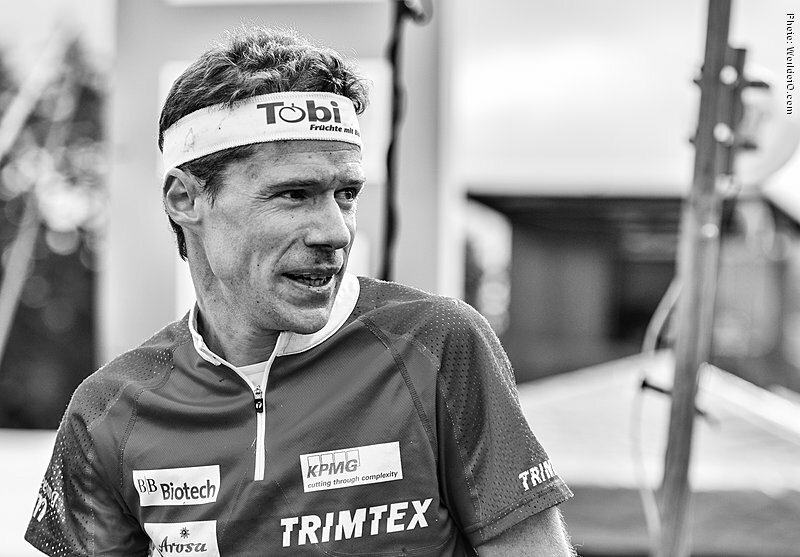 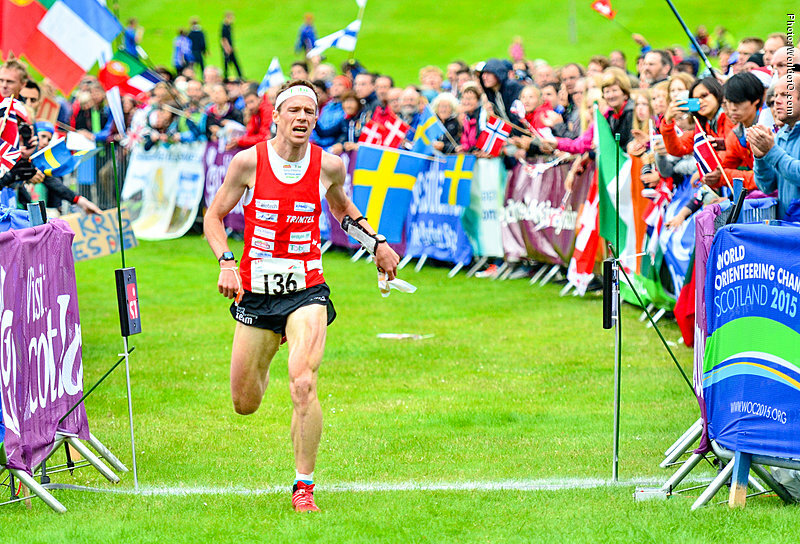 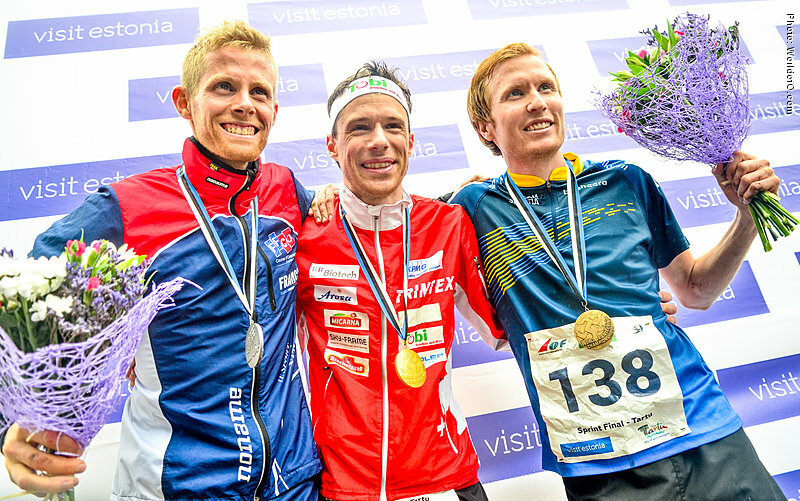 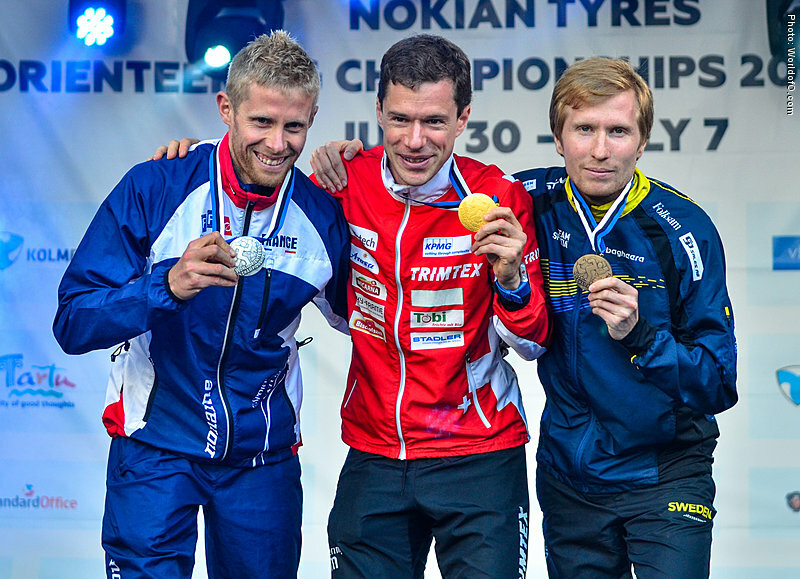 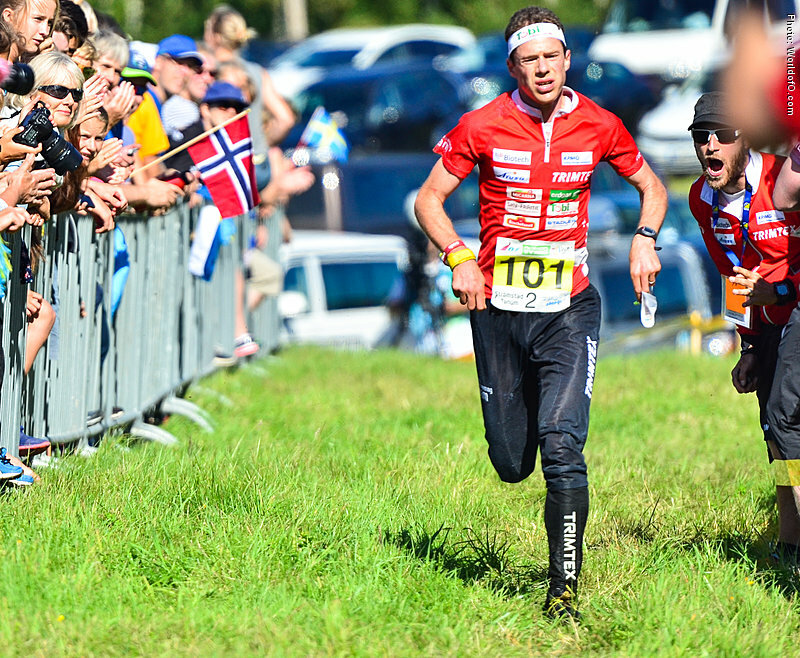 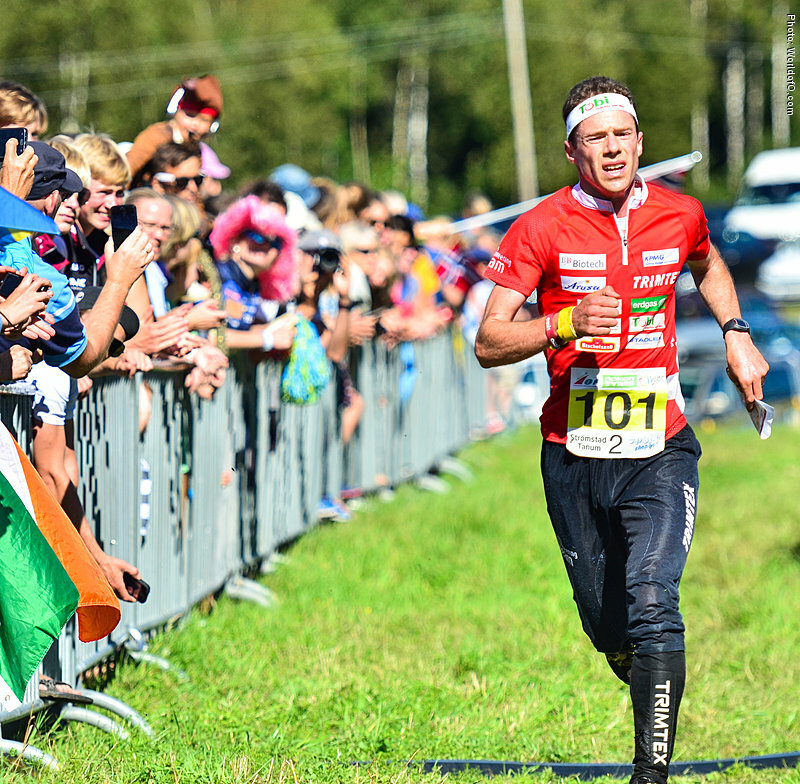 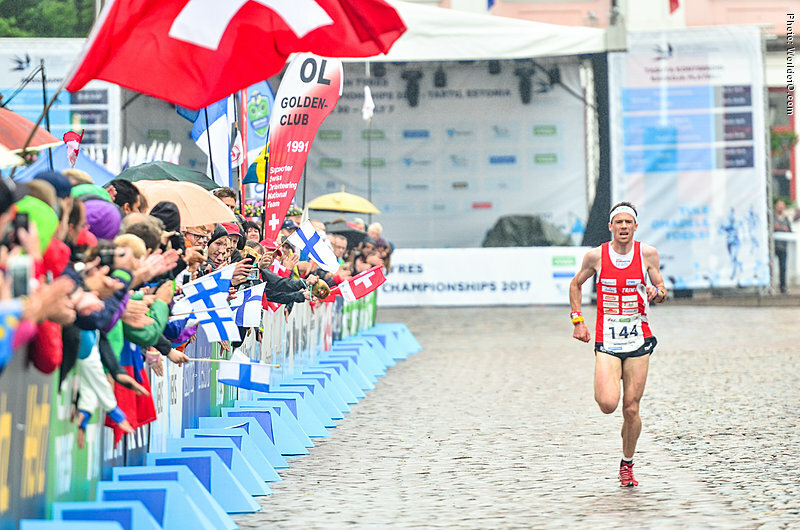 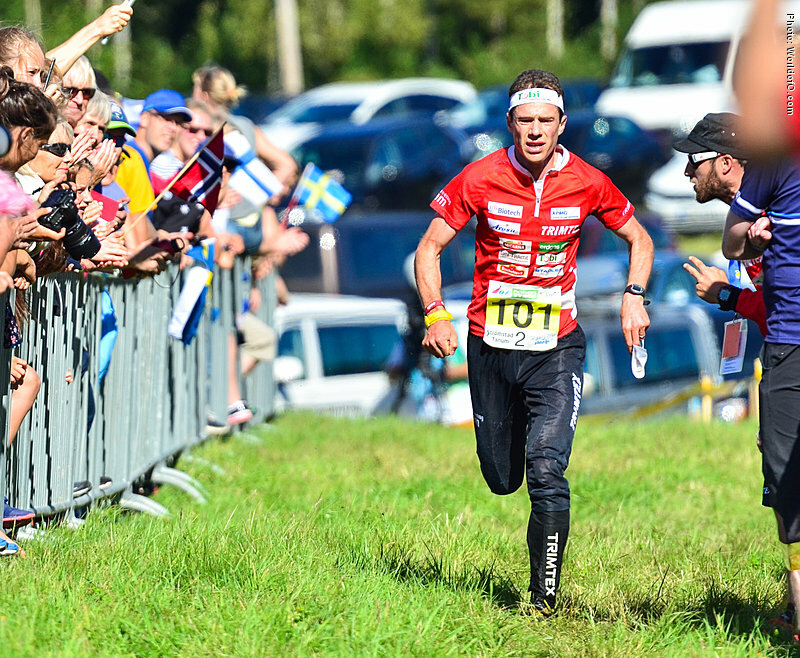 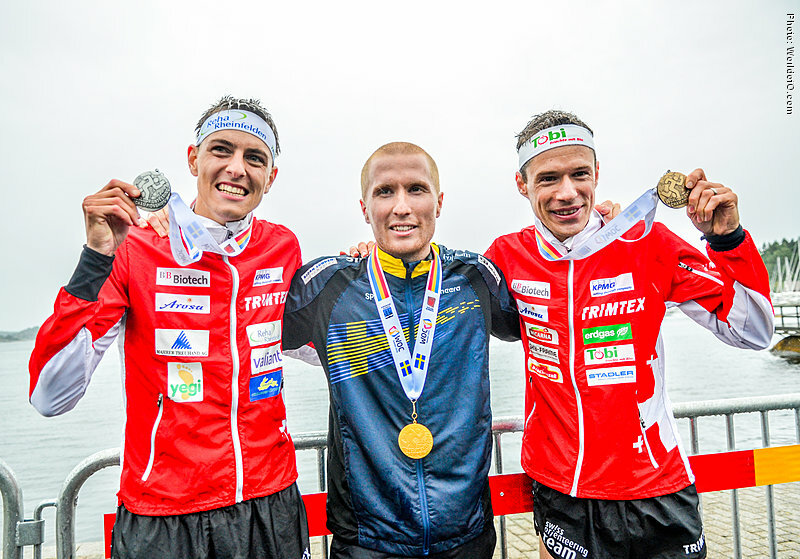 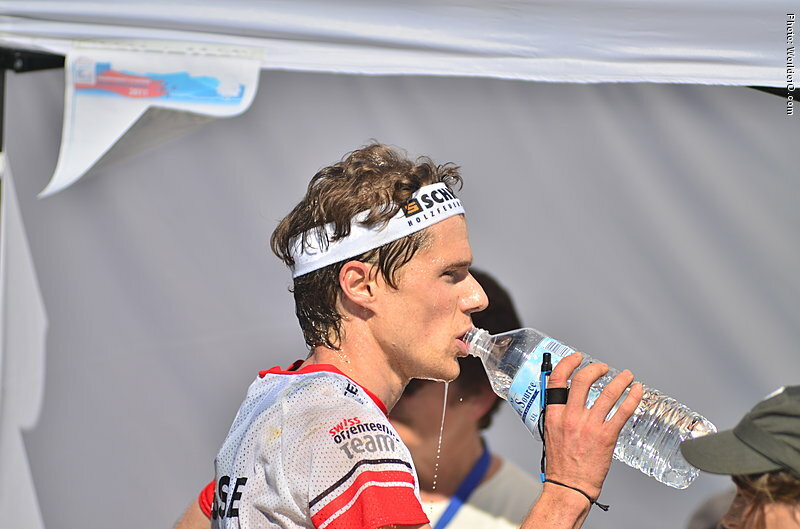 After being the dominant male runner in the world in both 2008 and 2009, he struggled with injuries in 2010 and 2011 - but still managed to take a bronze medal in the World Champs in Trondheim in 2010 over the middle distance and winning the overall Nordic Tour in 2011. 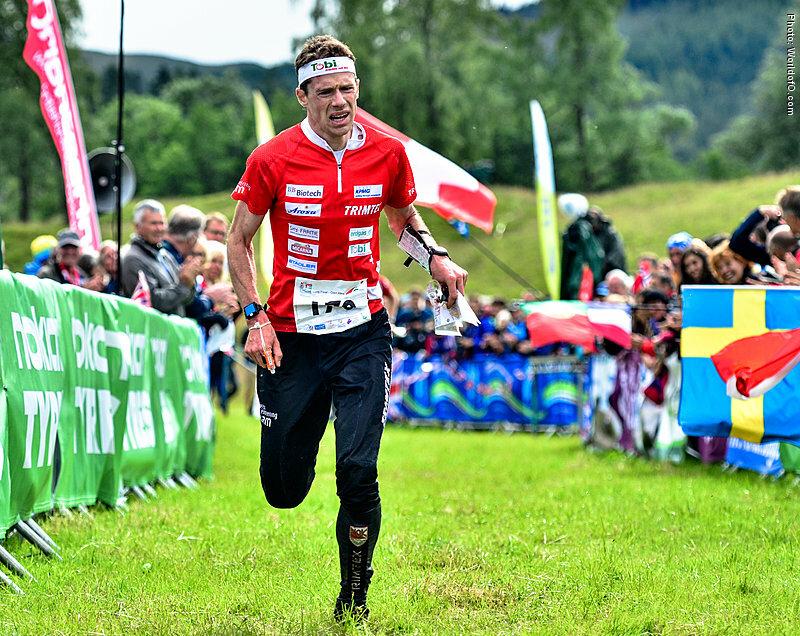 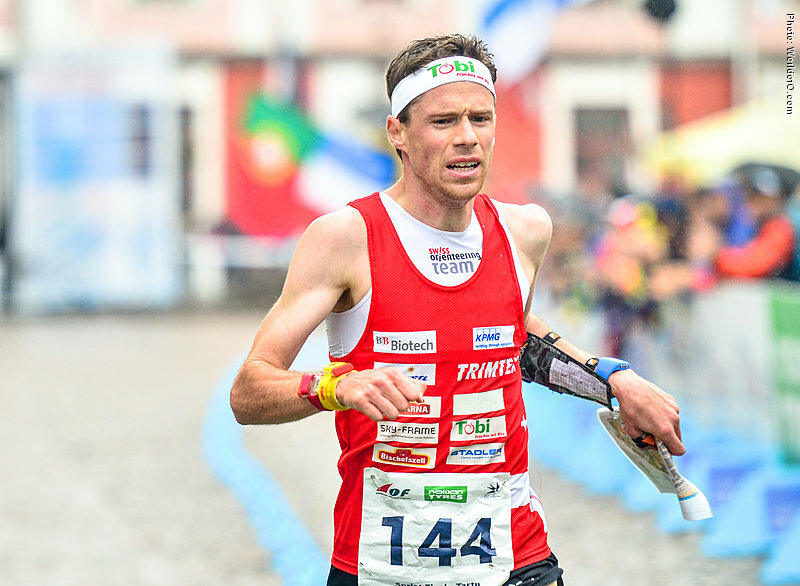 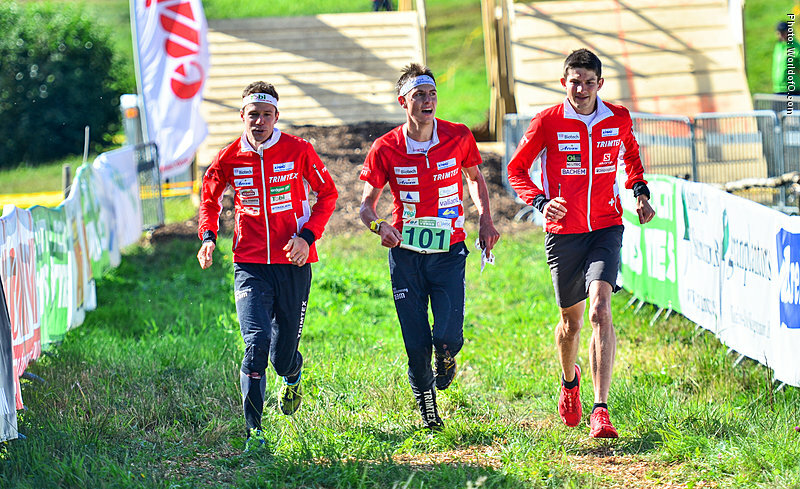 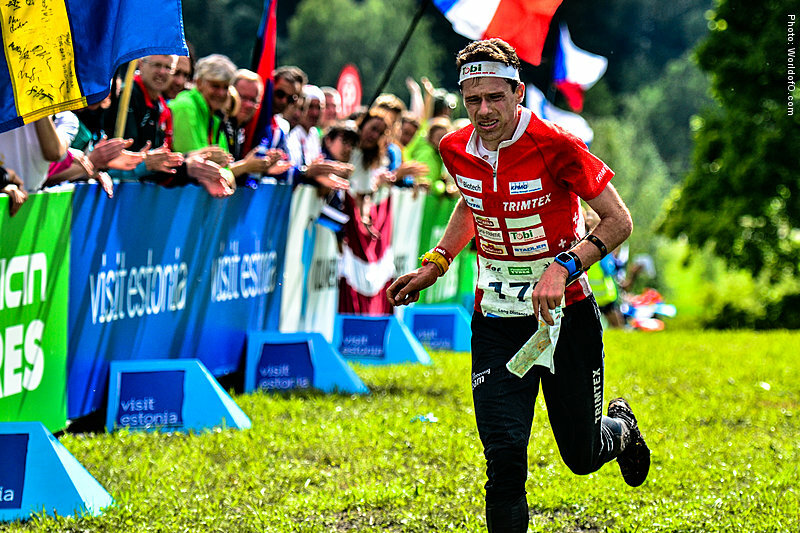 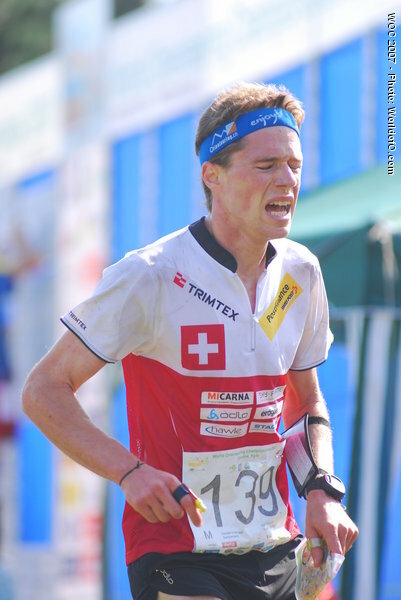 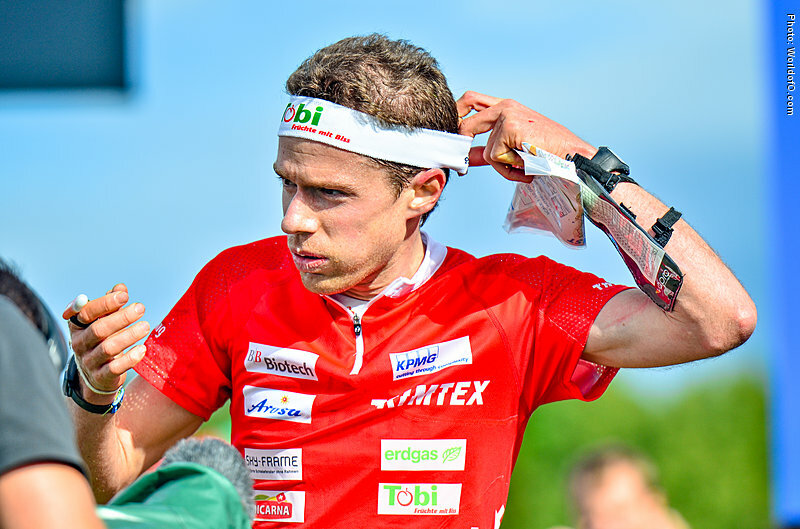 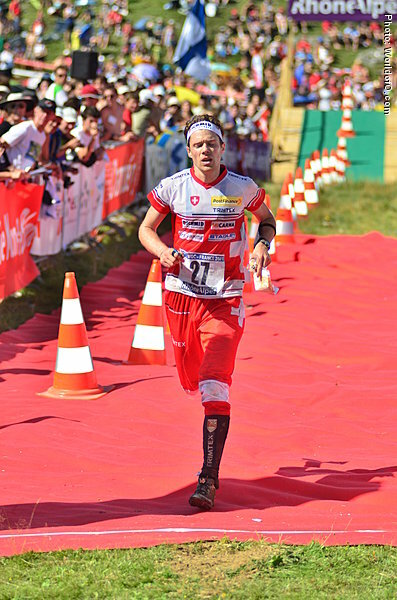 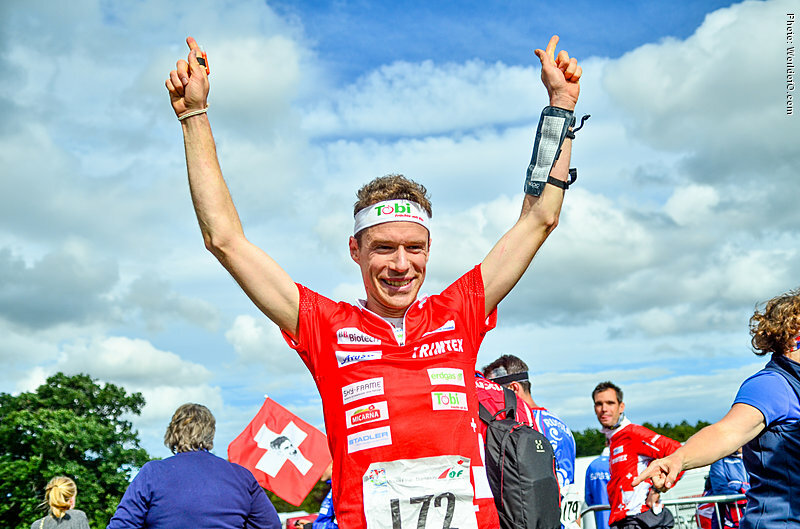 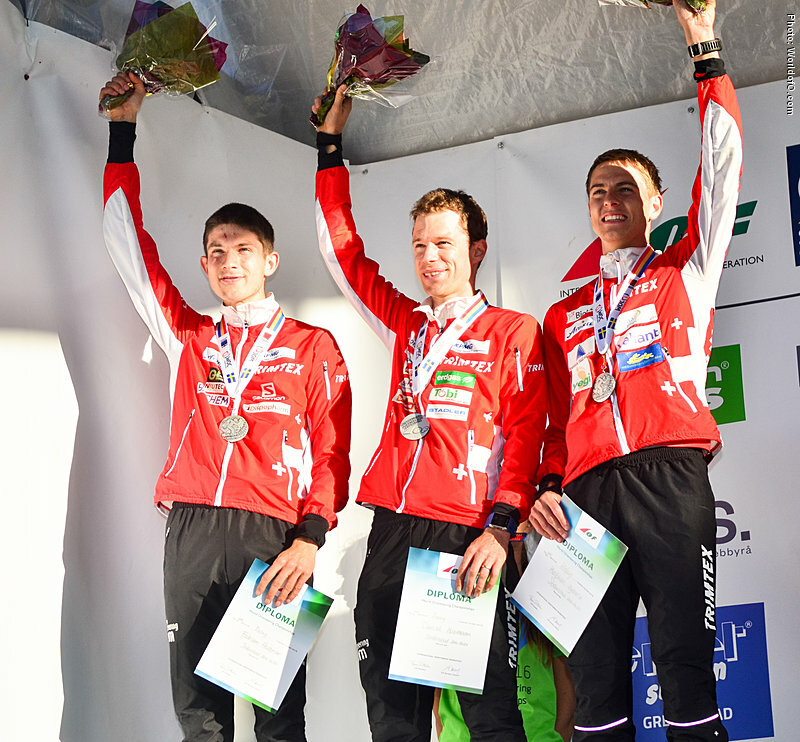 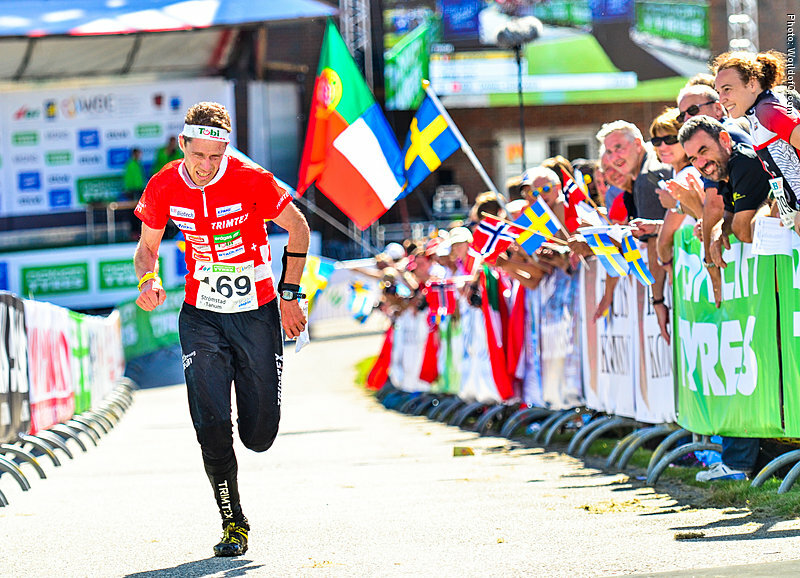 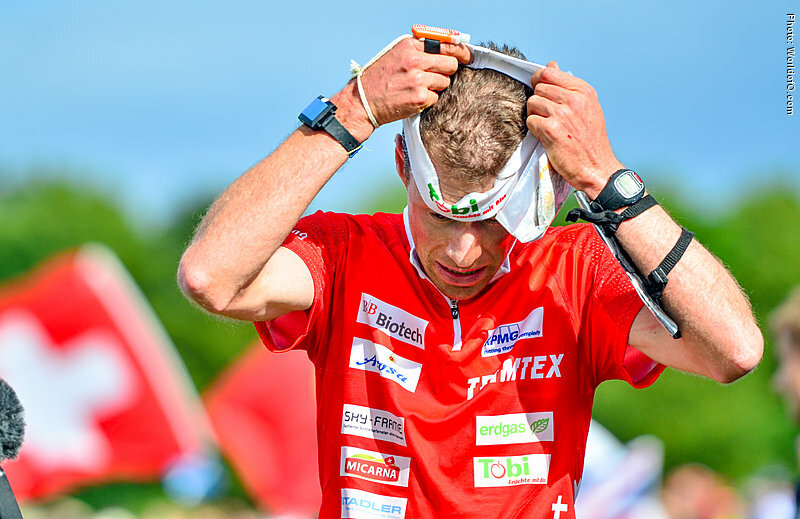 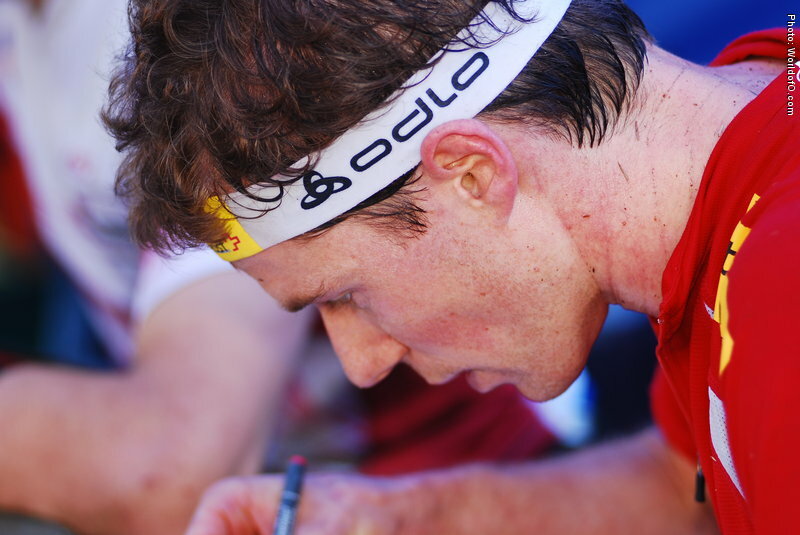 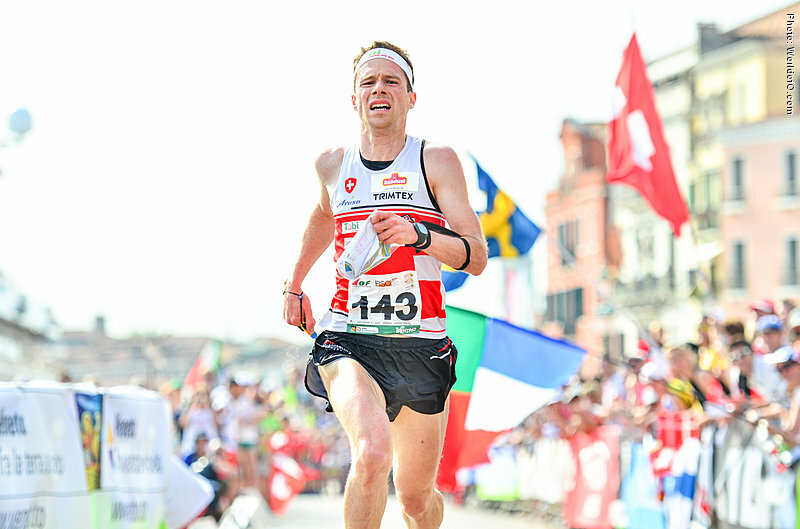 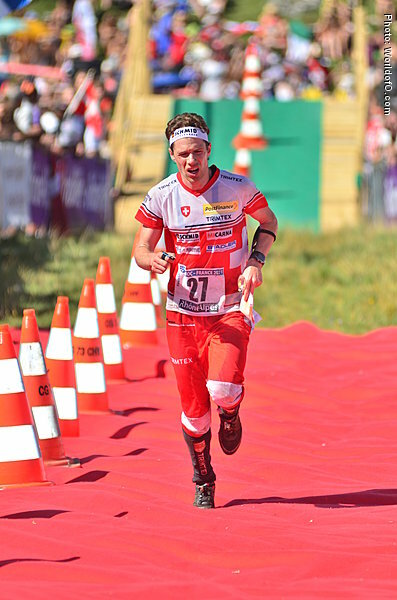 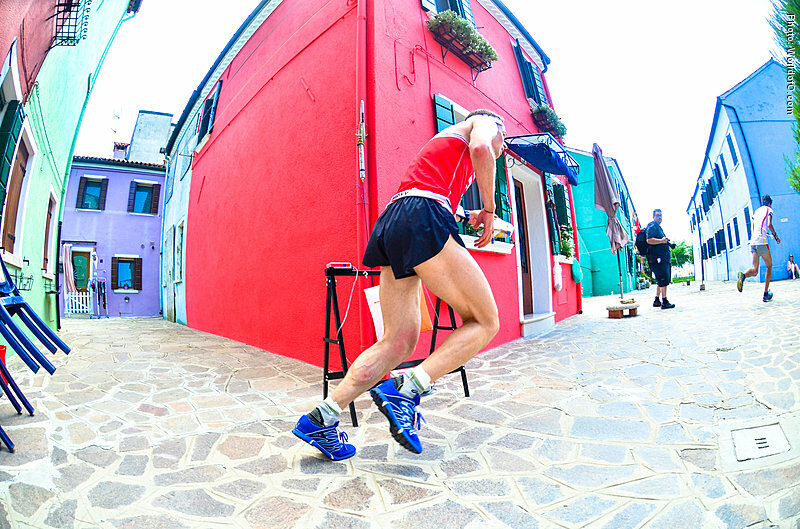 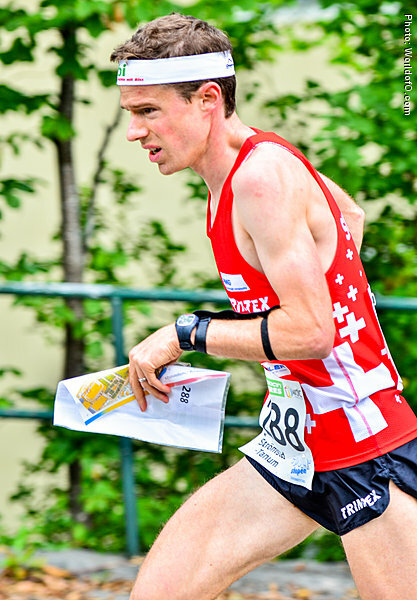 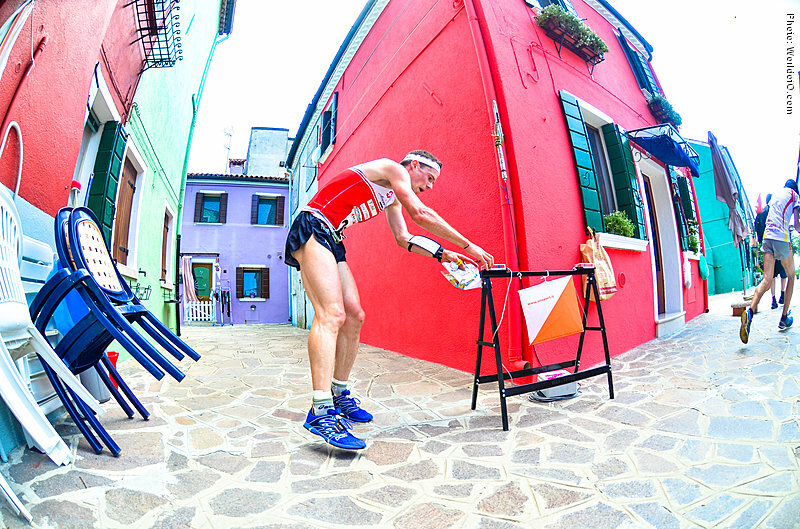 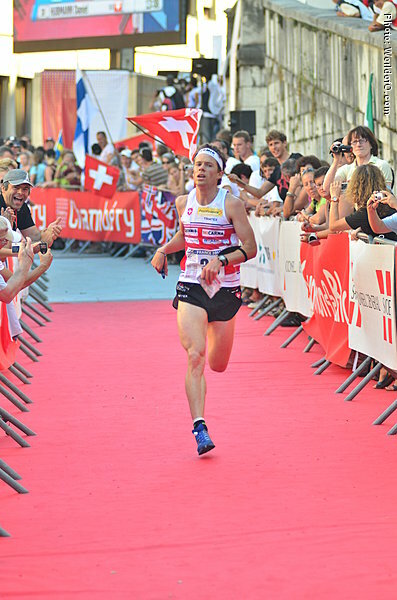 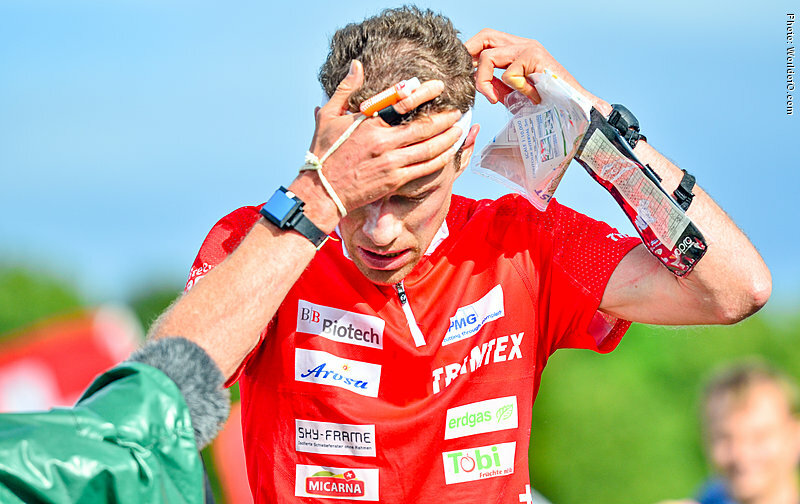 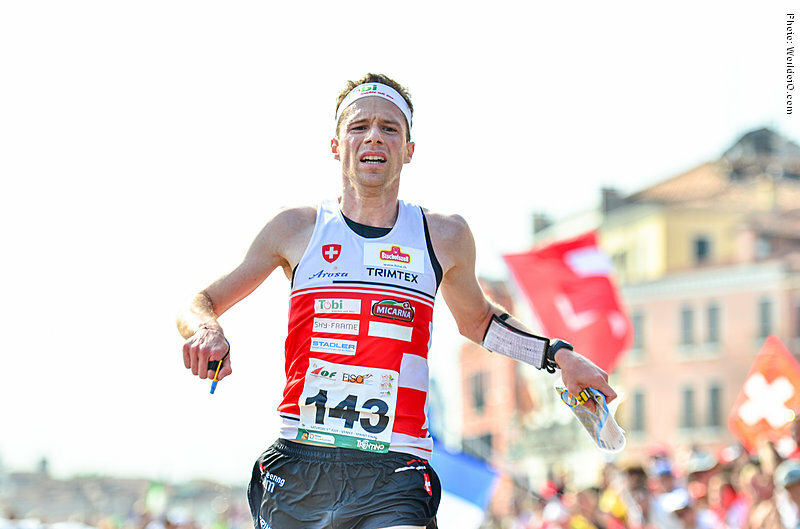 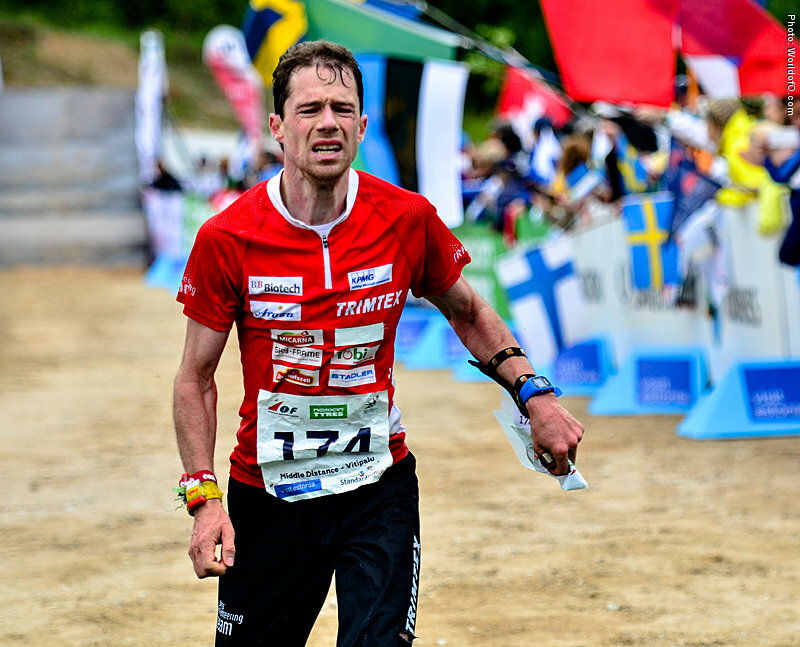 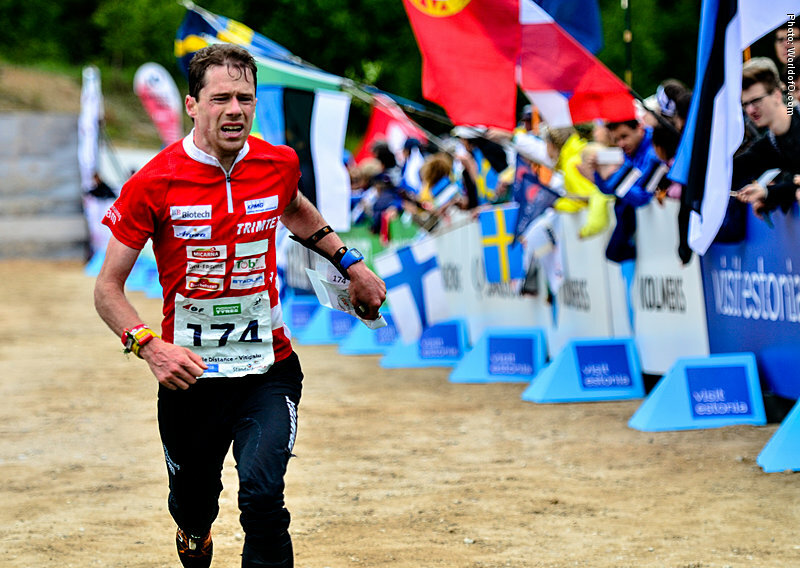 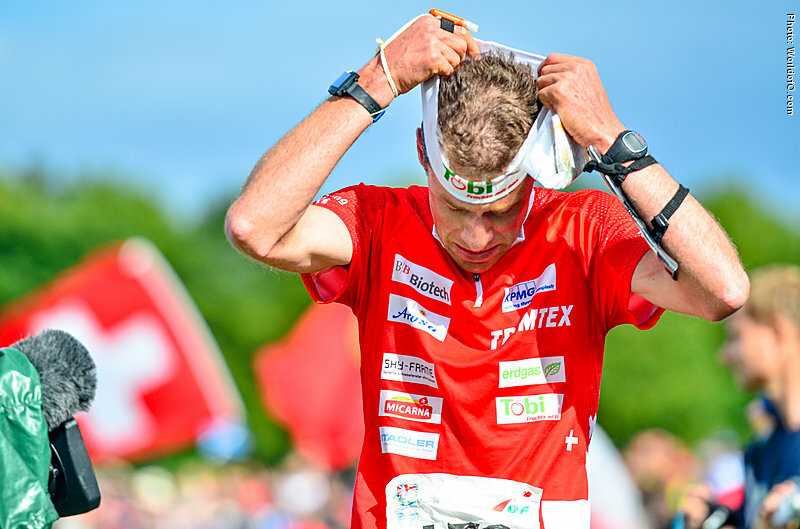 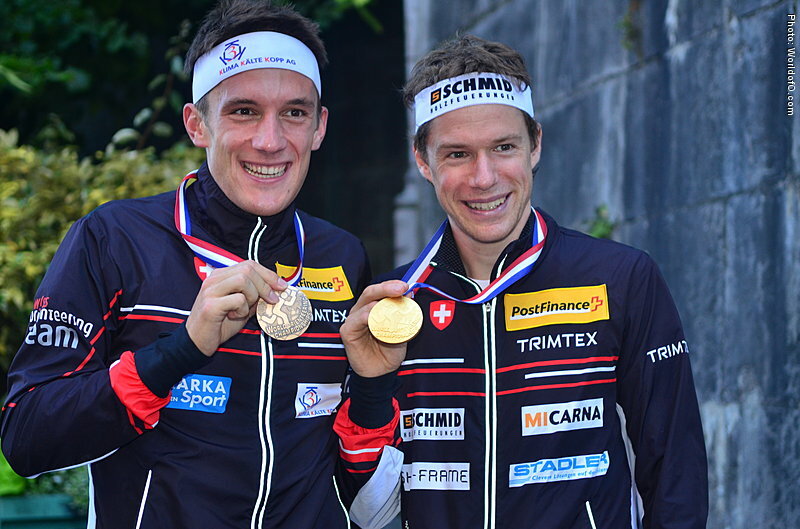 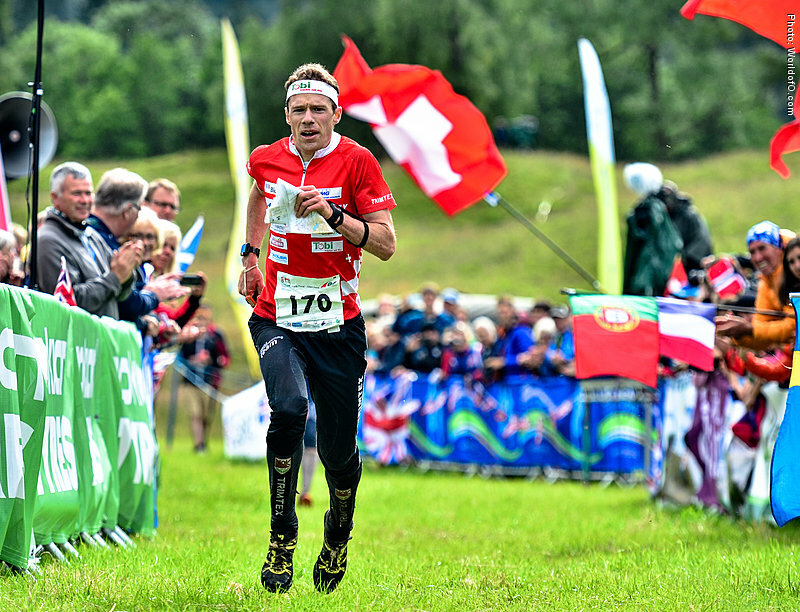 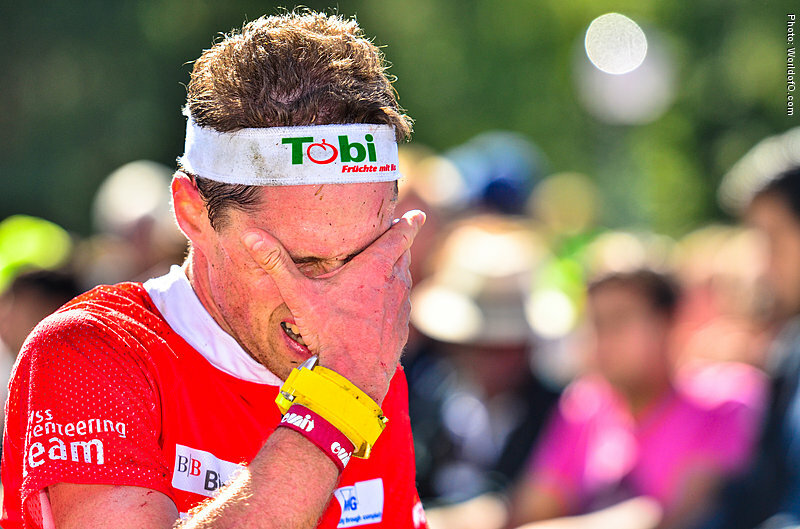 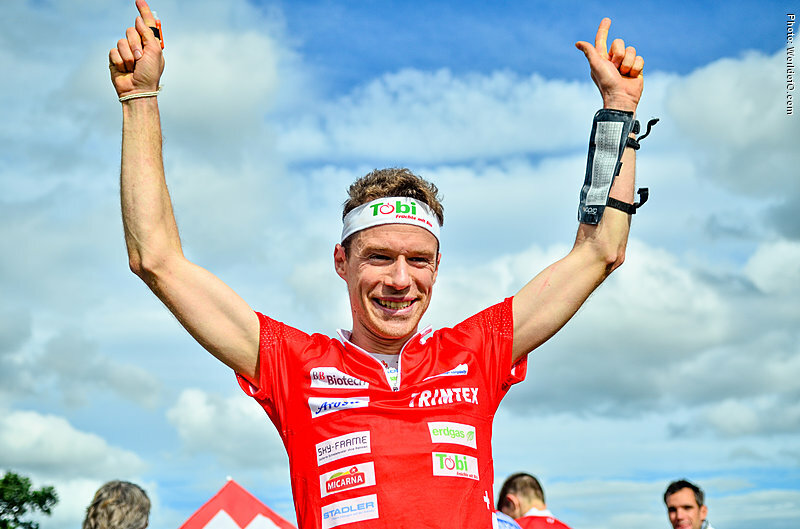 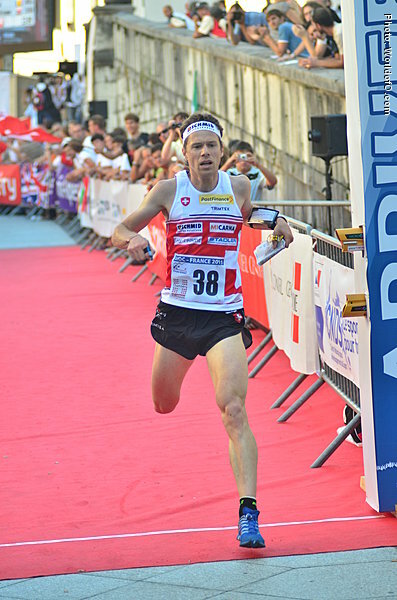 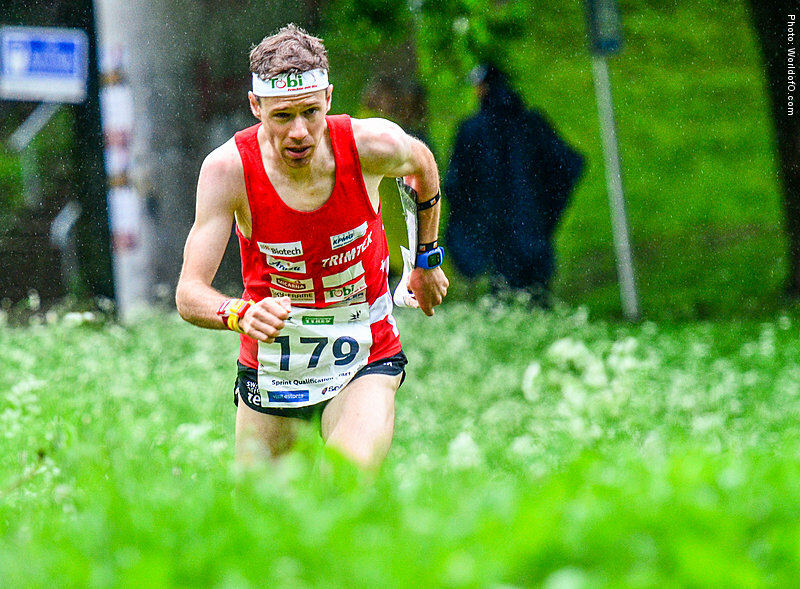 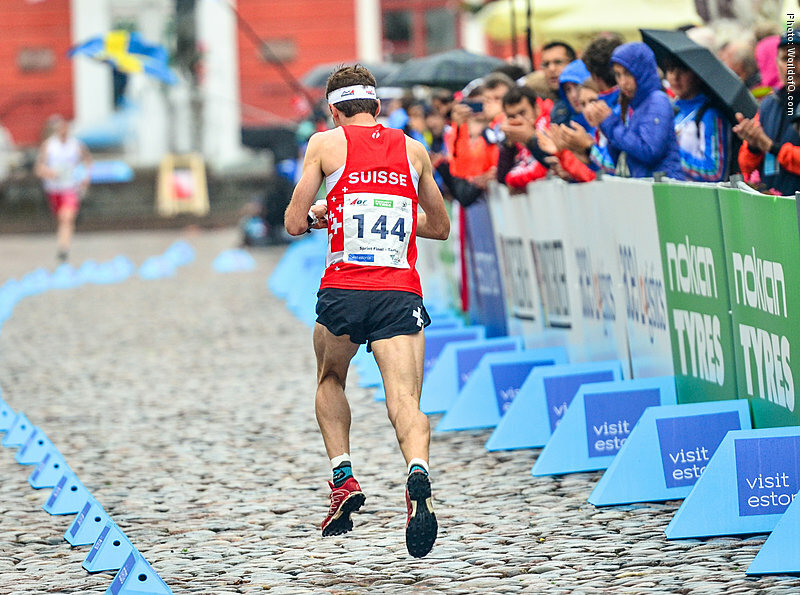 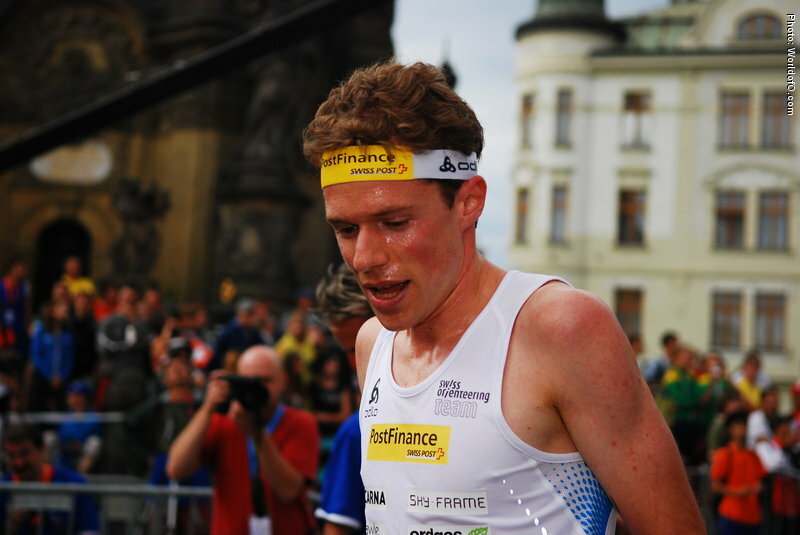 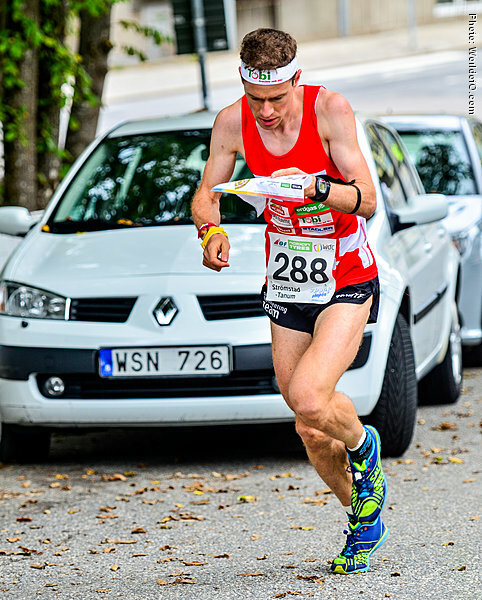 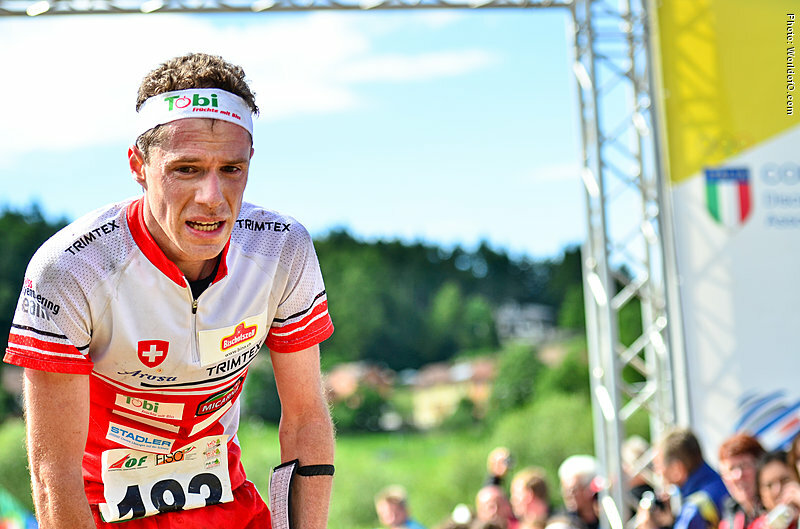 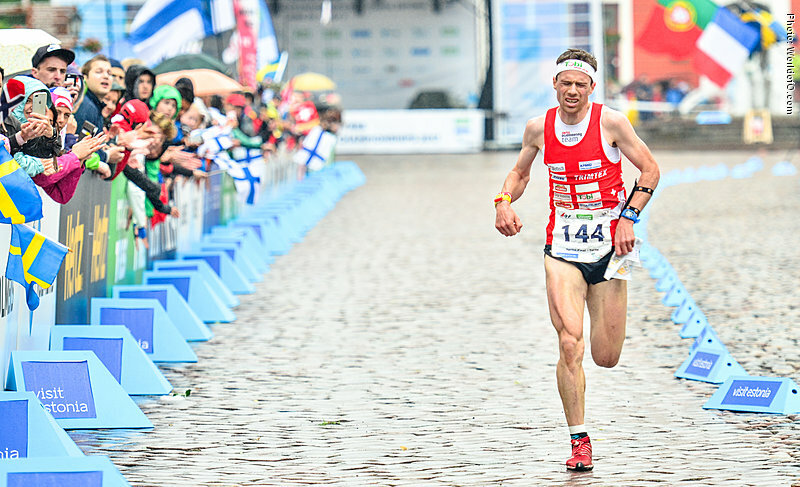 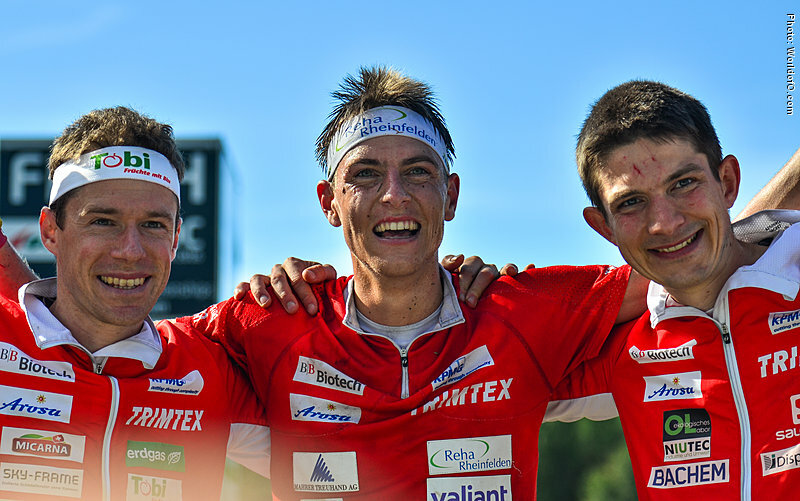 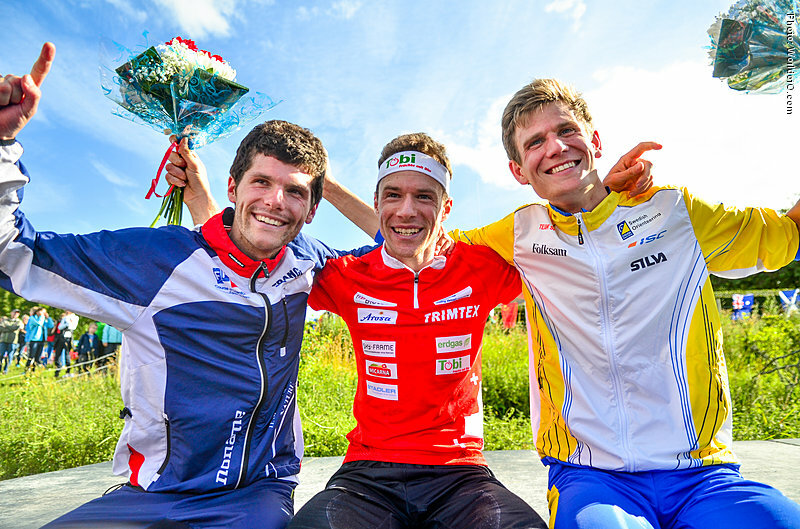 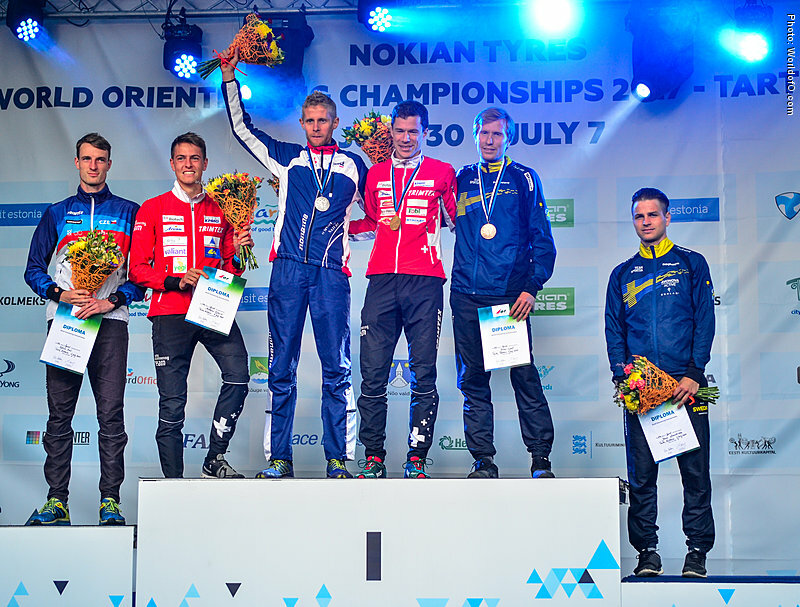 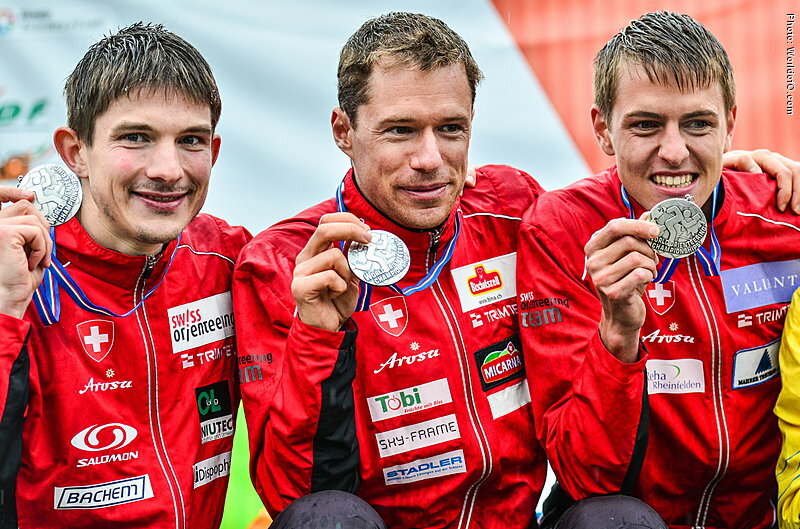 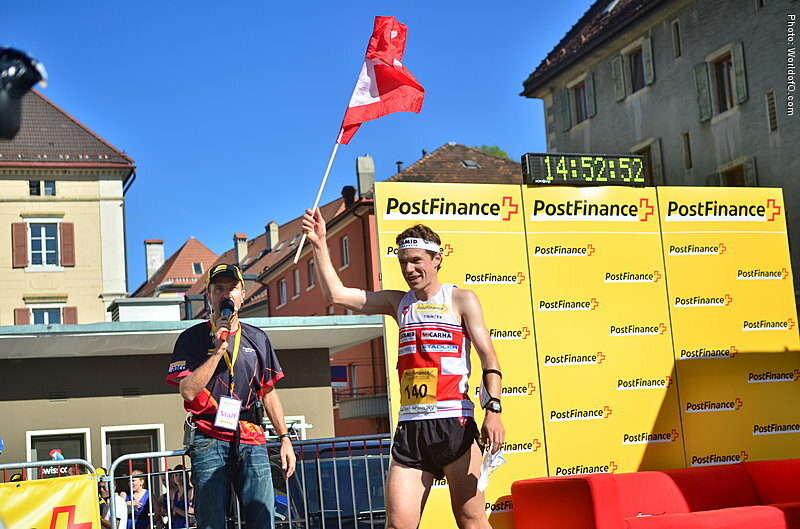 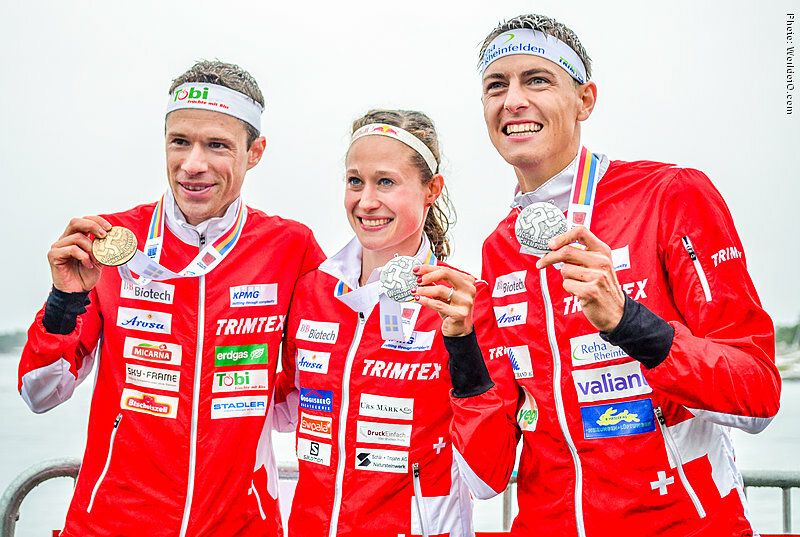 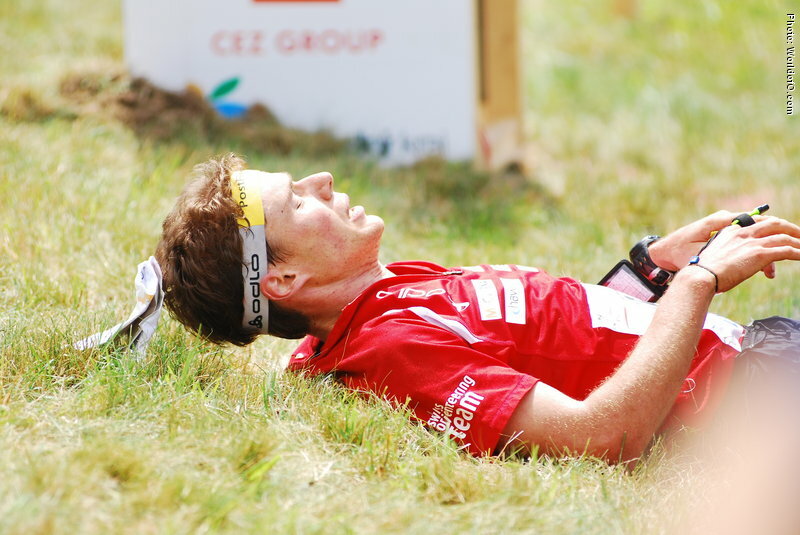 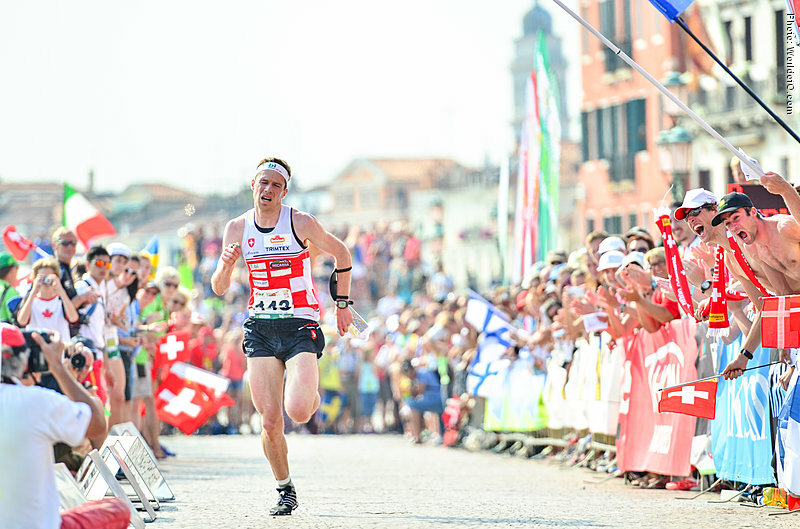 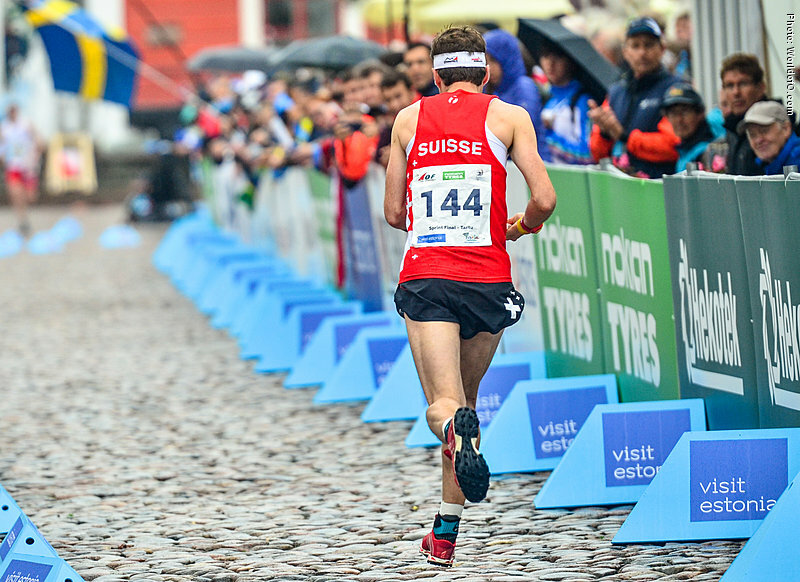 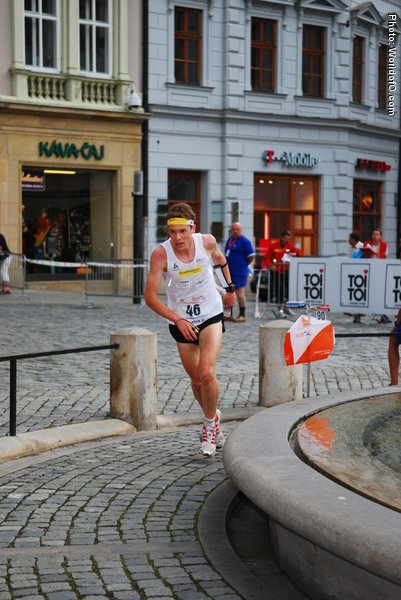 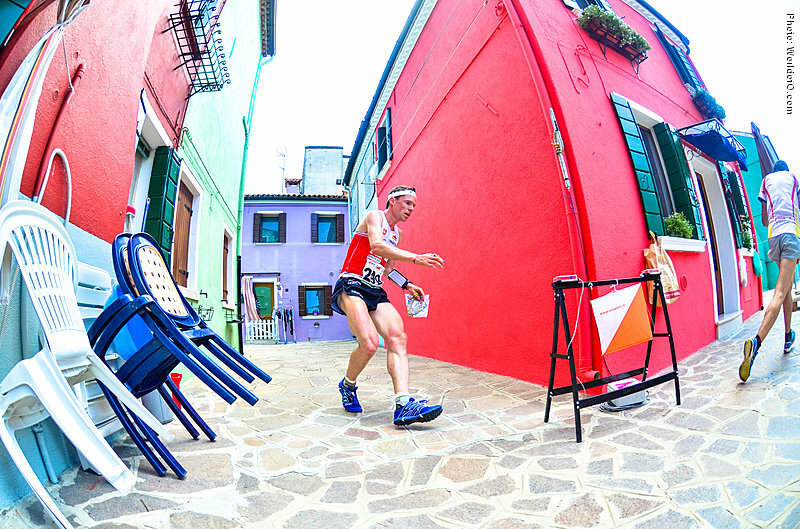 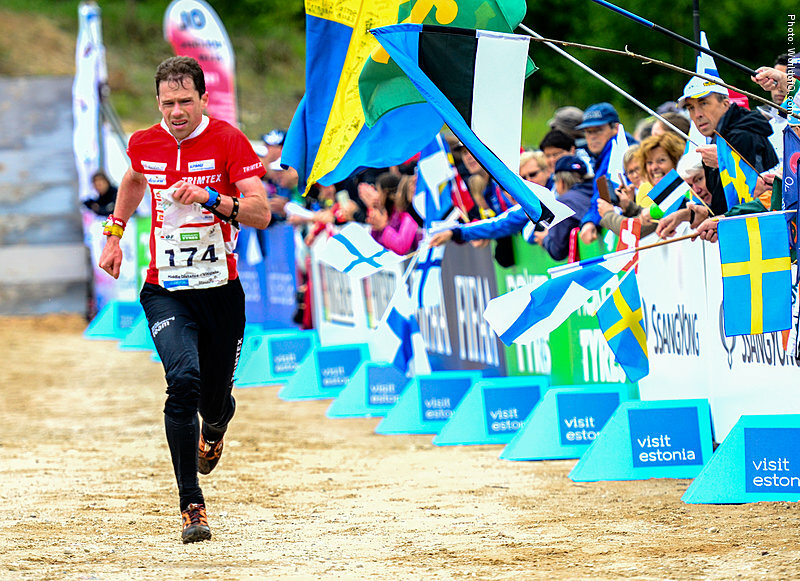 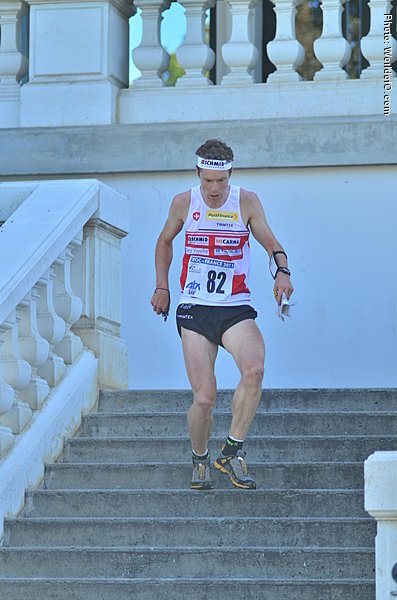 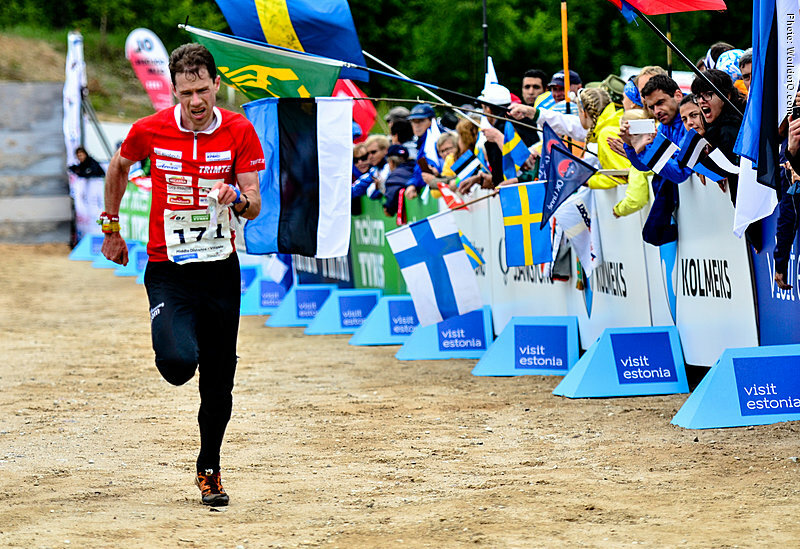 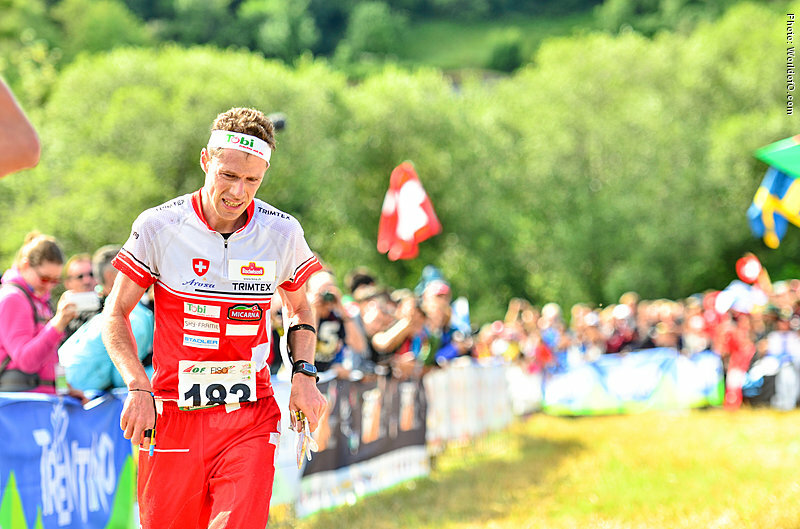 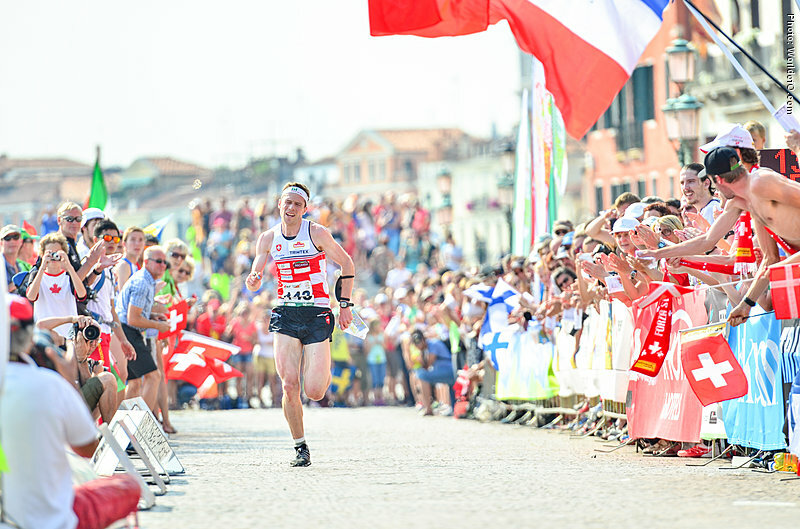 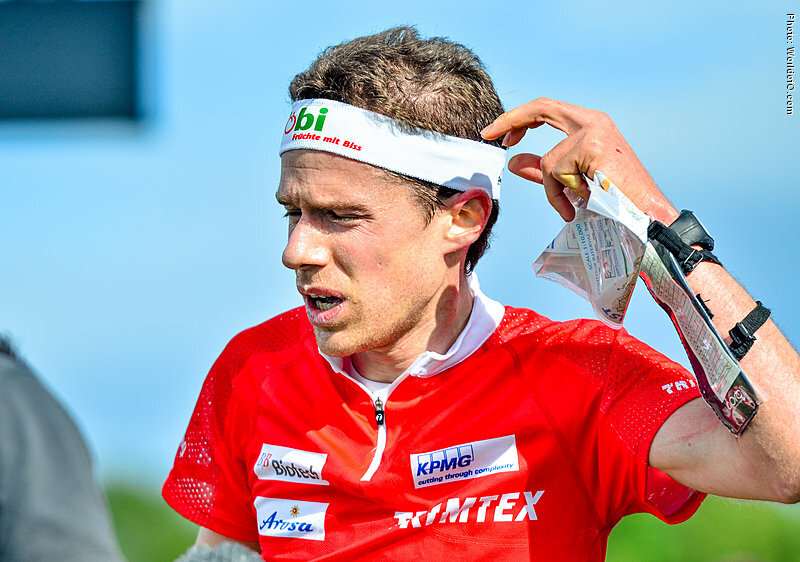 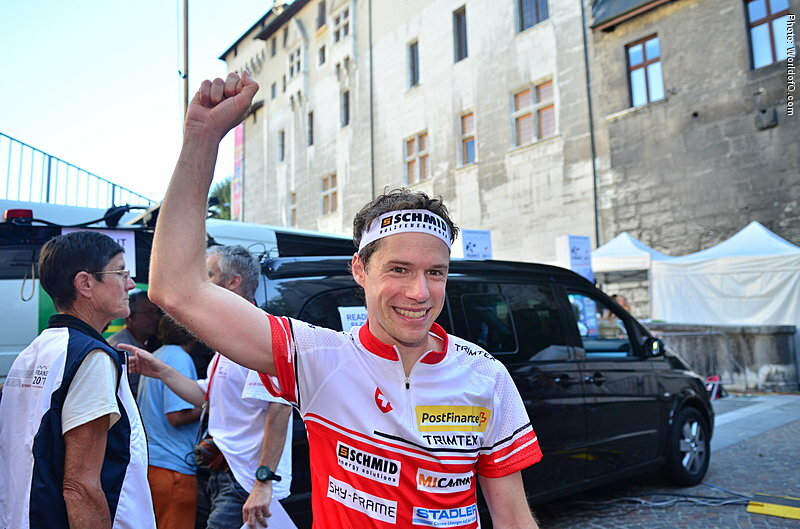 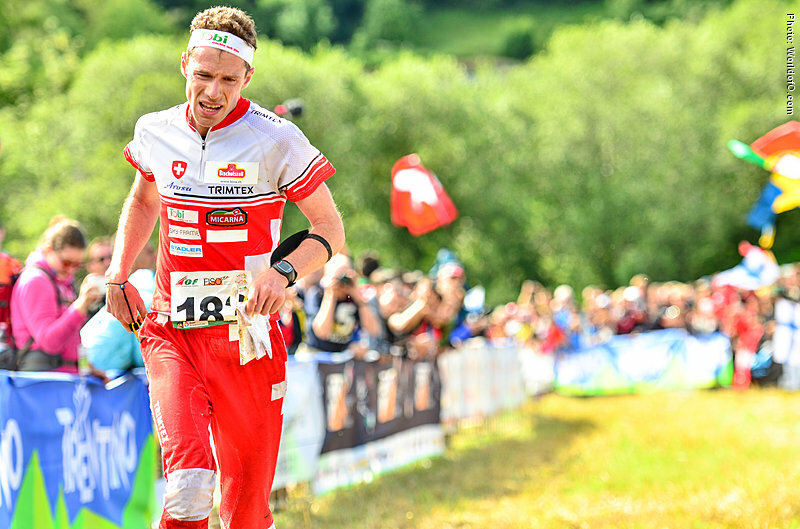 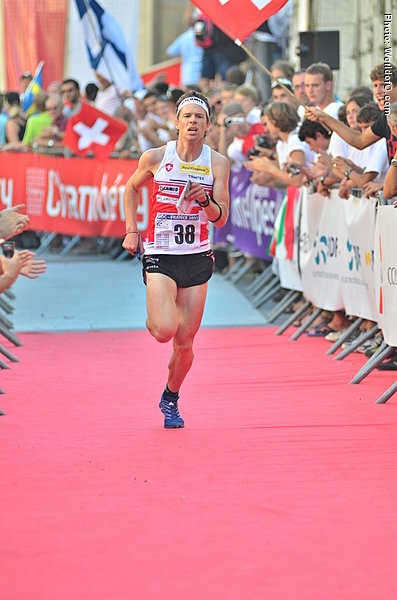 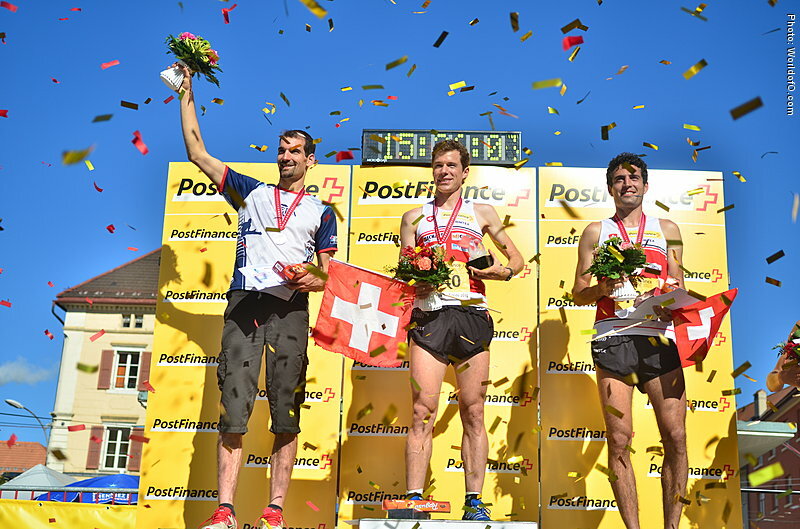 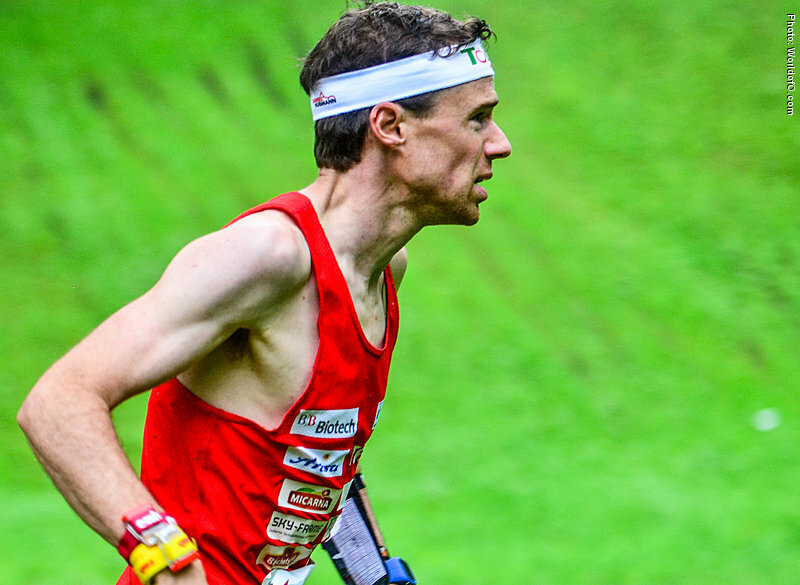 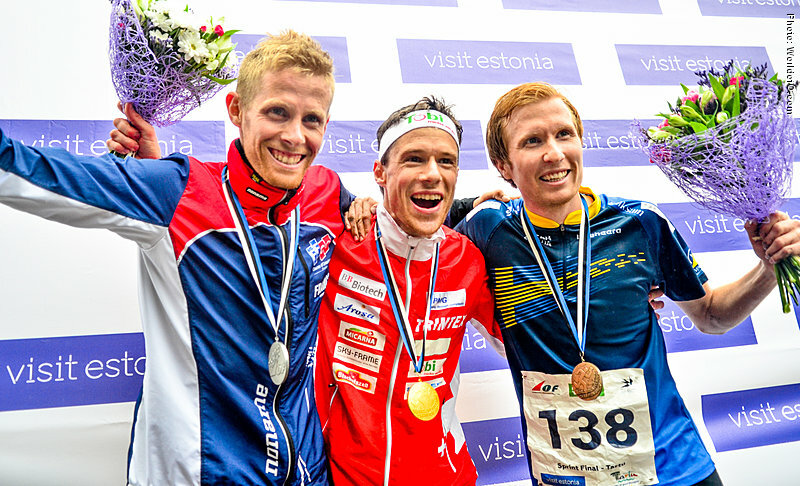 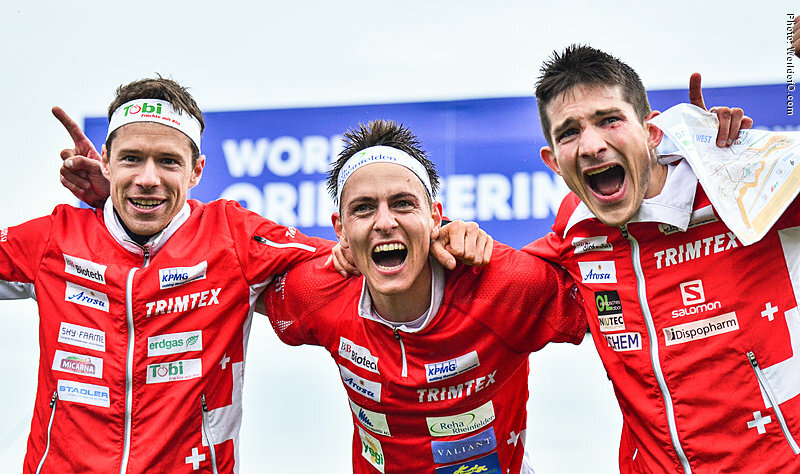 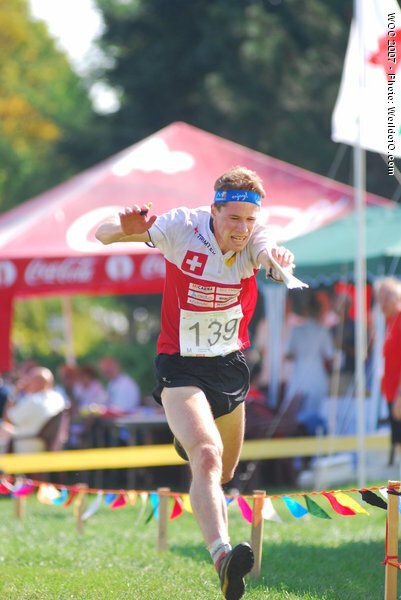 Missed the home-WOC in Switzerland 2012 because of a achilles tendon rupture, but showed at EOC 2014 in Portugal that he was 100% back by winning two gold medals - and later 3 silver medals at the World Championships in Italy. 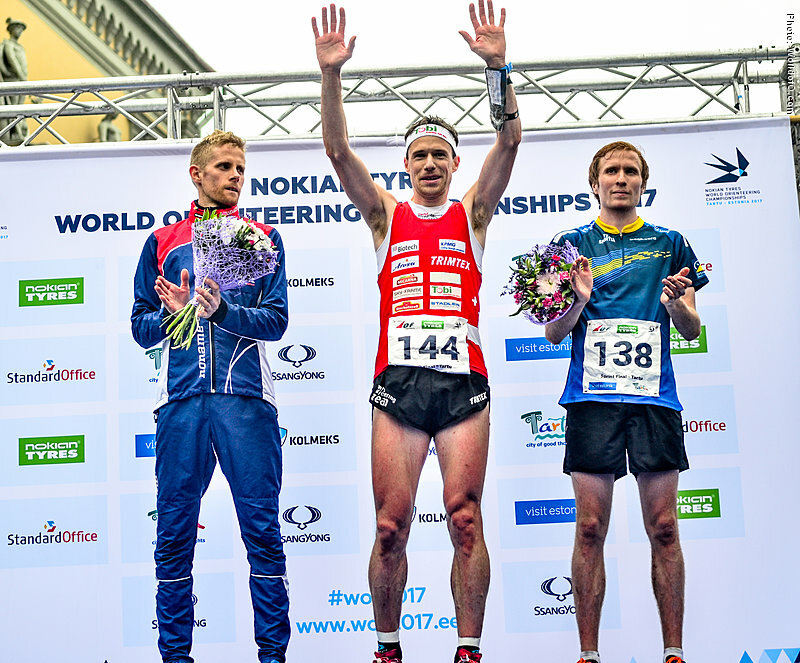 Continued his strong performance in 2015 with three WOC medals (of which 2 where gold) and four WOC medals in 2016 (of which none where gold). 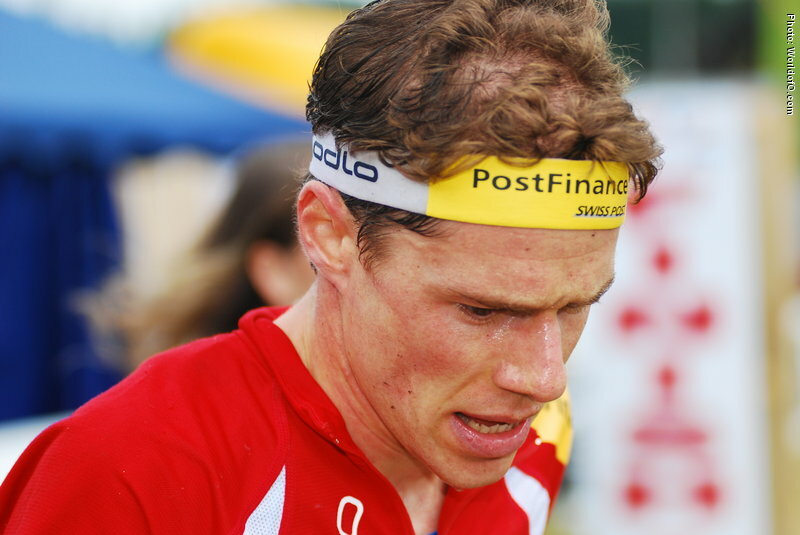 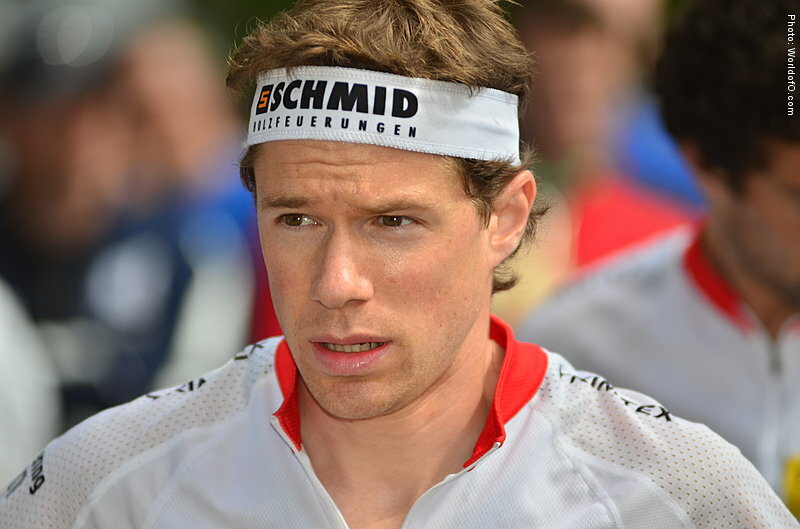 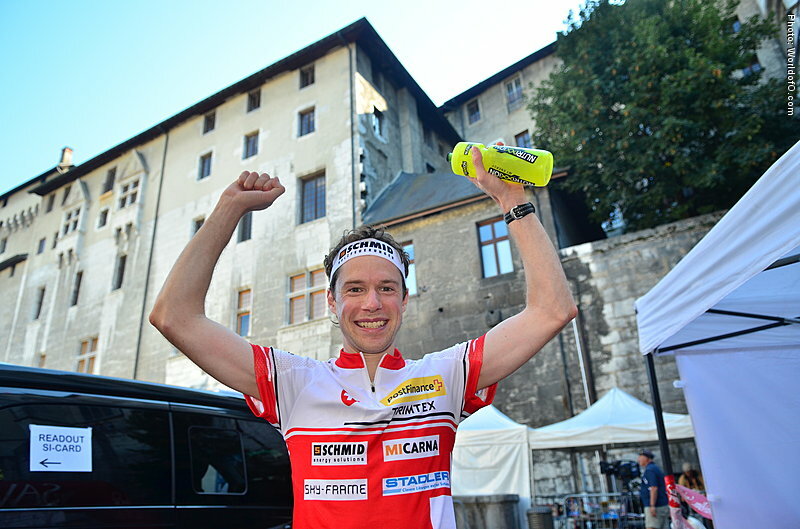 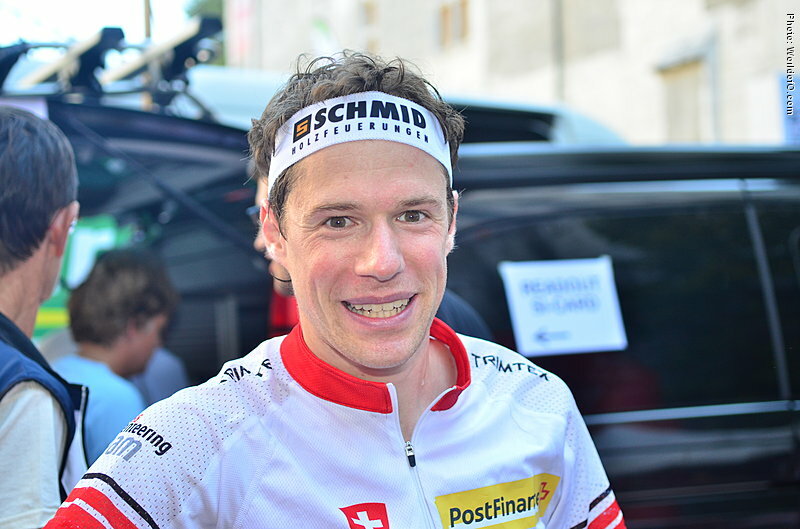 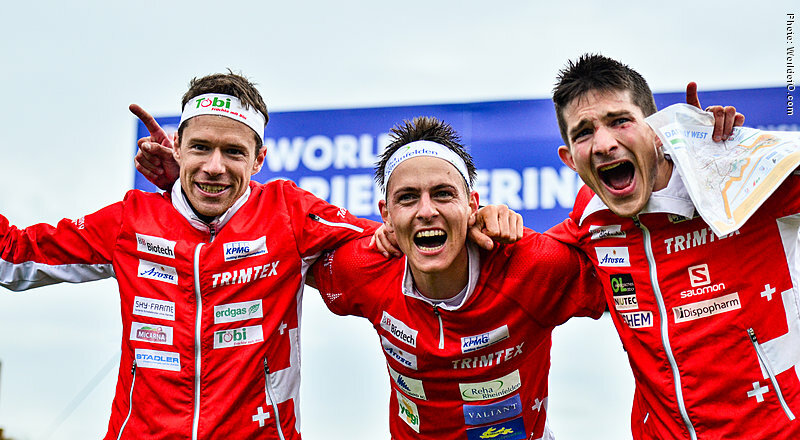 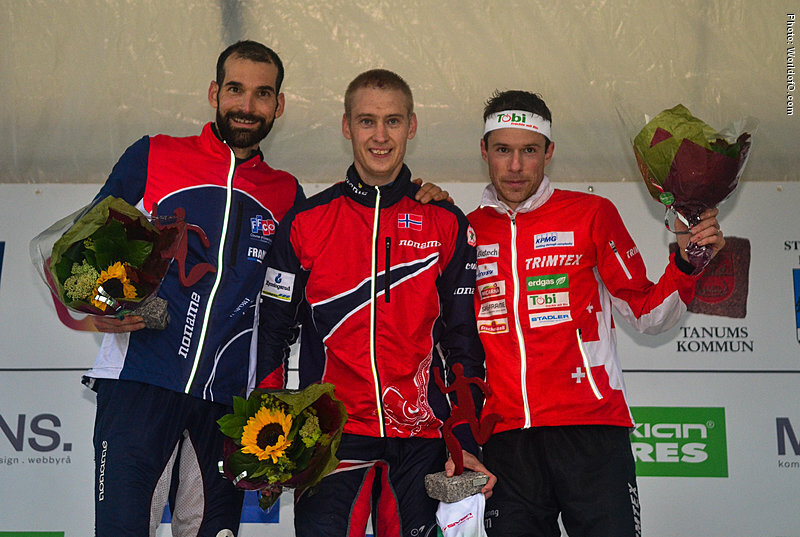 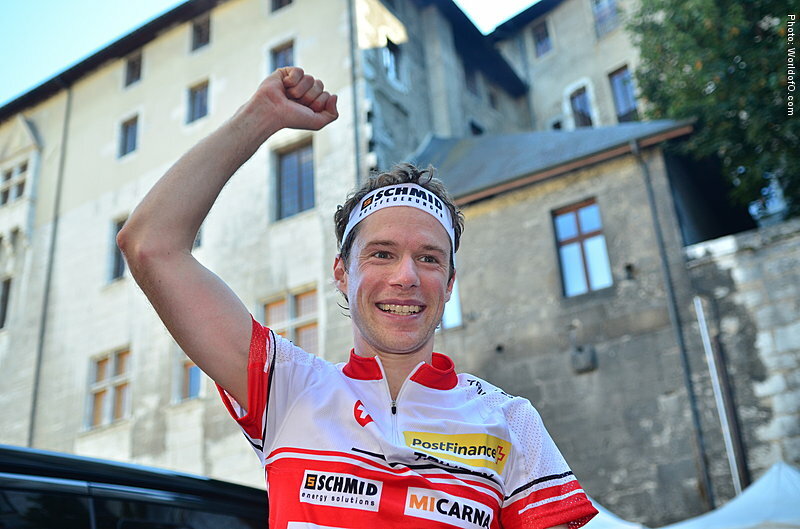 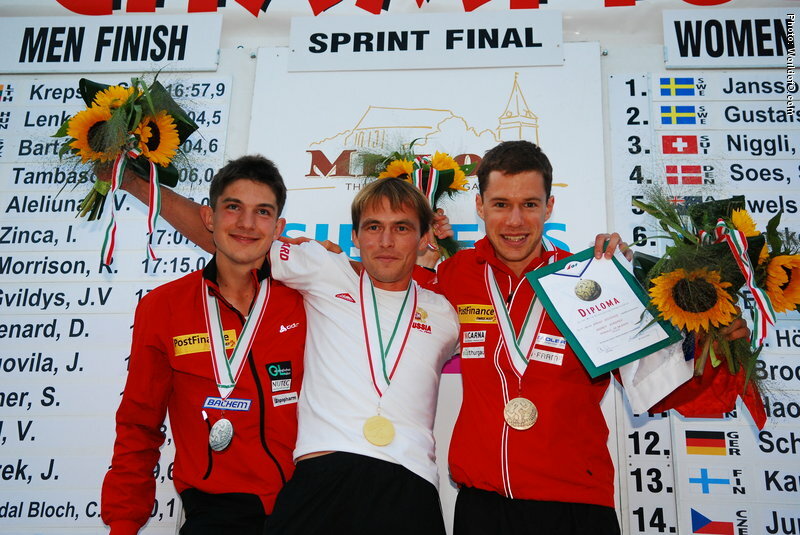 Very strong sprint results in the start of the career, but Hubmann developed to a real allrounder, winning the overall World Cup 6 times (2008, 2009, 2010, 2011, 2014, 2015; as of june 2017). 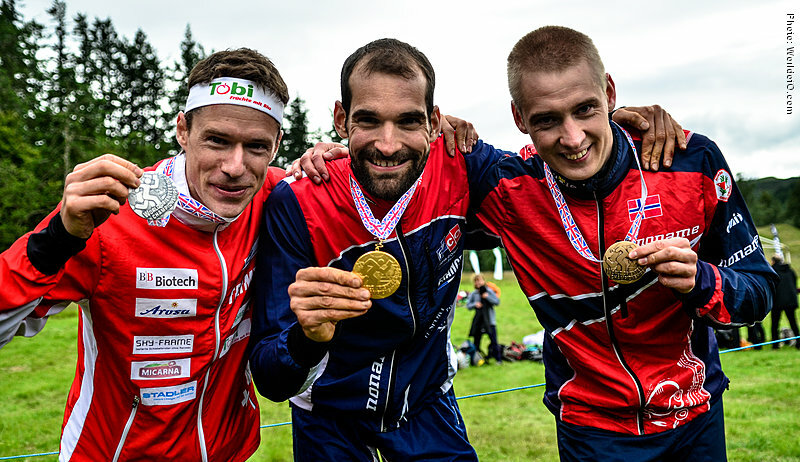 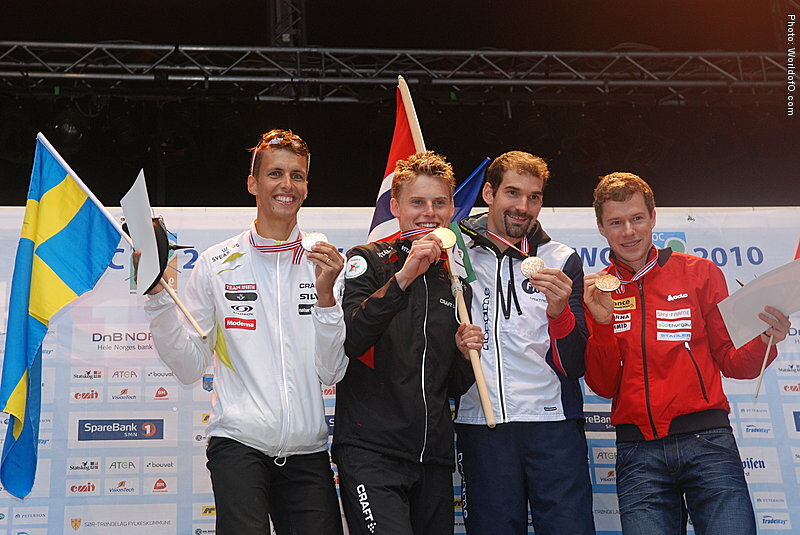 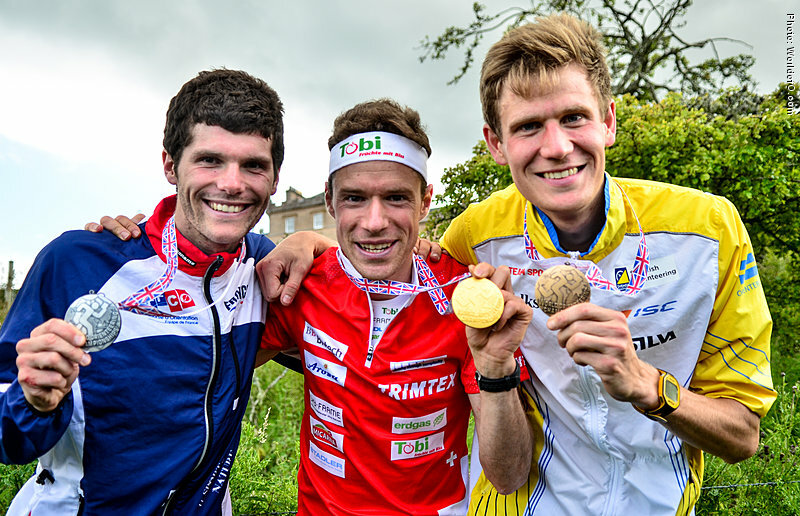 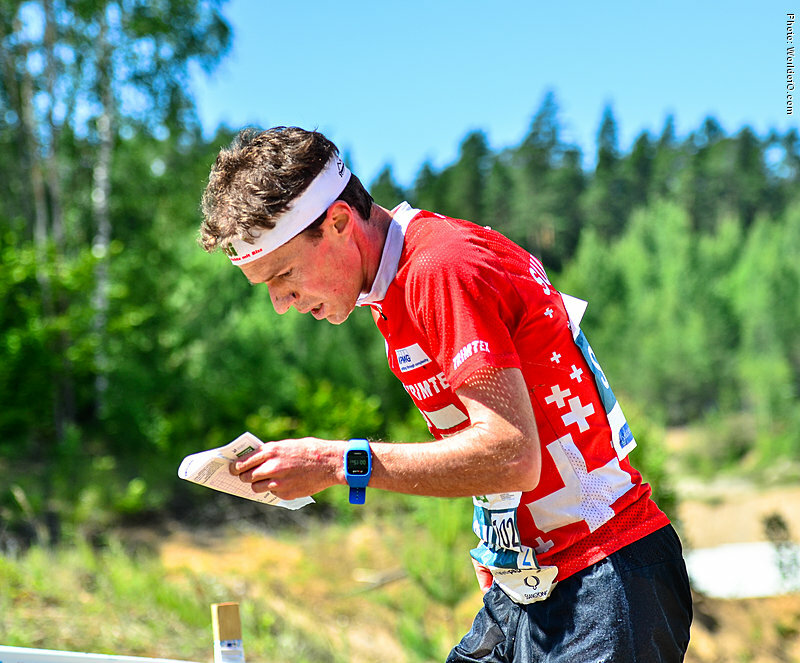 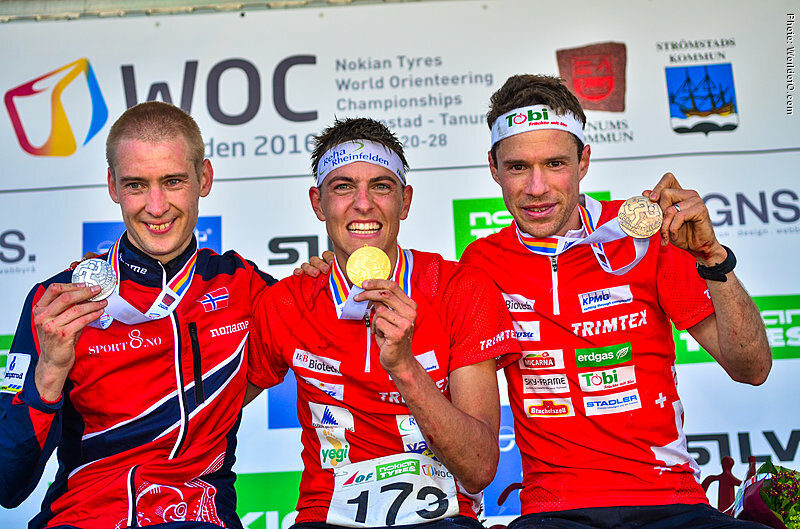 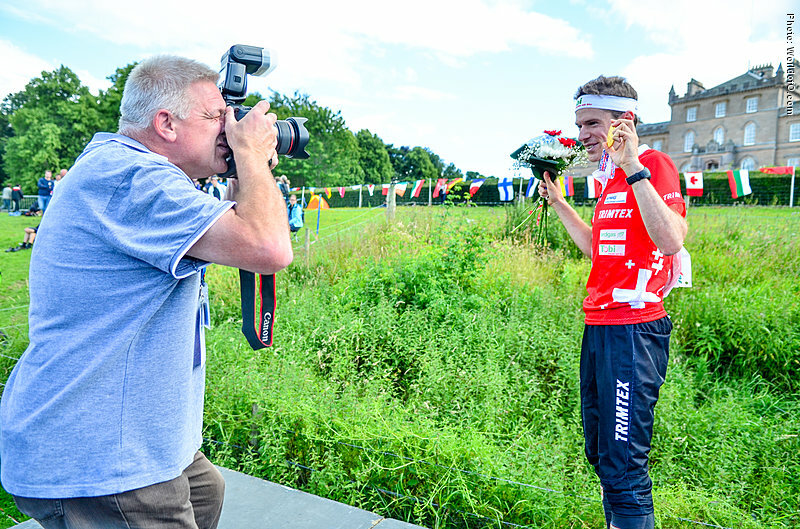 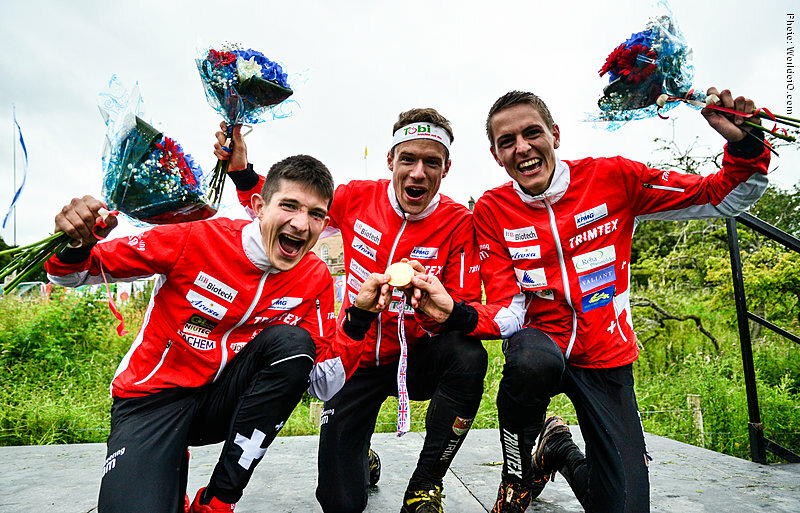 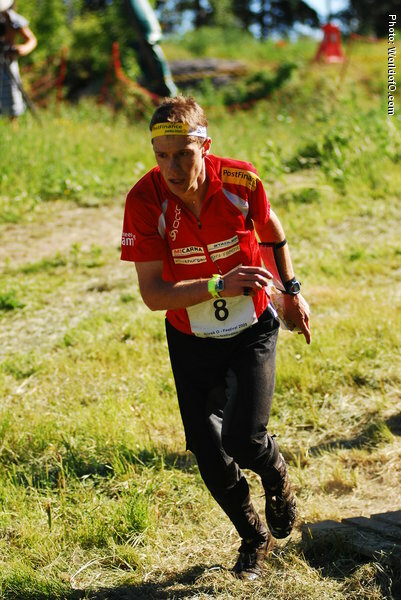 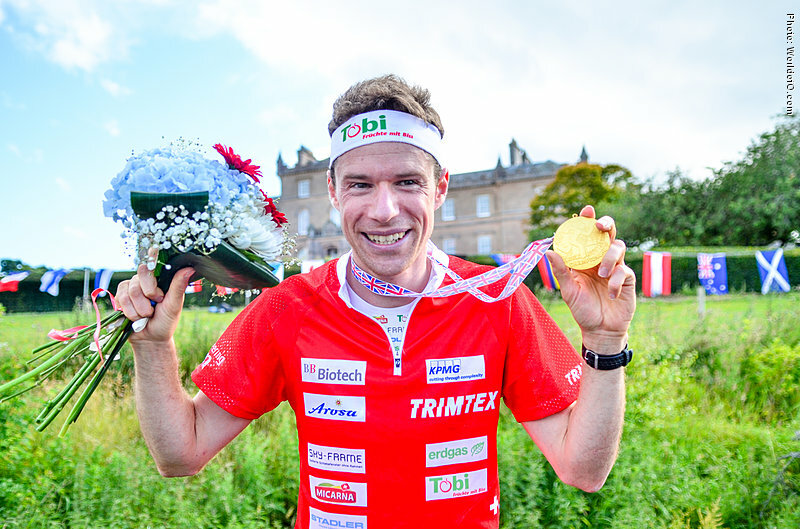 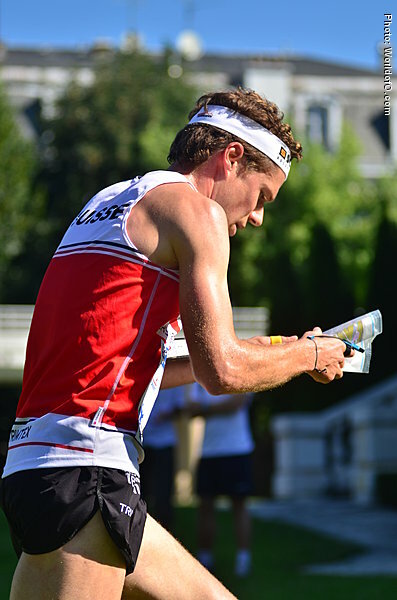 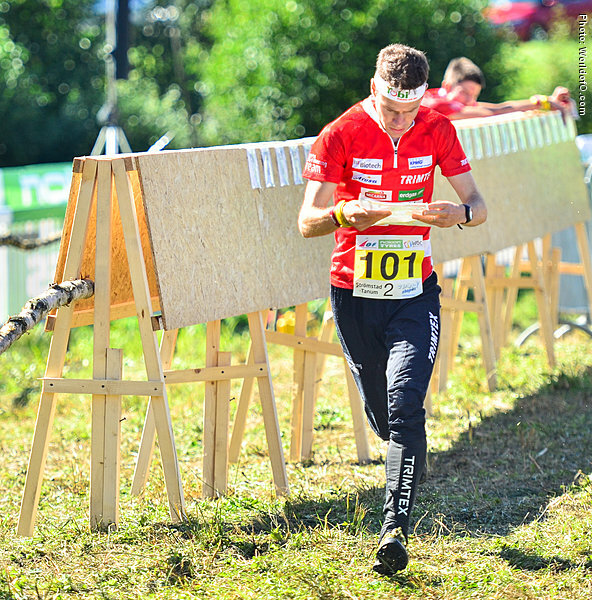 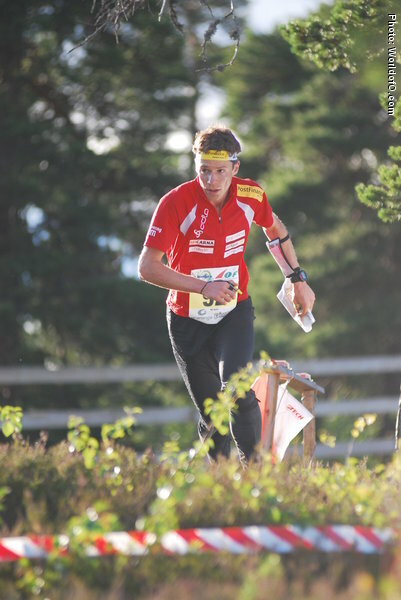 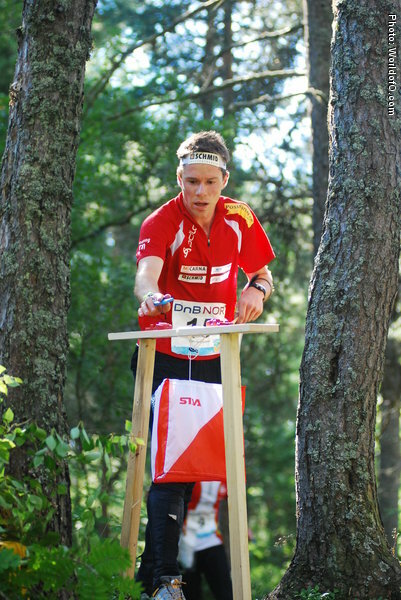 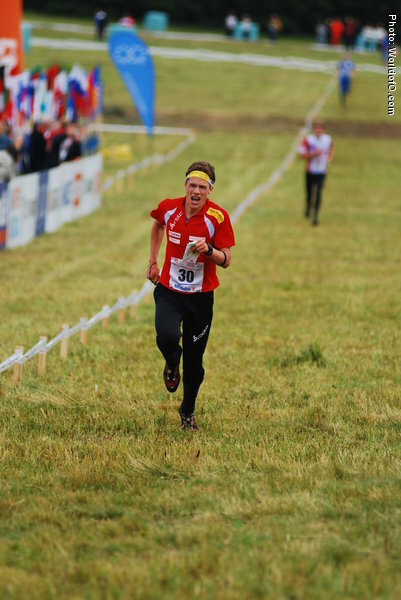 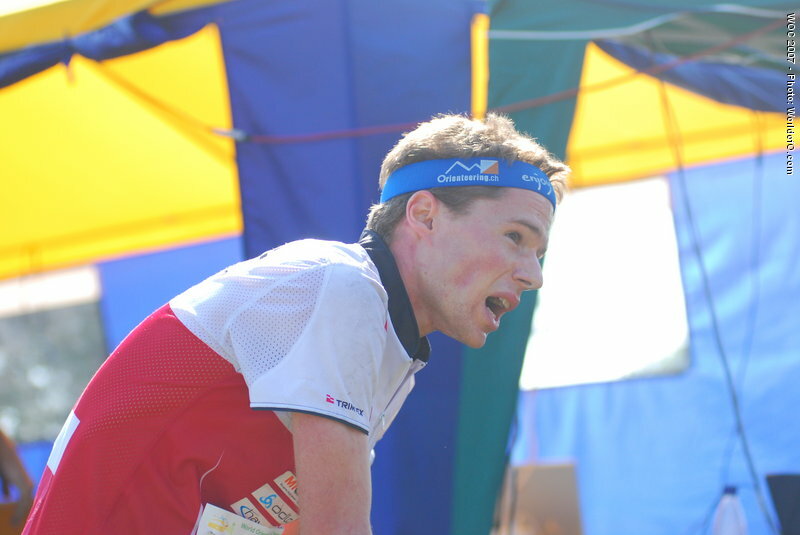 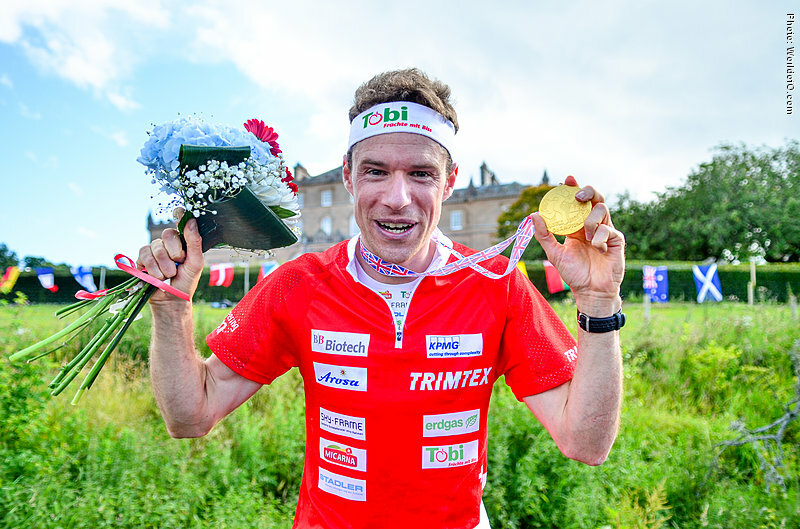 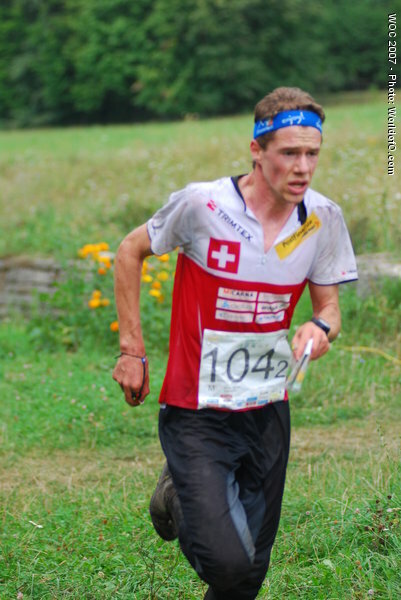 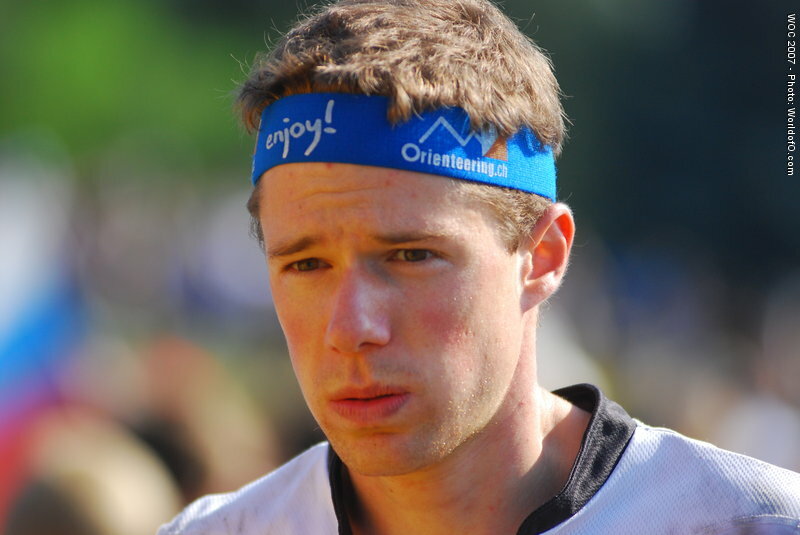 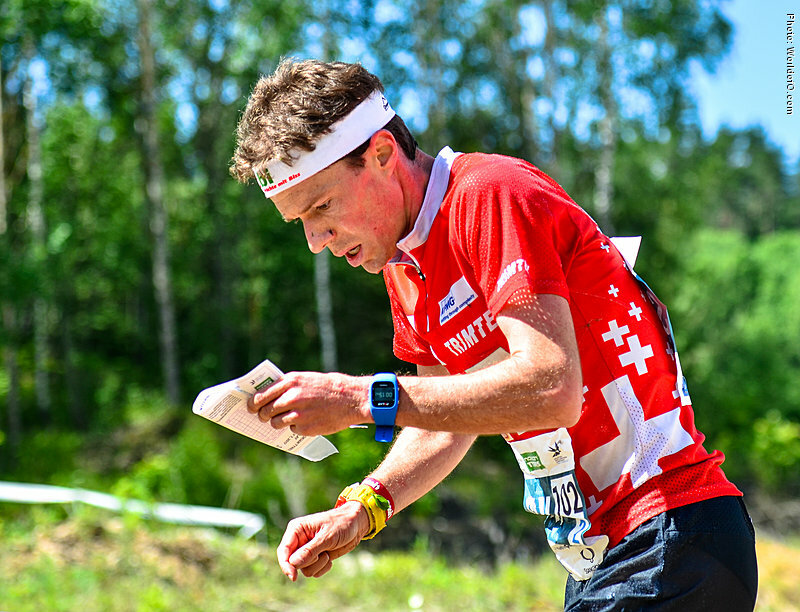 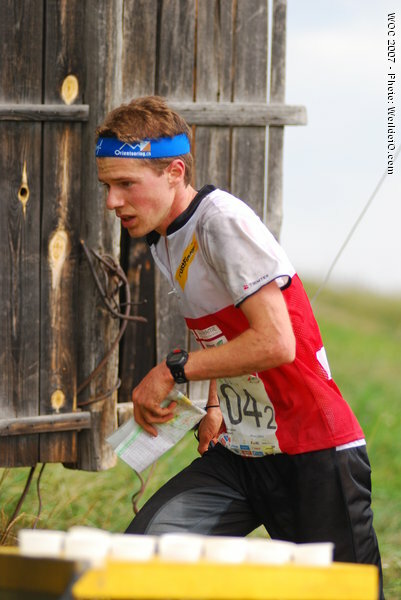 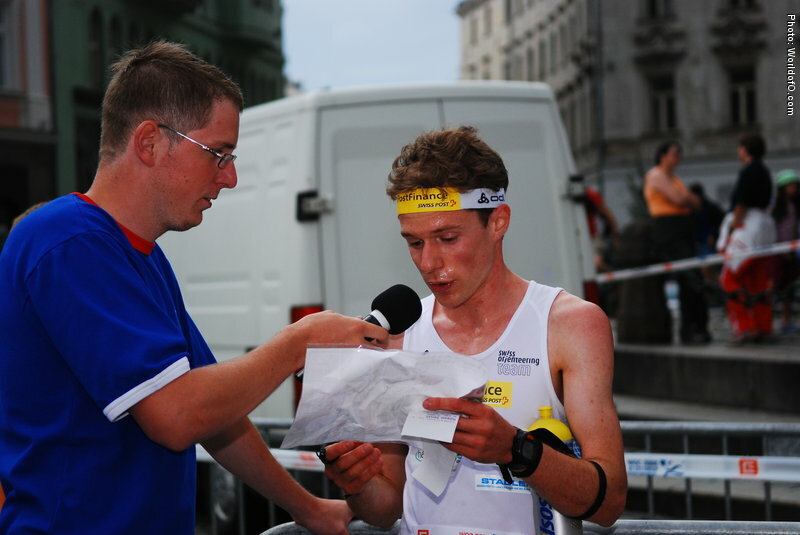 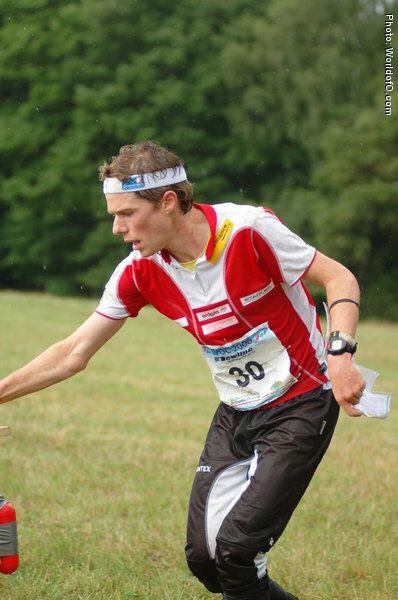 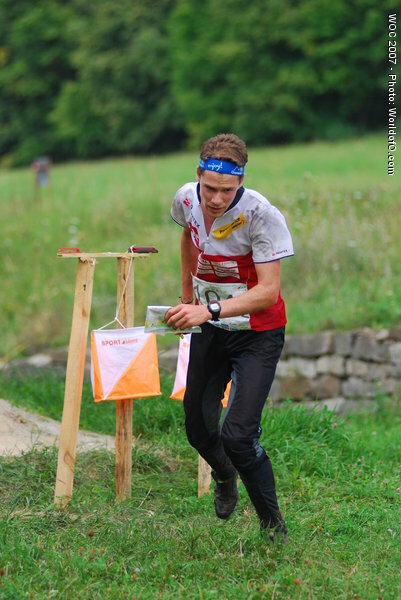 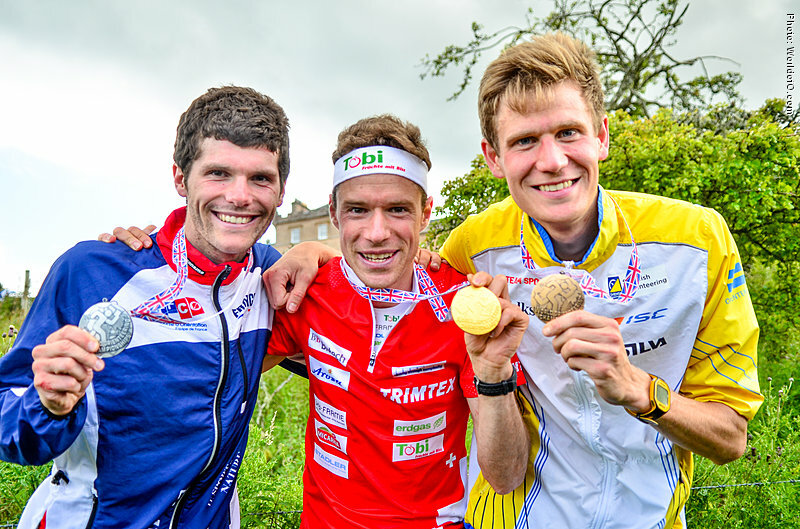 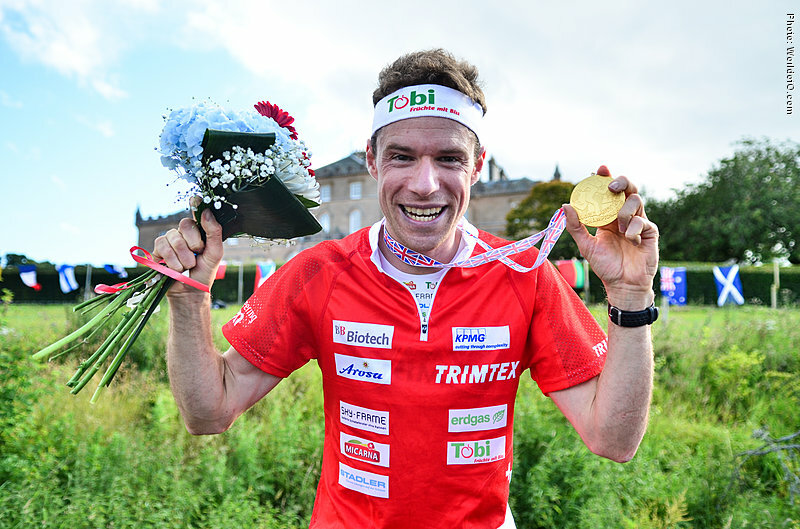 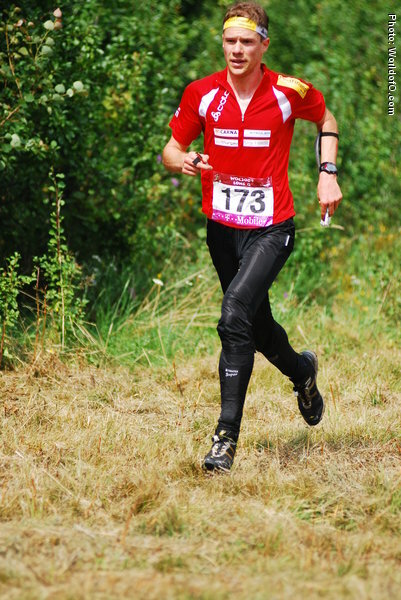 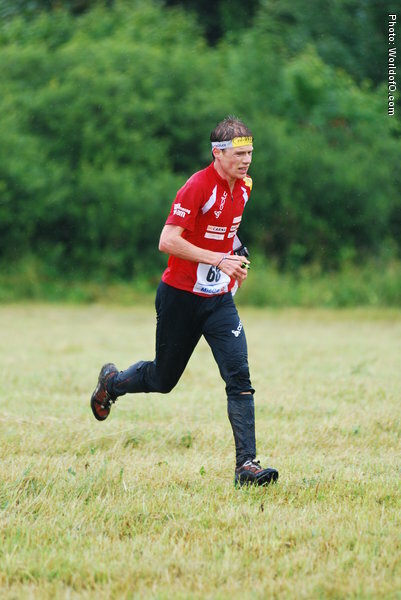 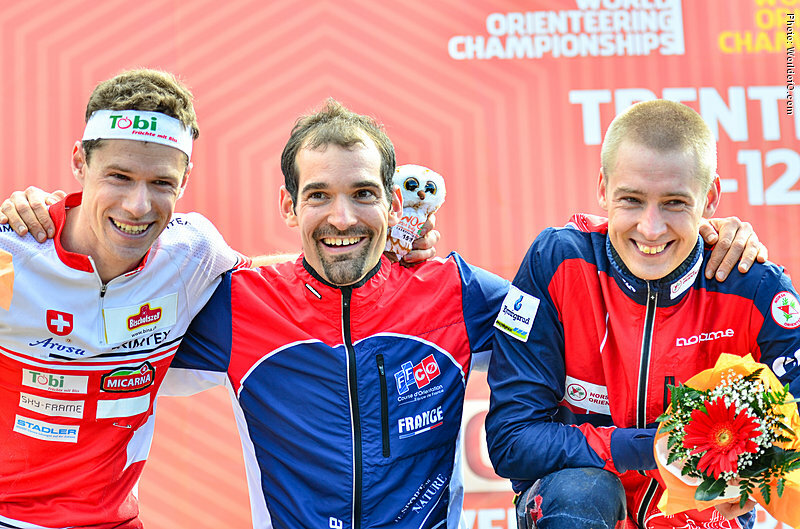 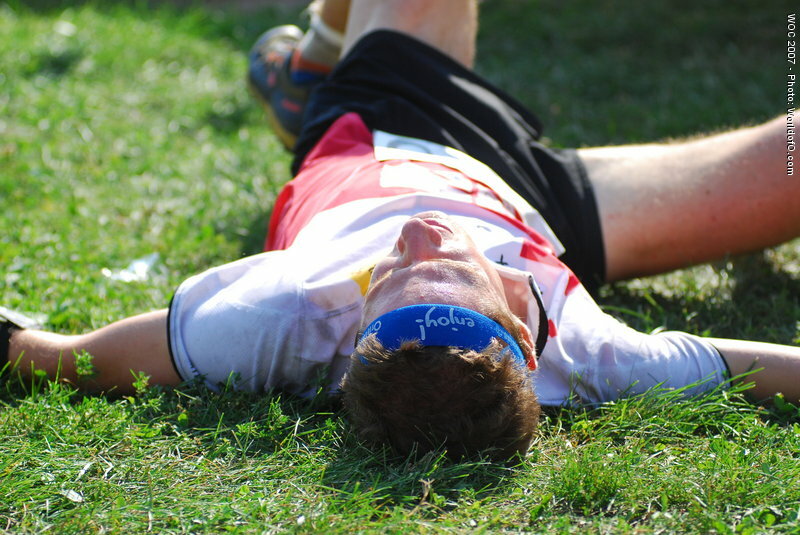 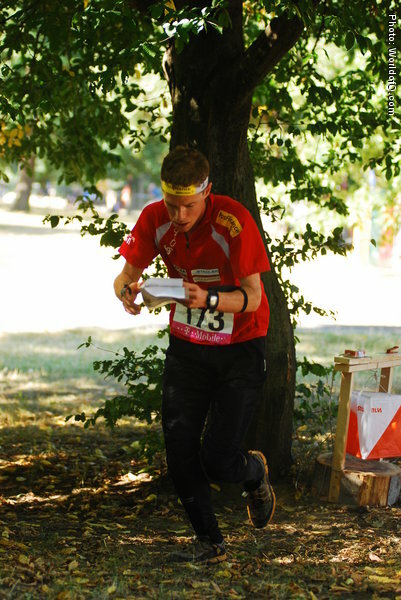 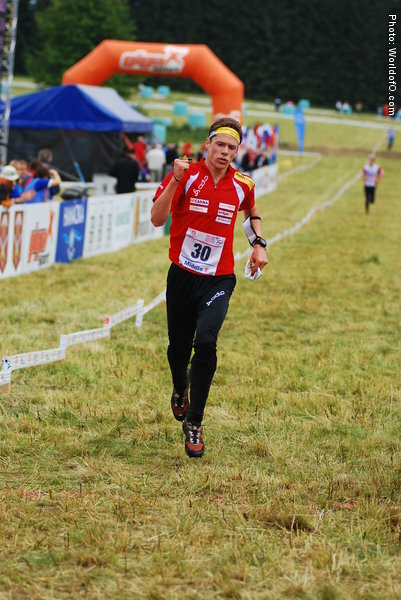 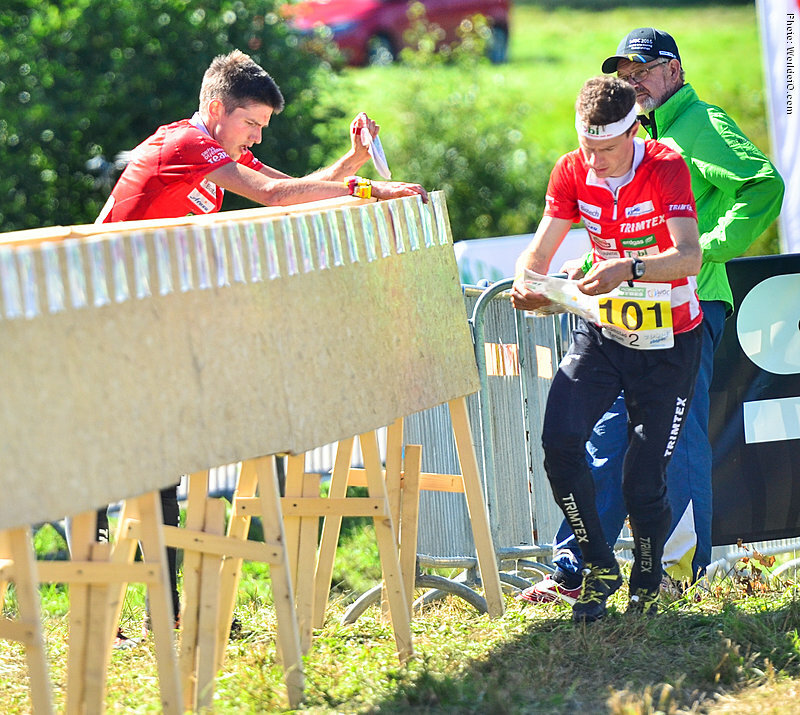 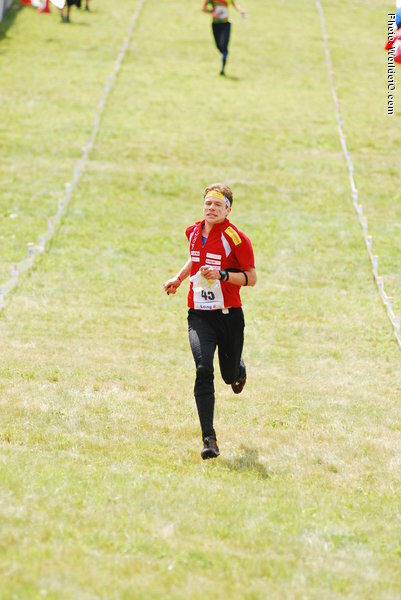 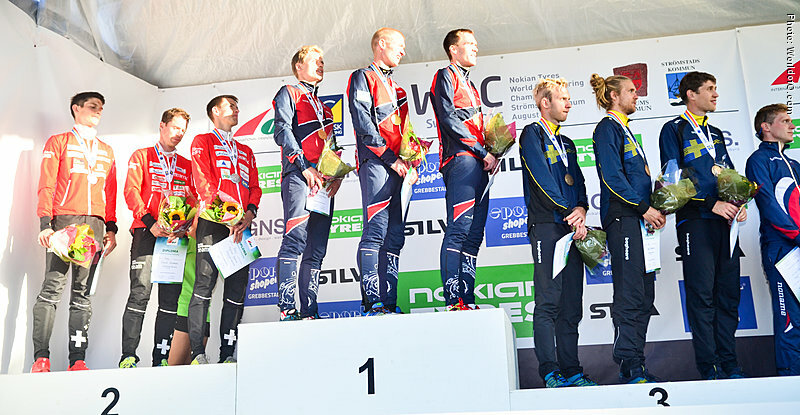 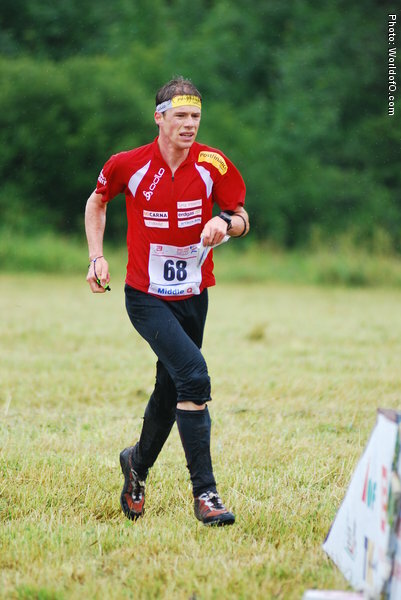 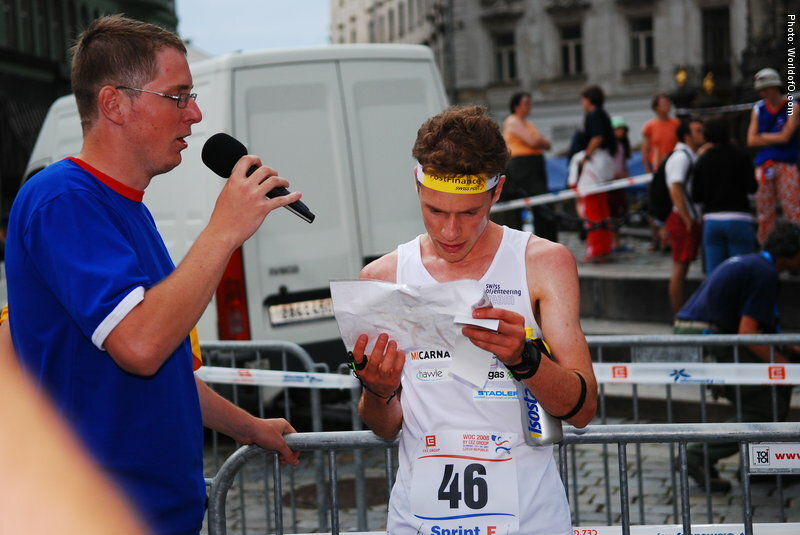 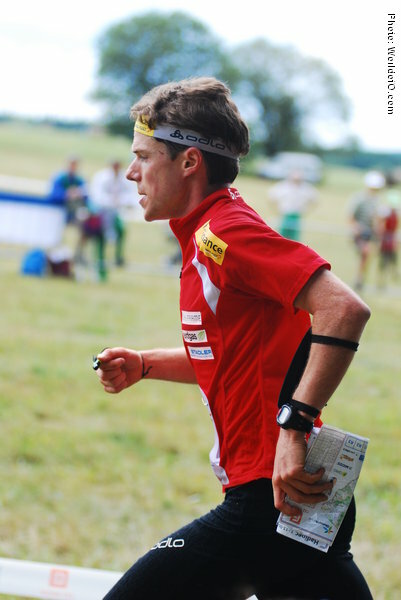 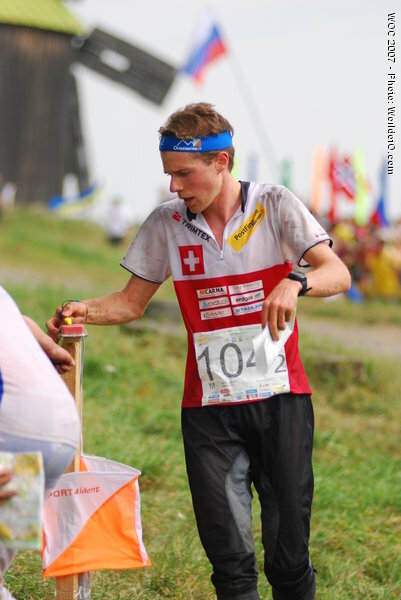 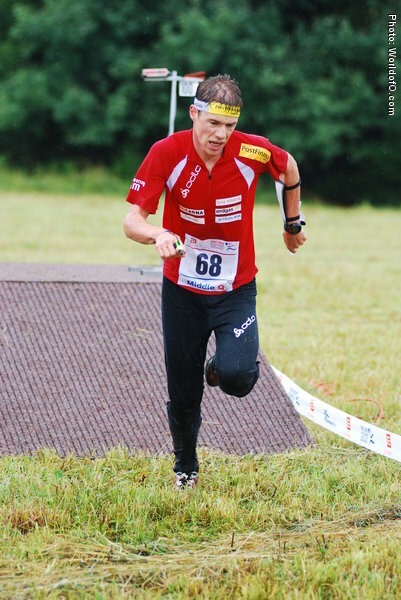 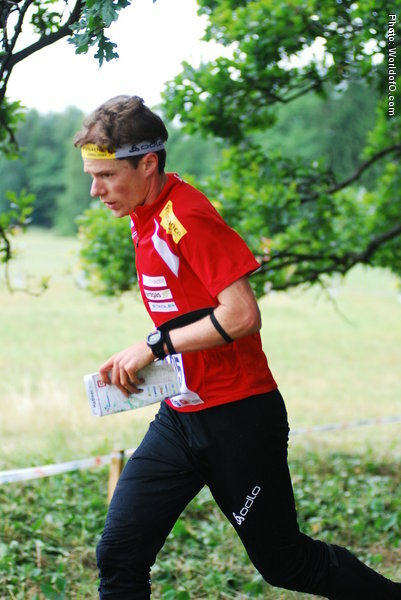 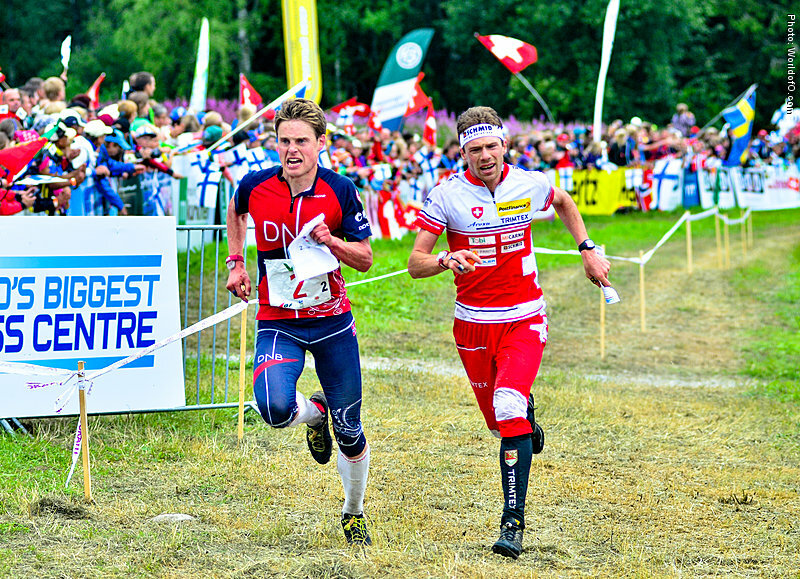 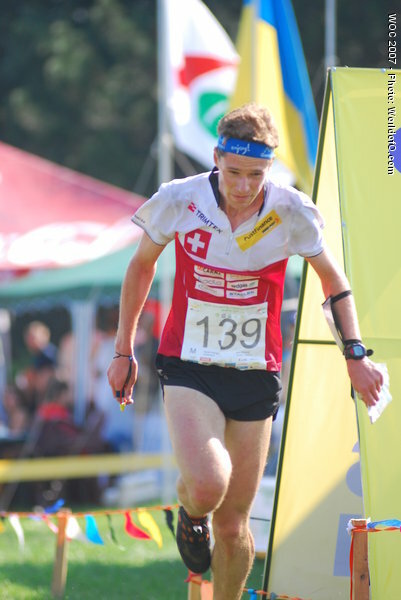 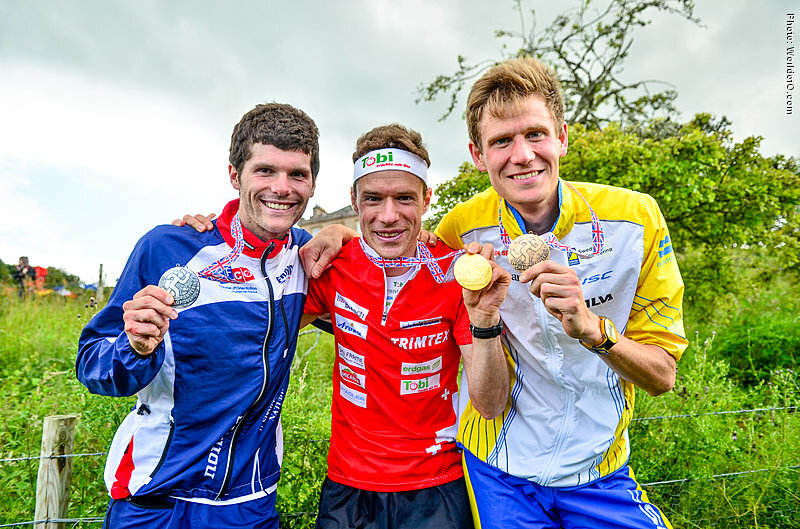 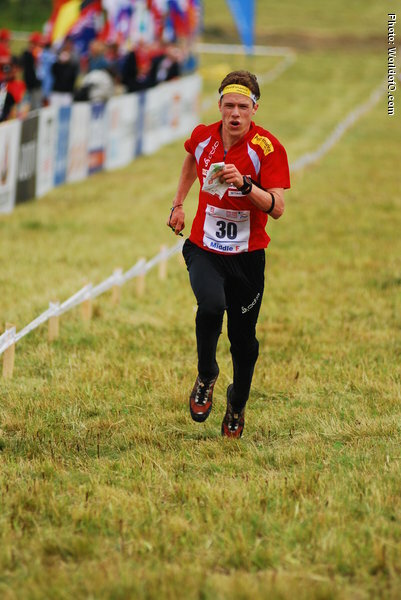 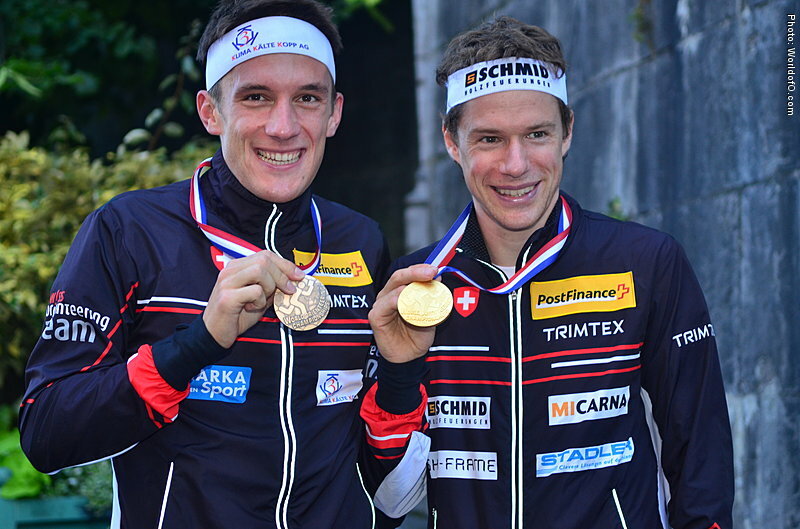 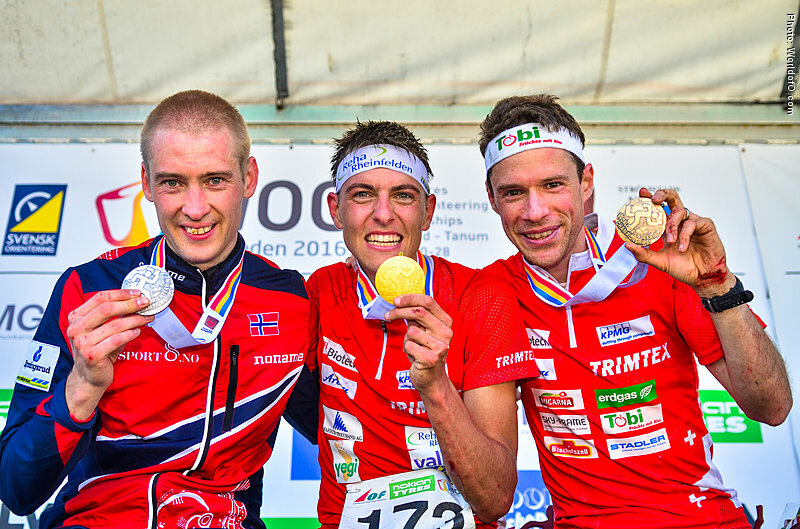 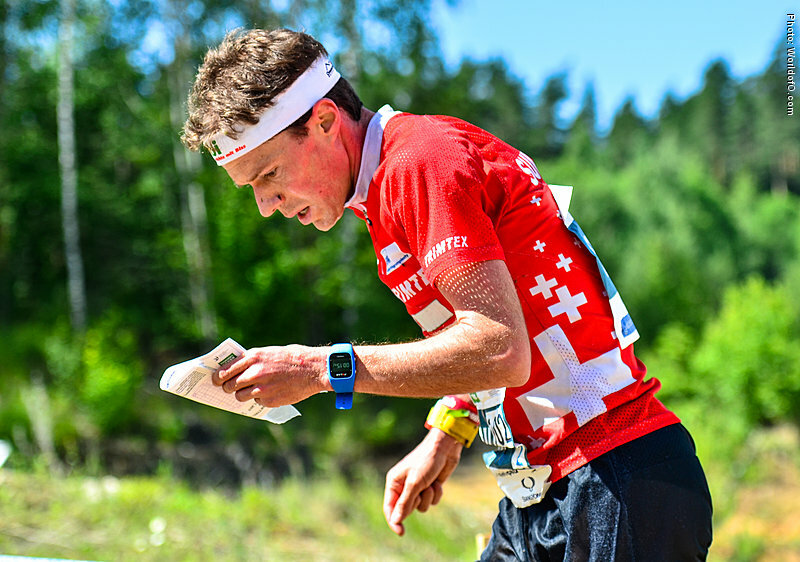 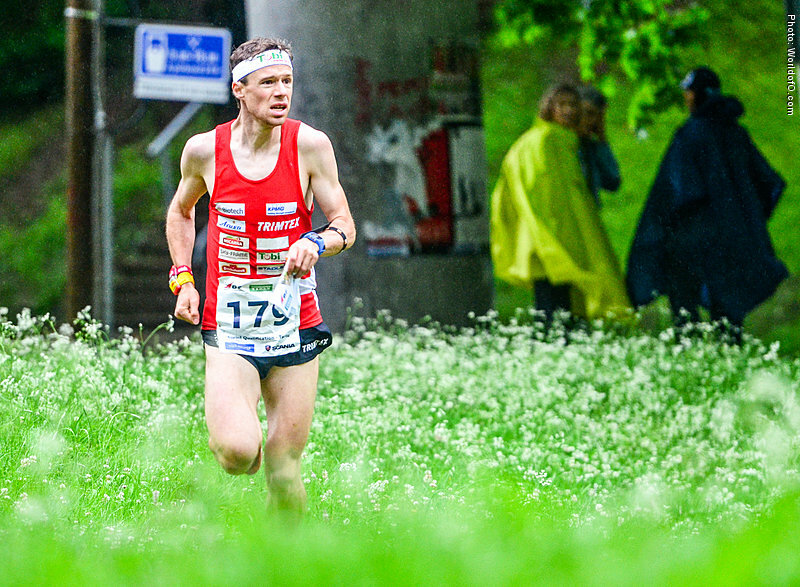 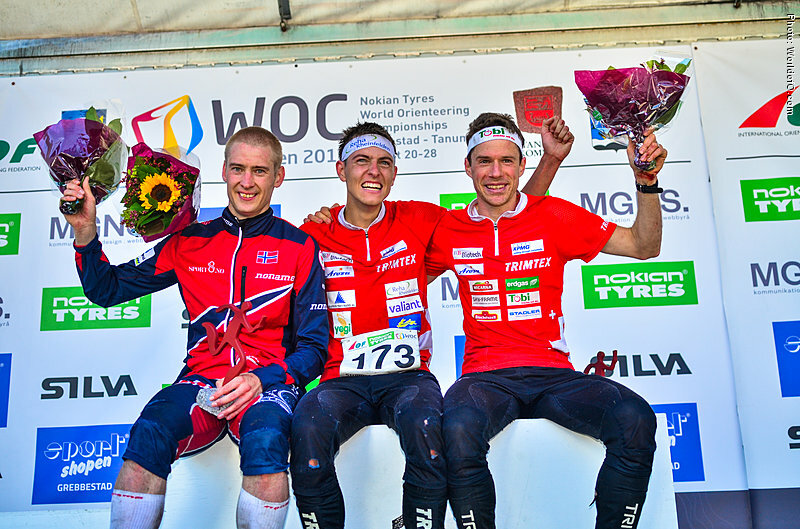 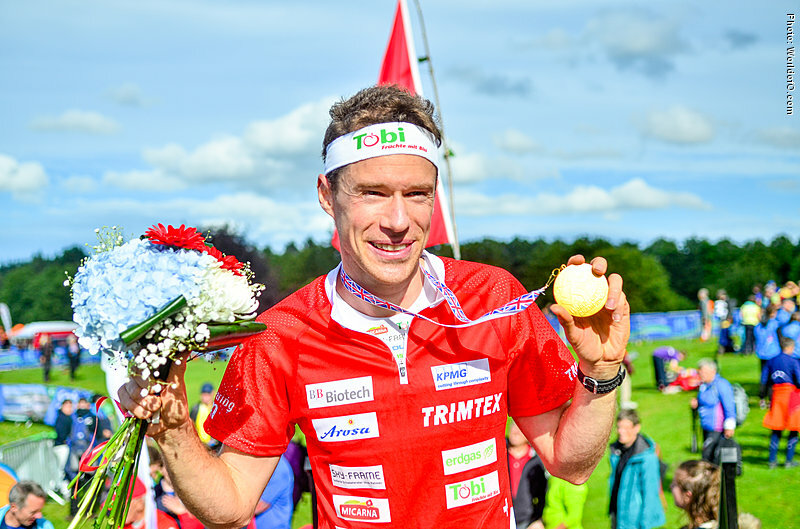 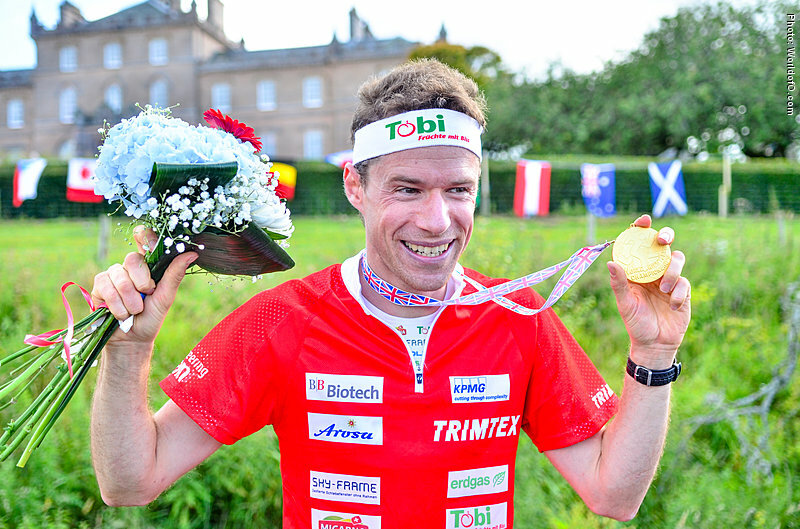 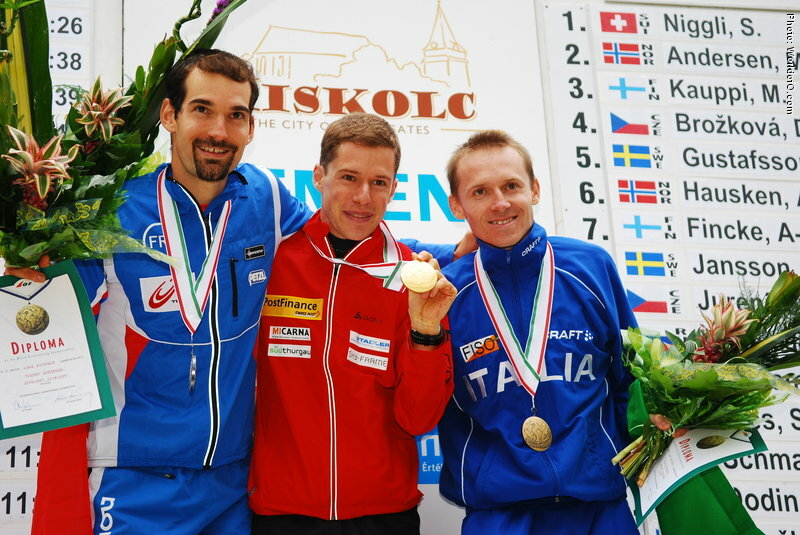 Awarded the Orienteering Achievement of 2009 for being the first male orienteer, who wins medals in all 4 disciplines in one World Championships, 2 of them gold. 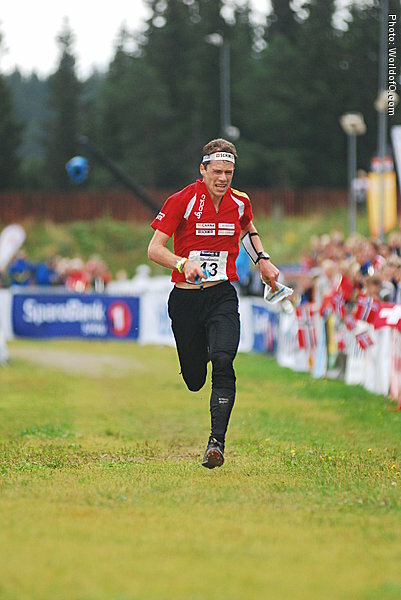 Has a lot of self confidence as he knows that nobody in the field can run away from him in the forest, he is strong in all terrain types, and he has a good last sprint. 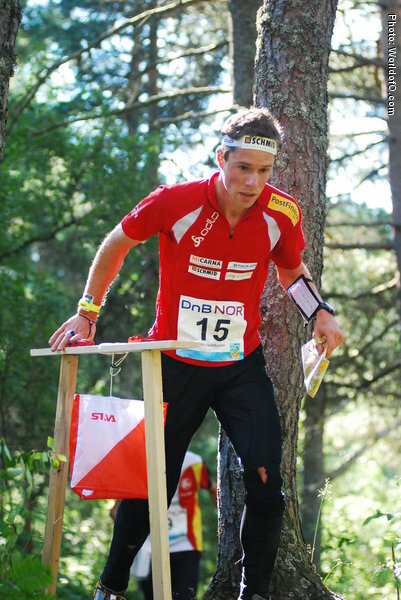 Originally a carpenter, but turned professional in 2007. 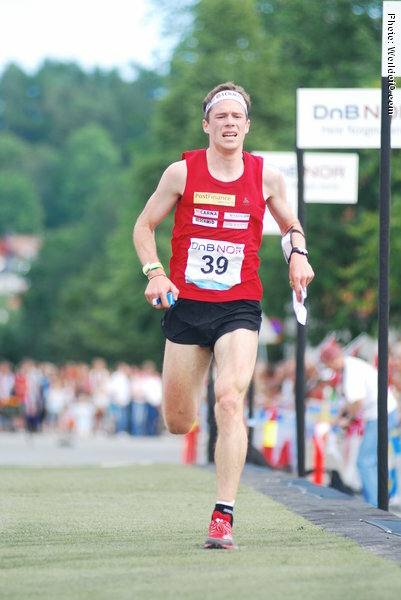 Deciding both Tiomila and Jukola 2009 in favour of his team KOK on the last leg - and since making many excellent races in the big relays. 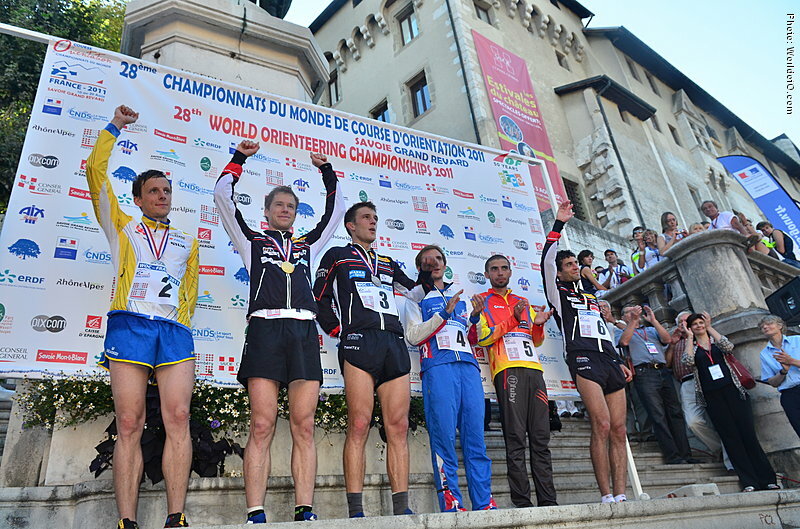 Junior World Champion who took the step to the senior class easily. 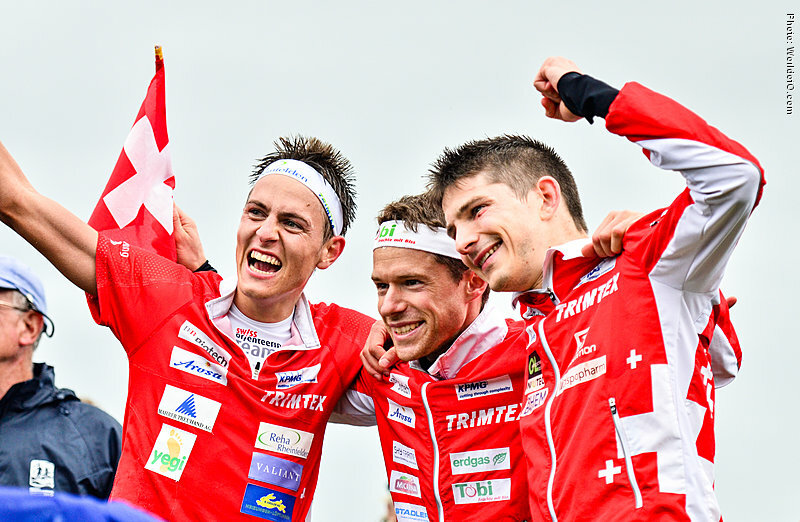 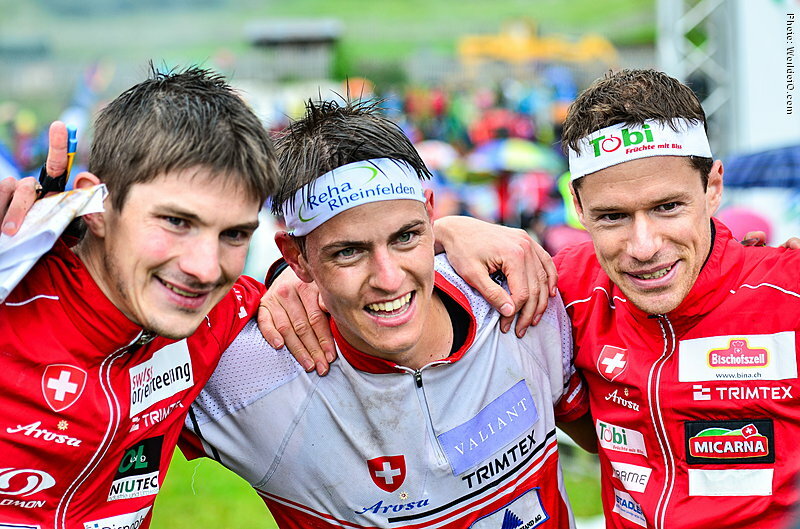 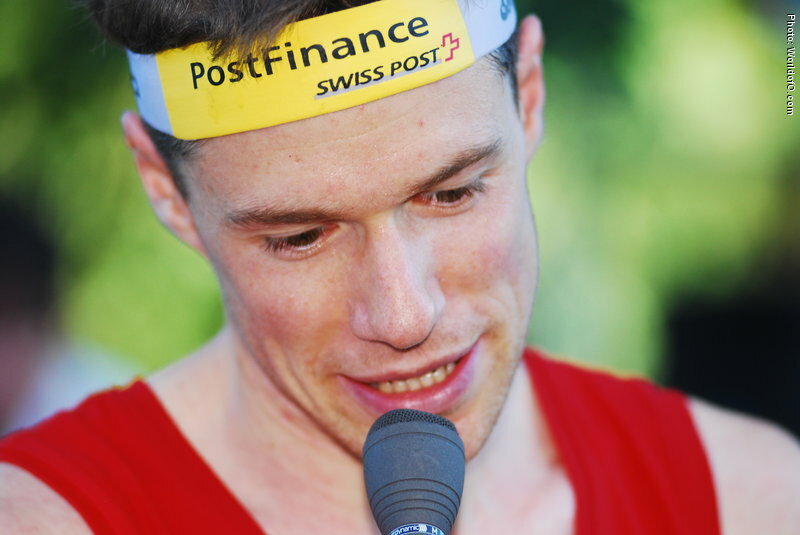 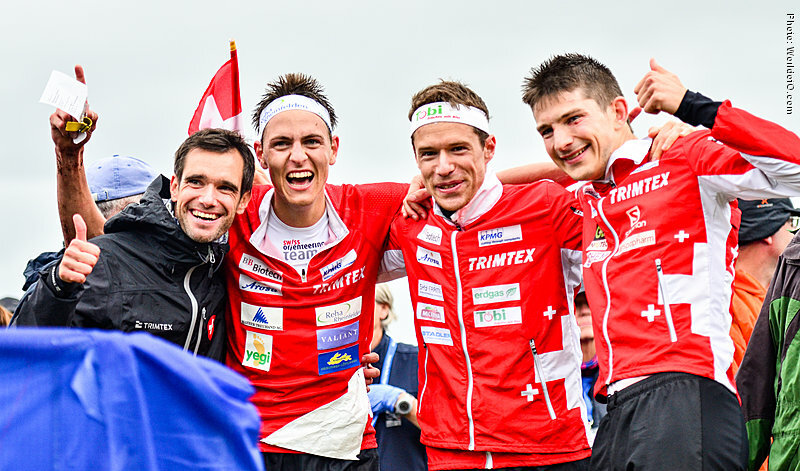 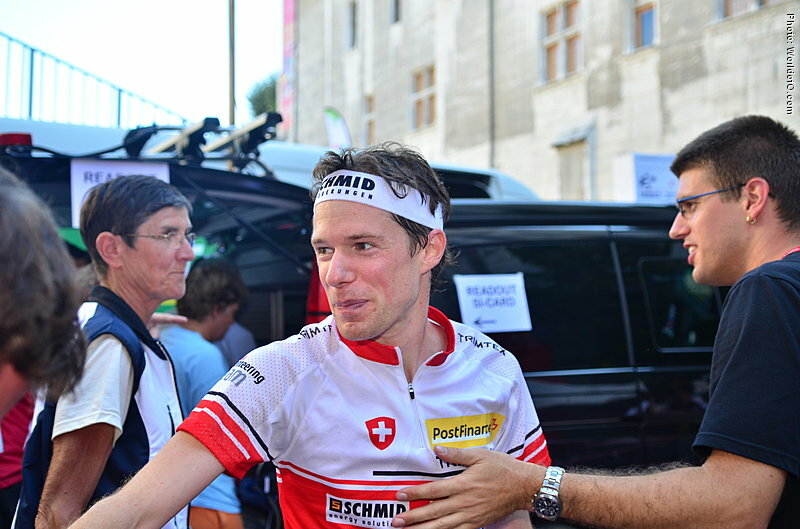 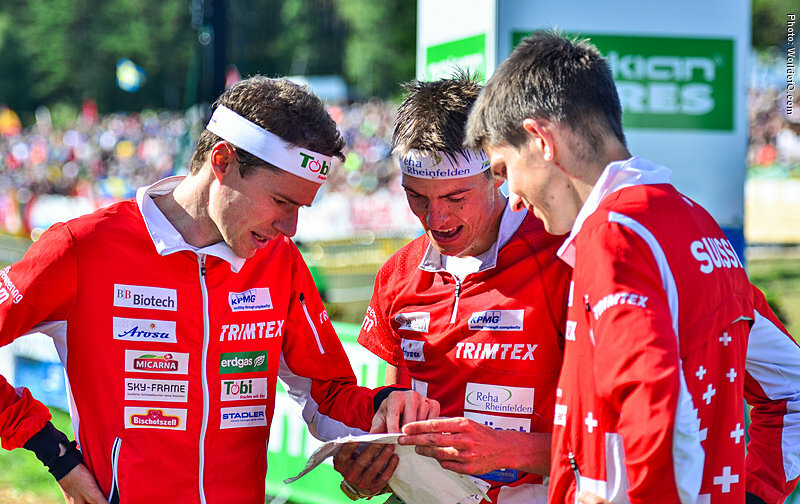 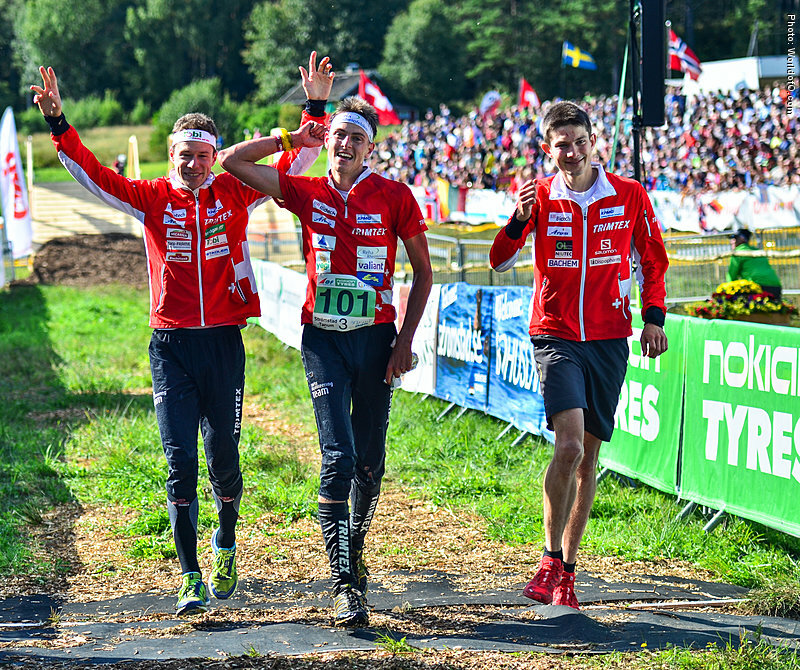 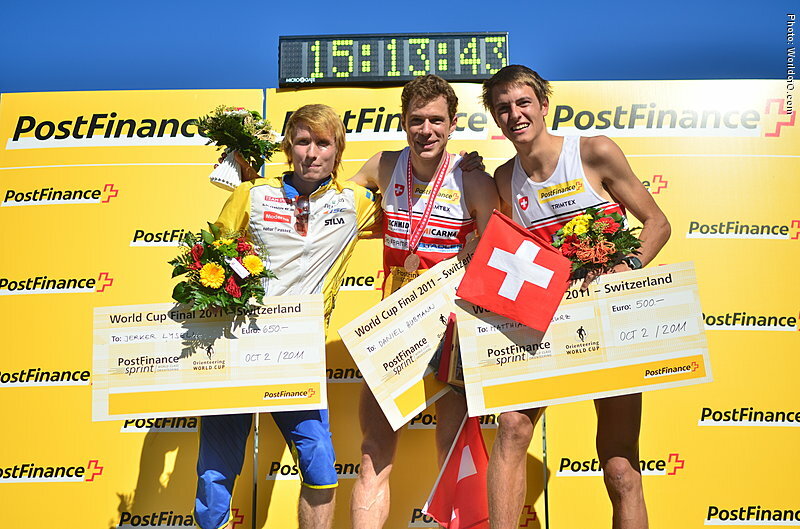 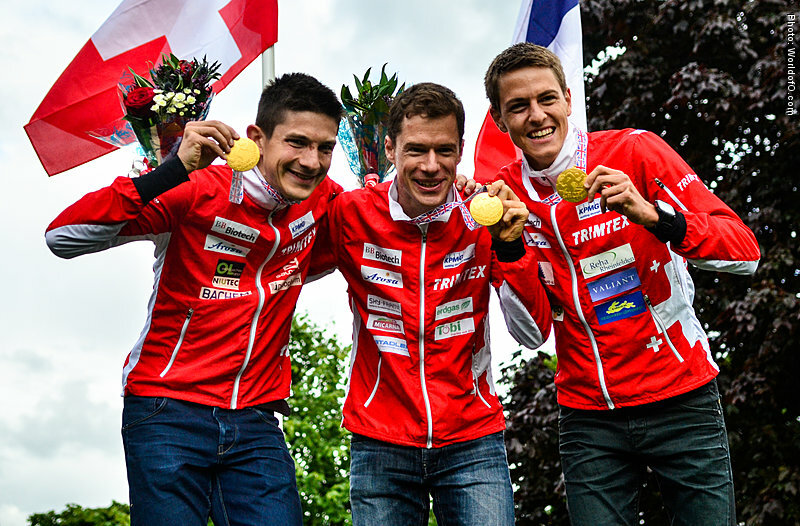 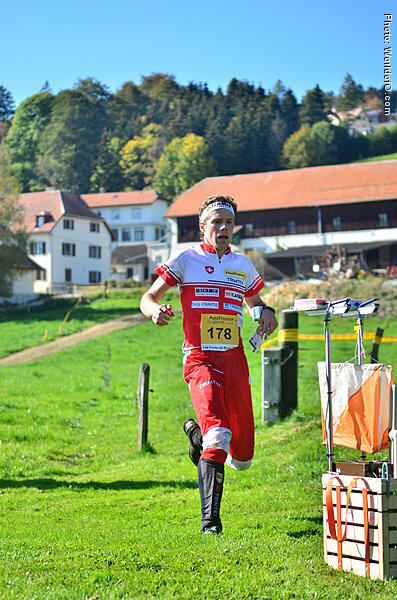 Important relay runner in the Swiss team. 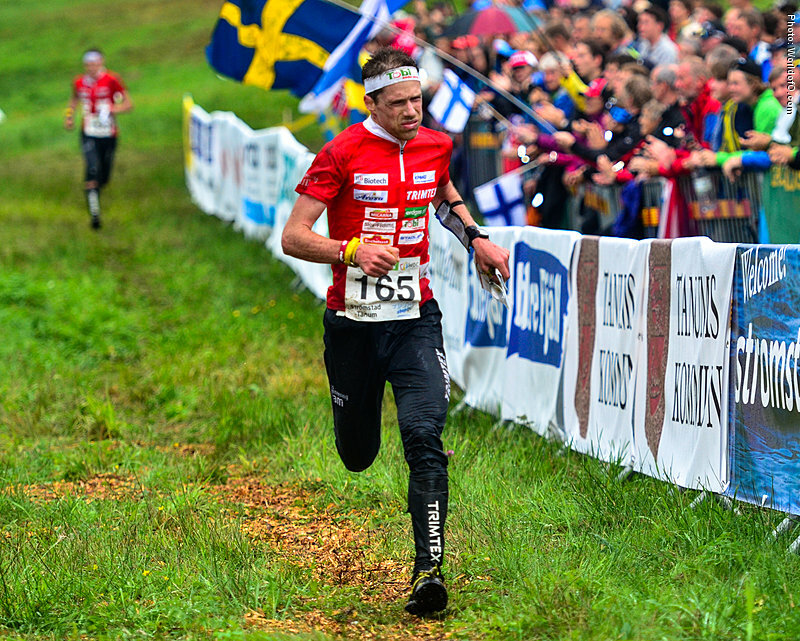 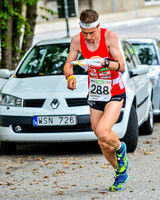 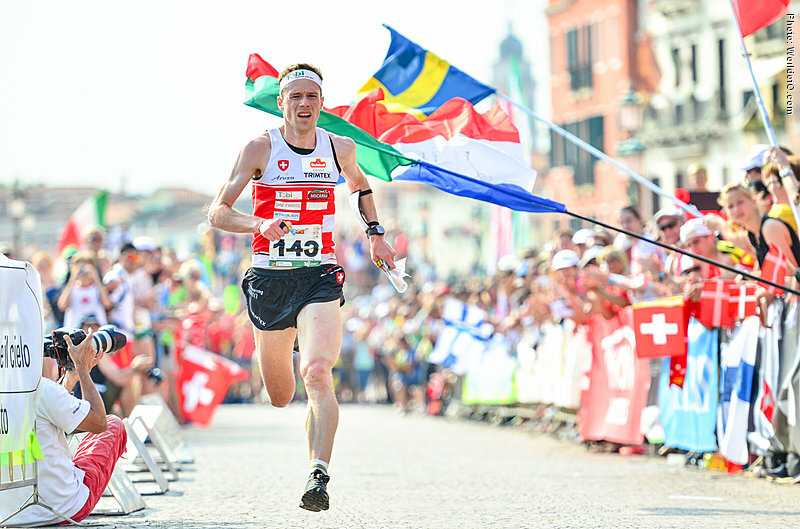 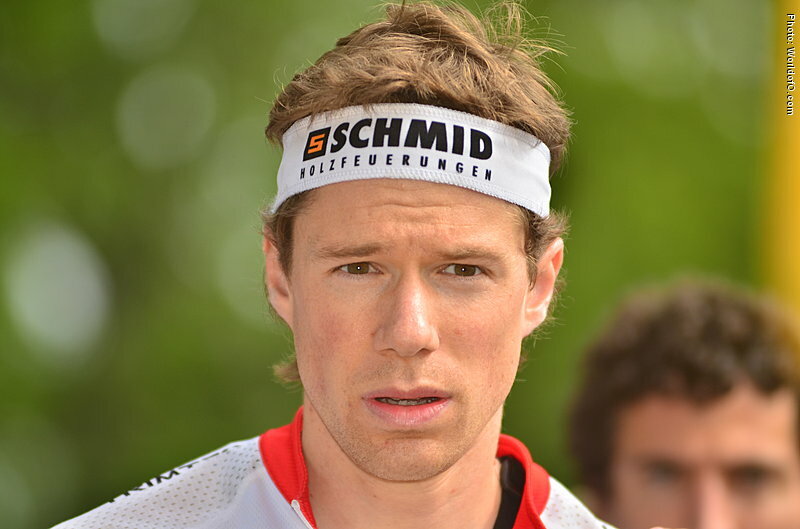 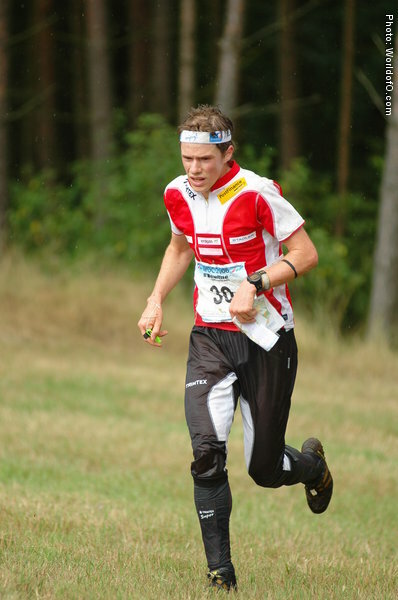 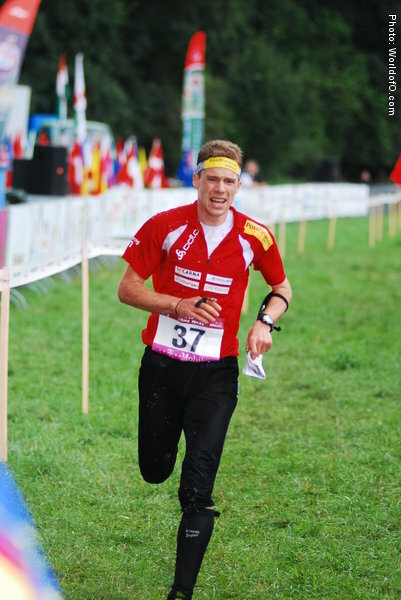 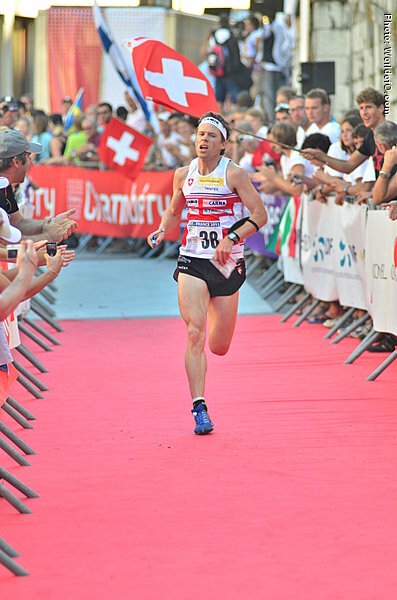 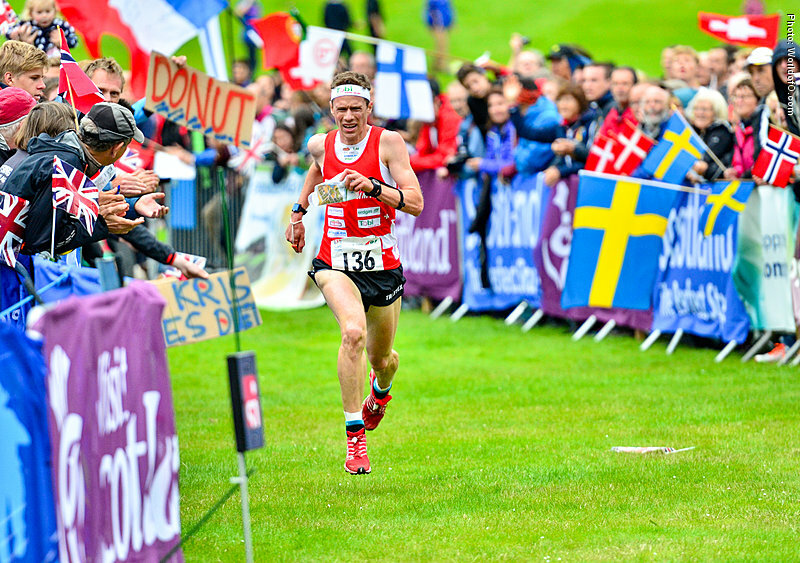 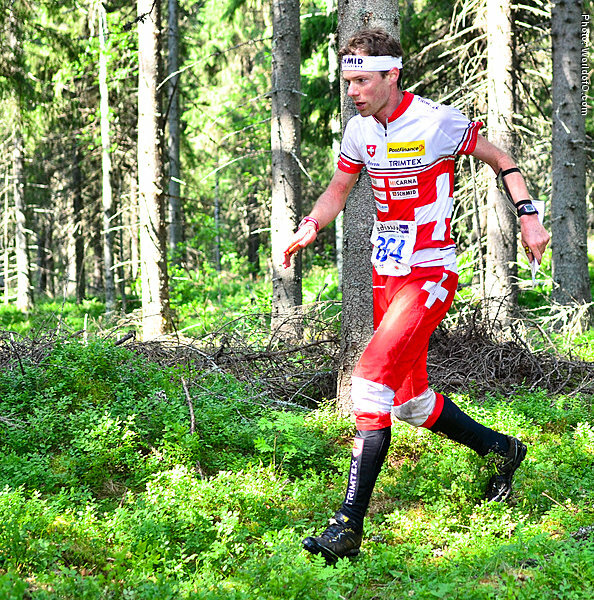 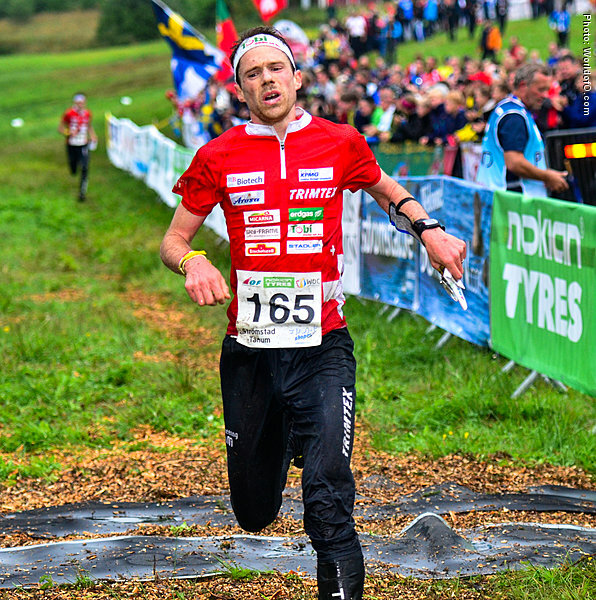 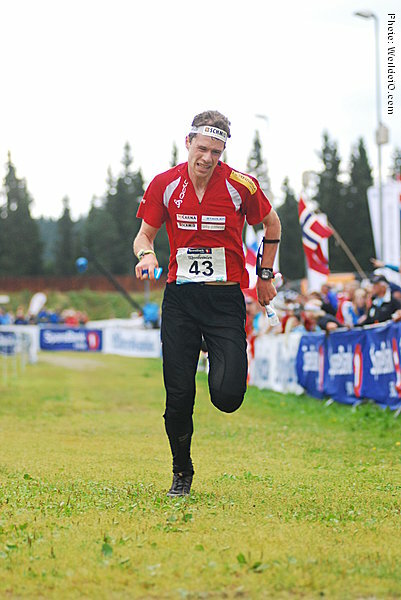 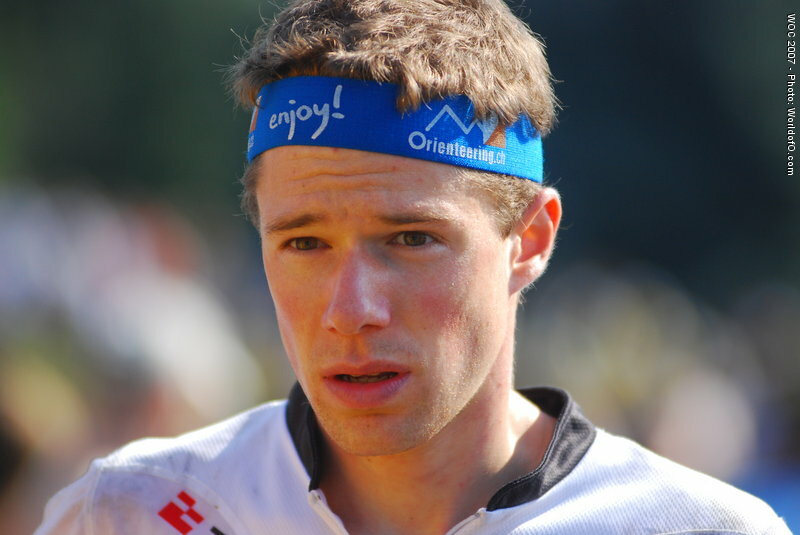 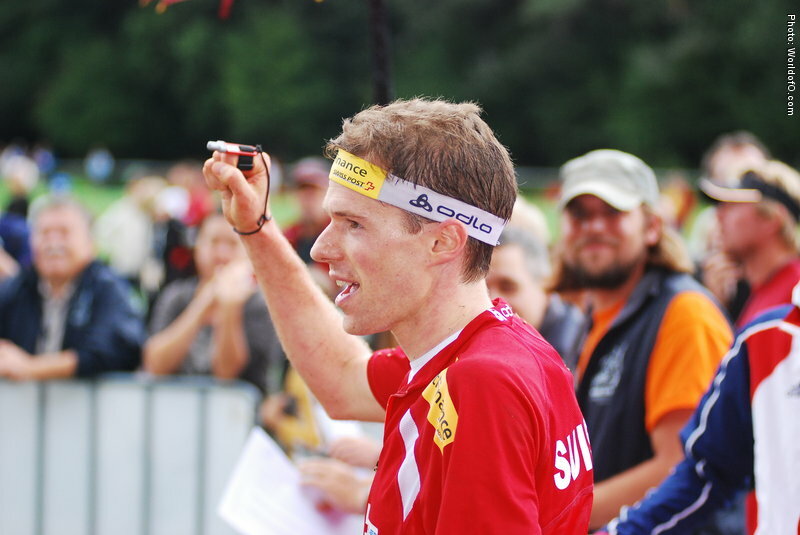 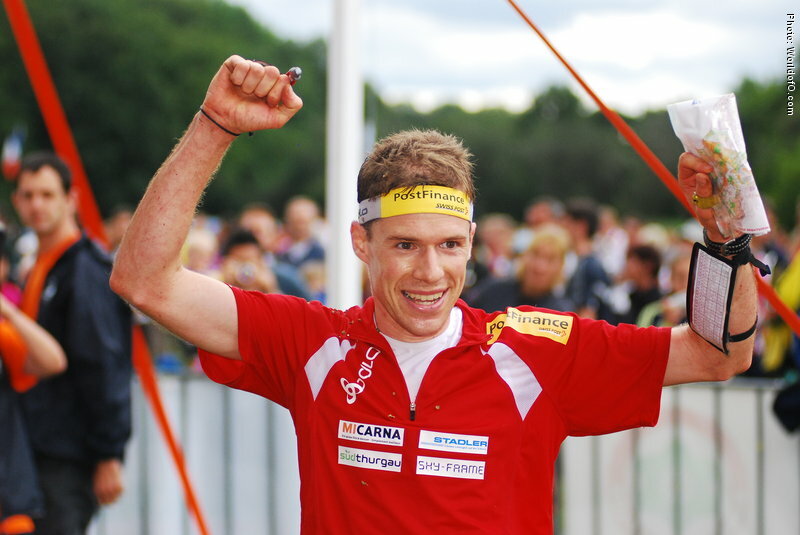 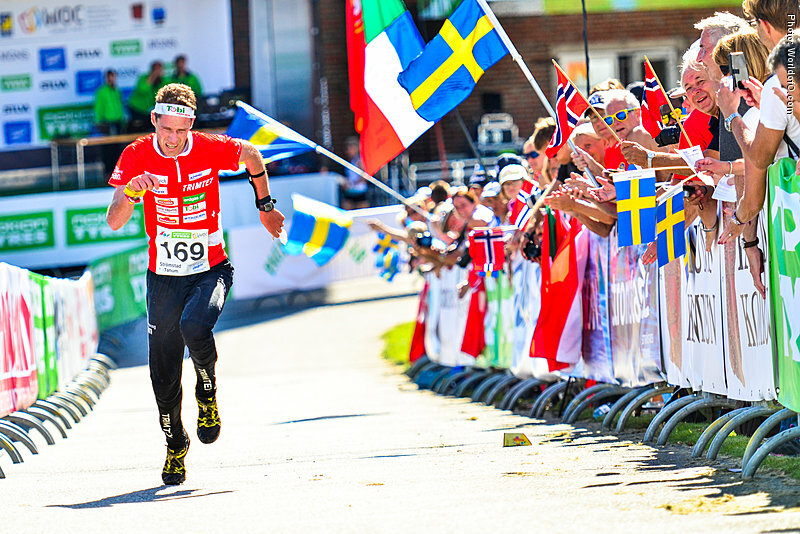 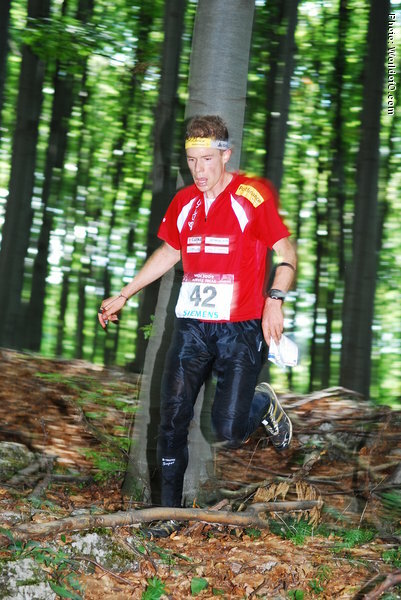 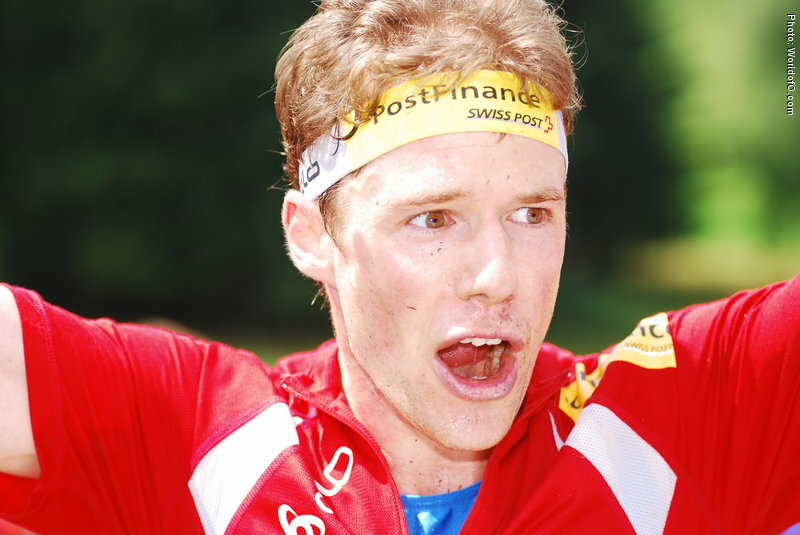 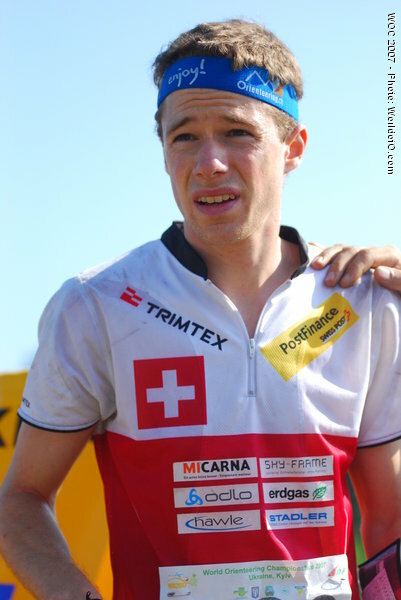 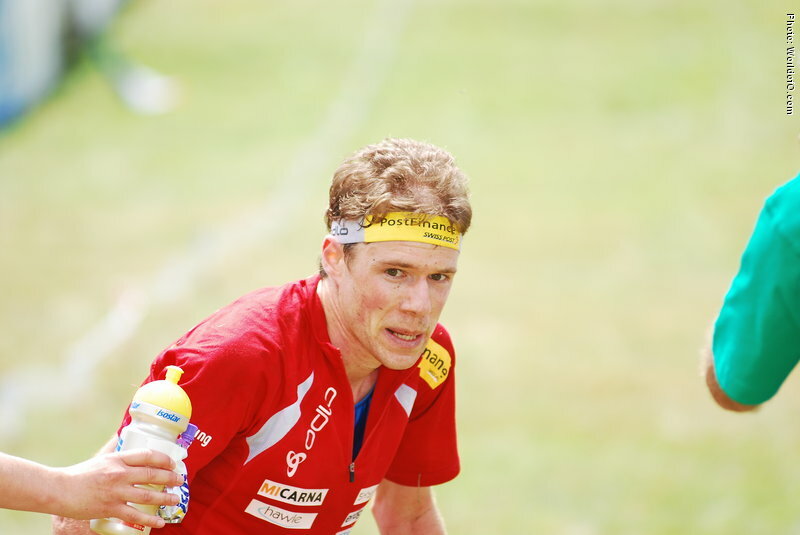 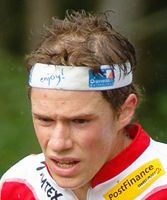 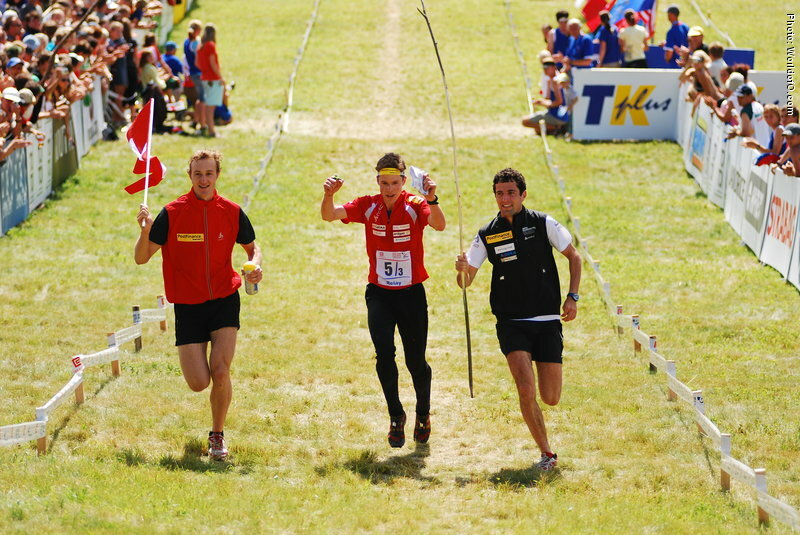 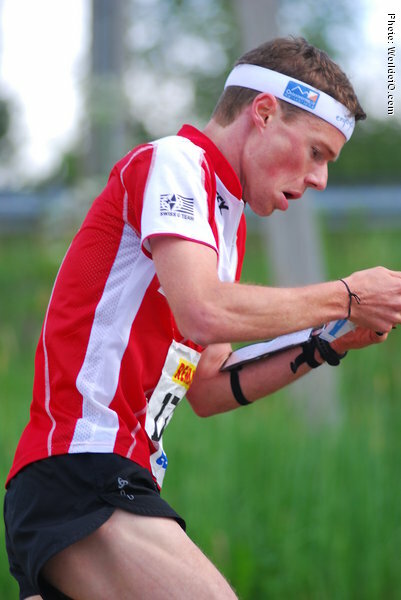 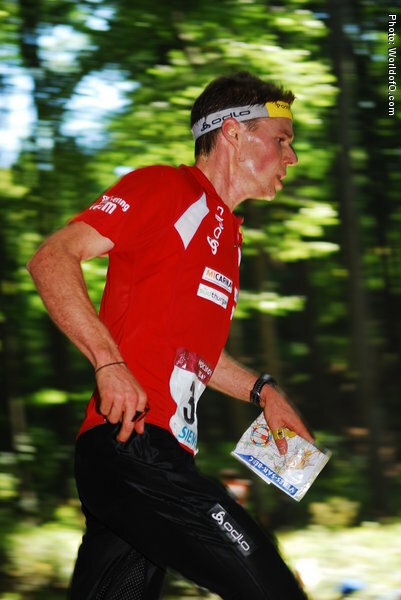 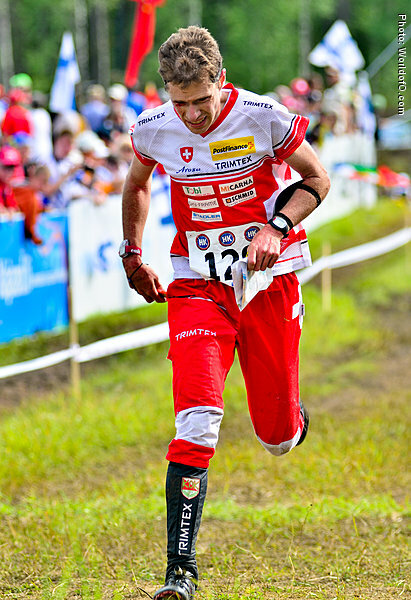 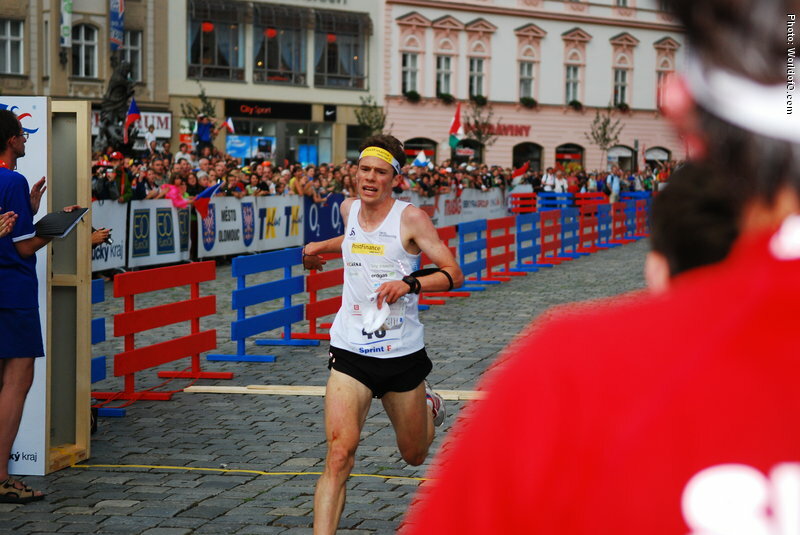 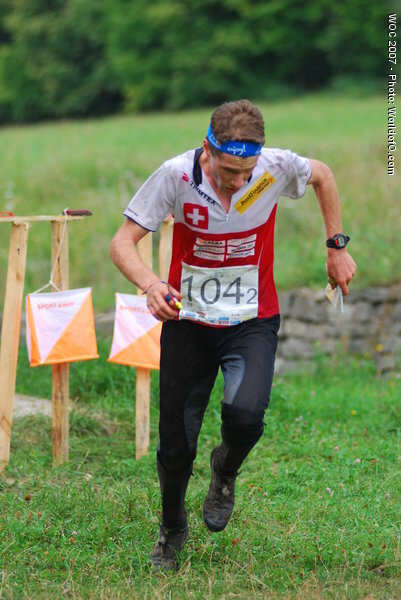 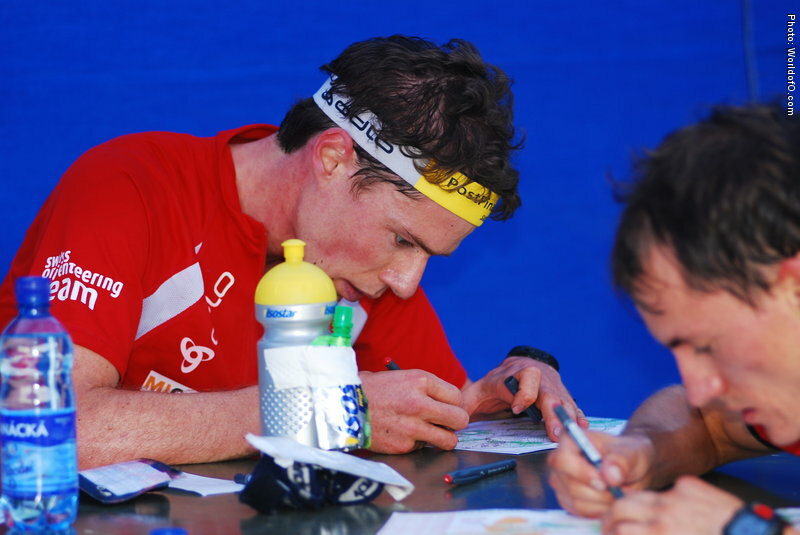 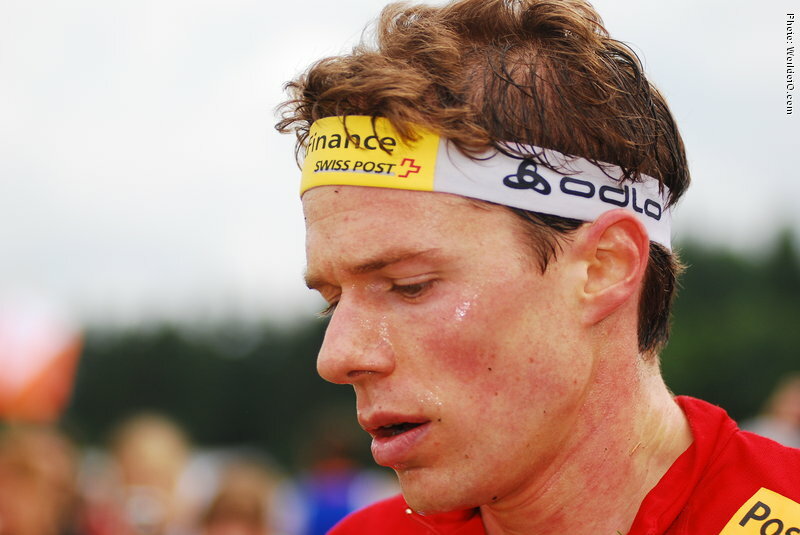 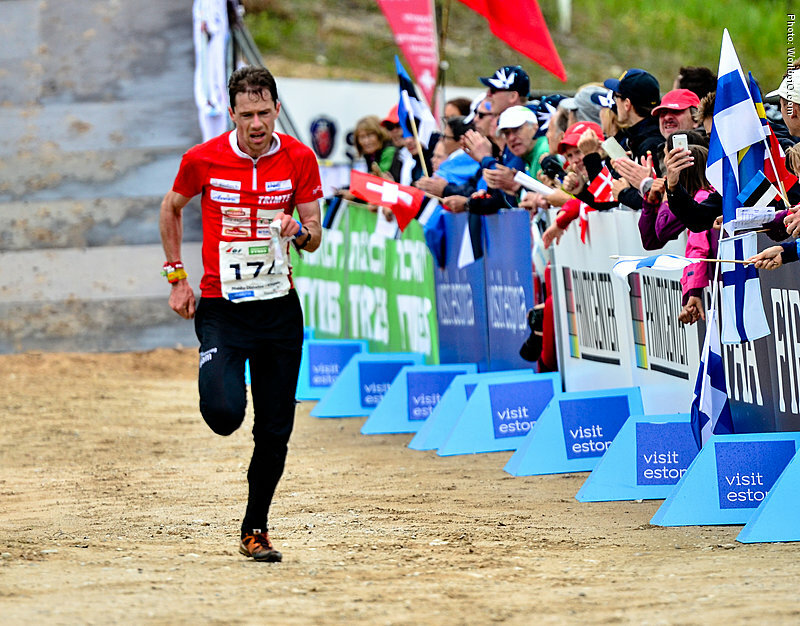 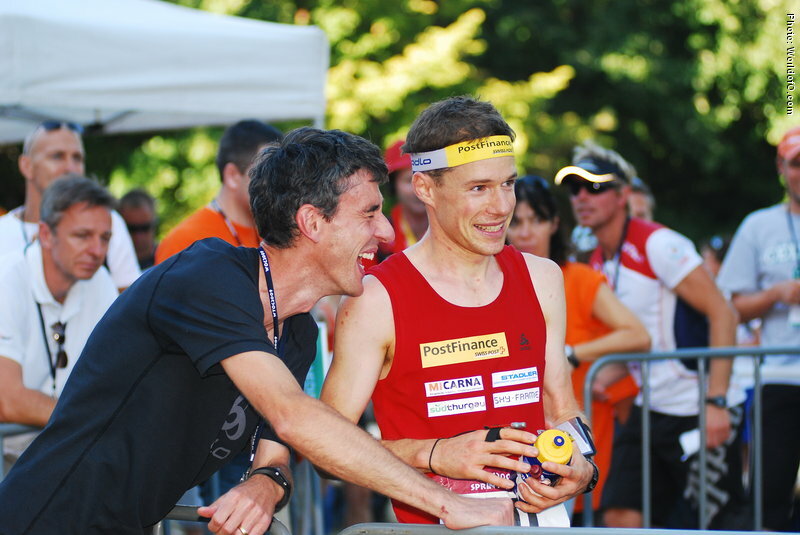 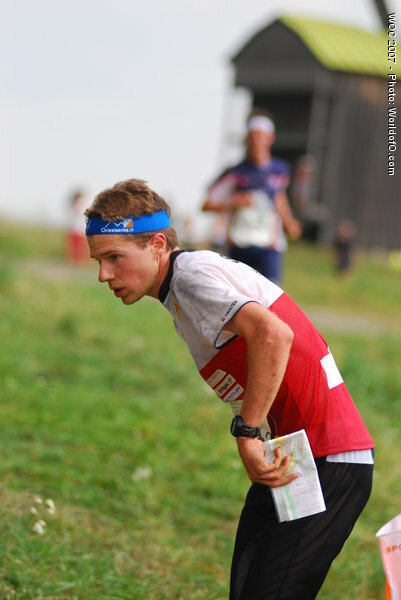 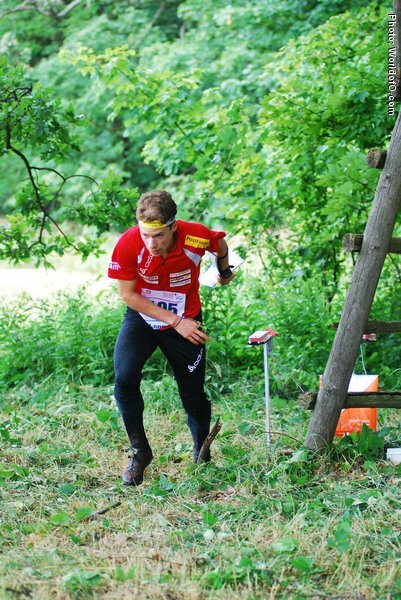 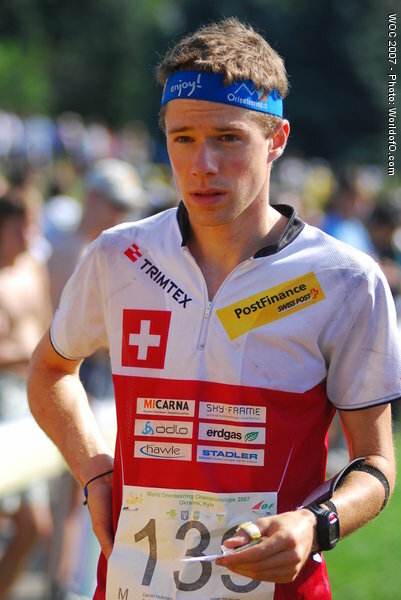 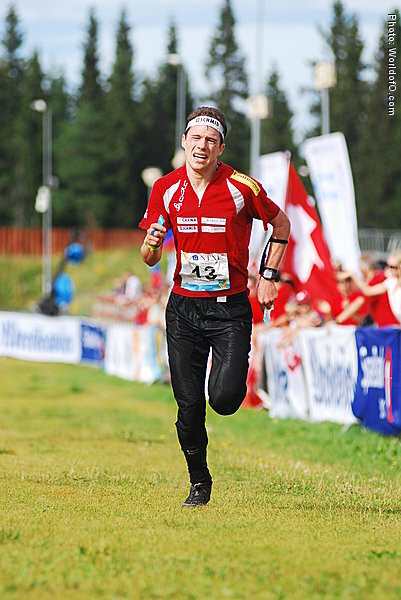 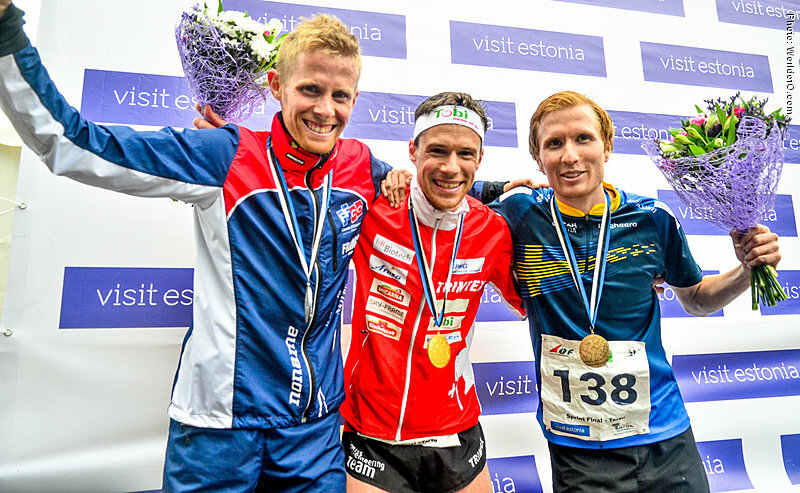 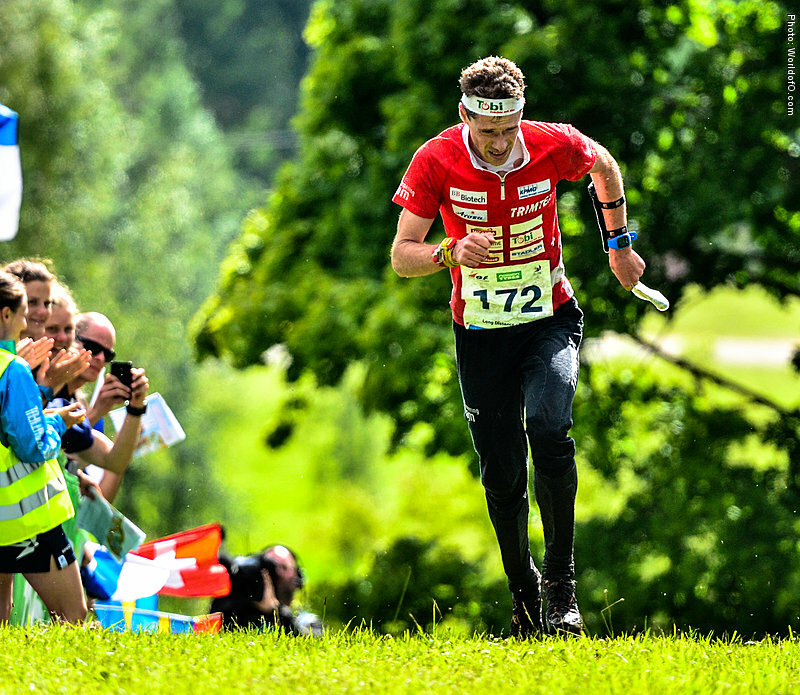 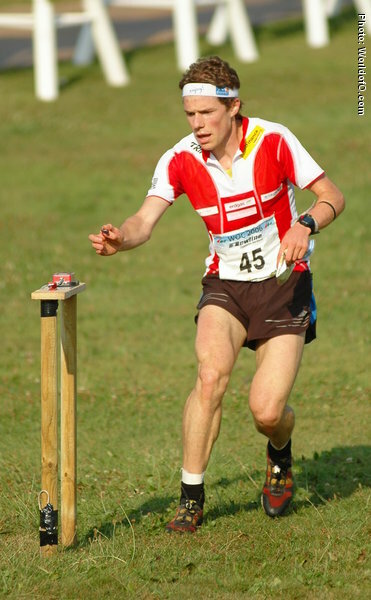 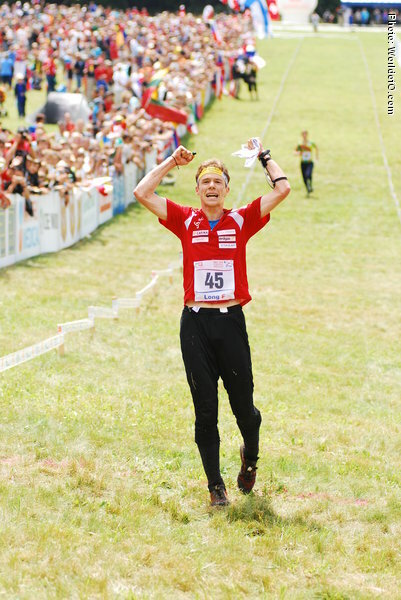 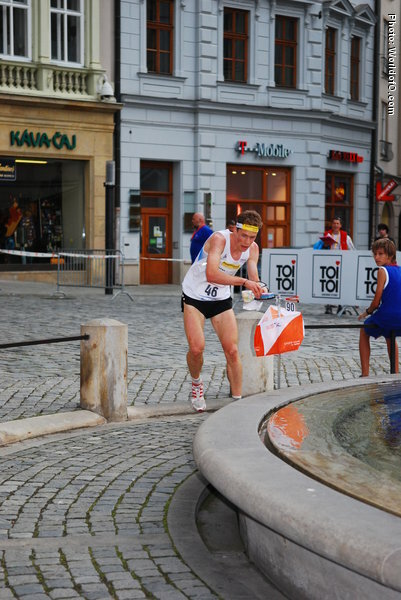 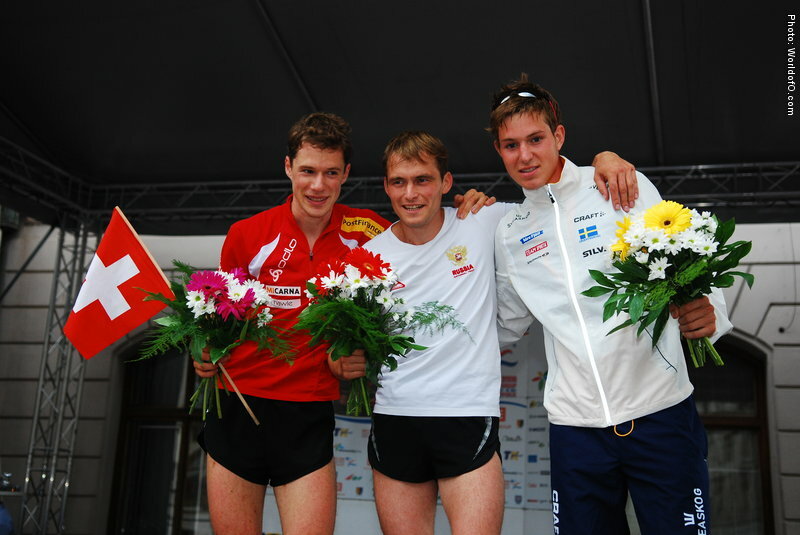 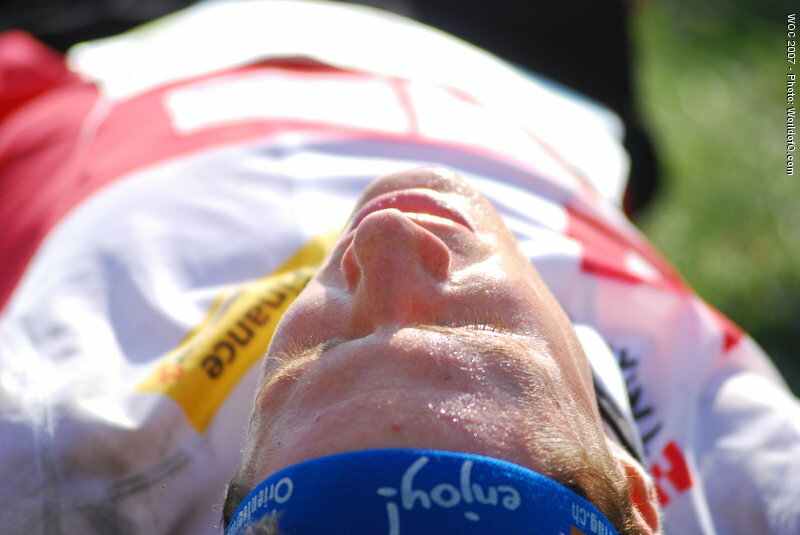 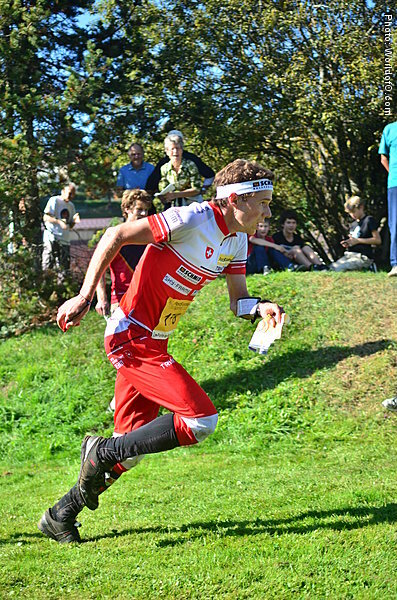 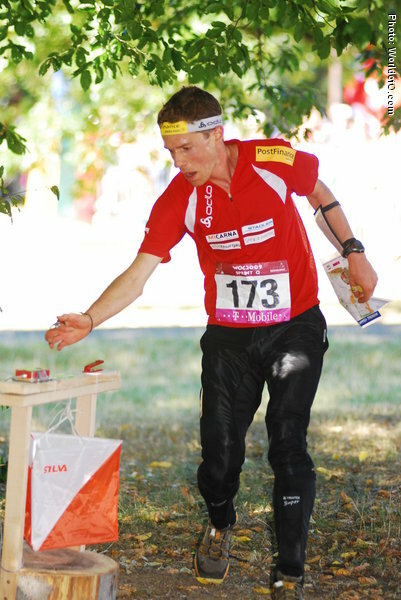 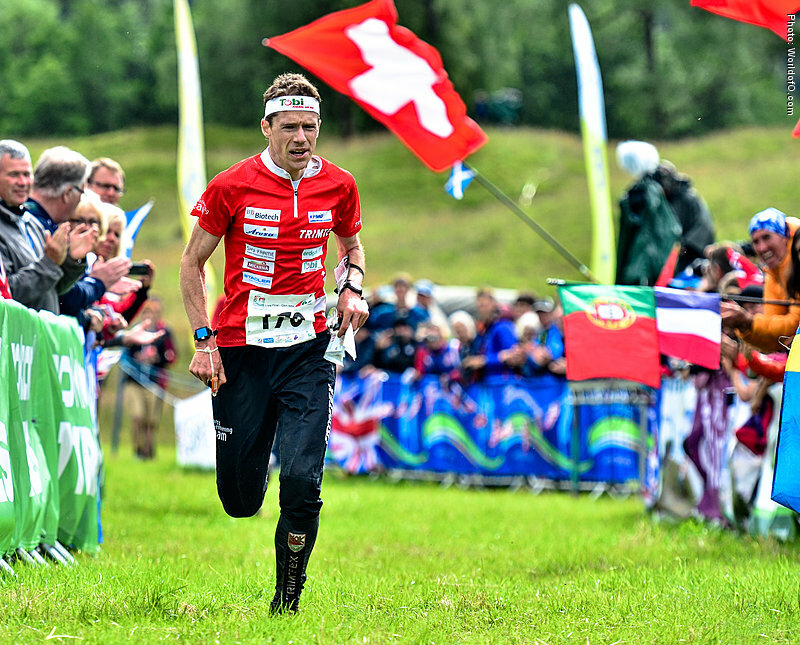 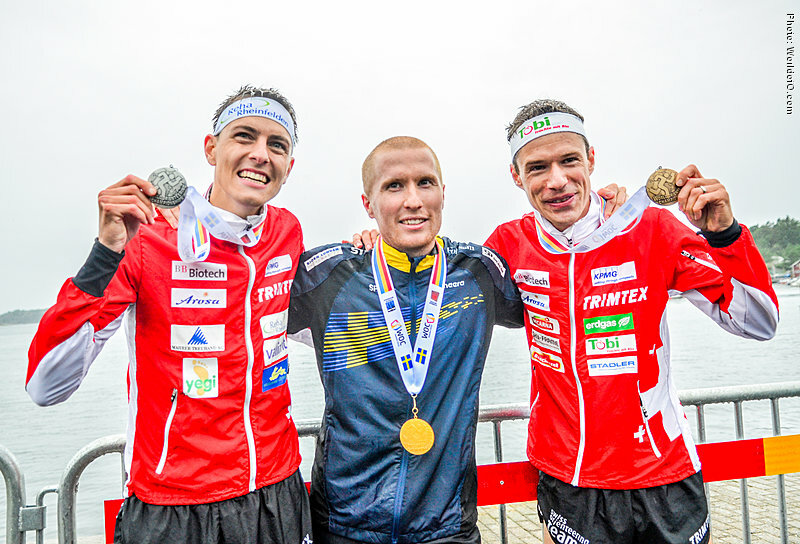 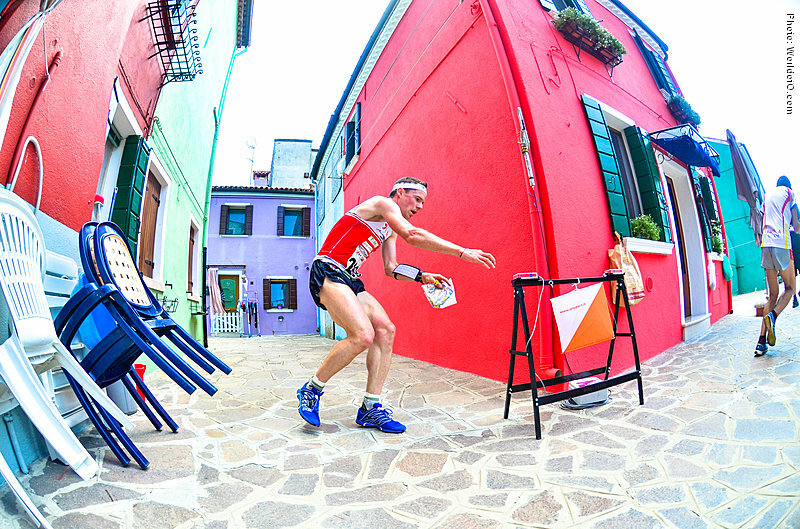 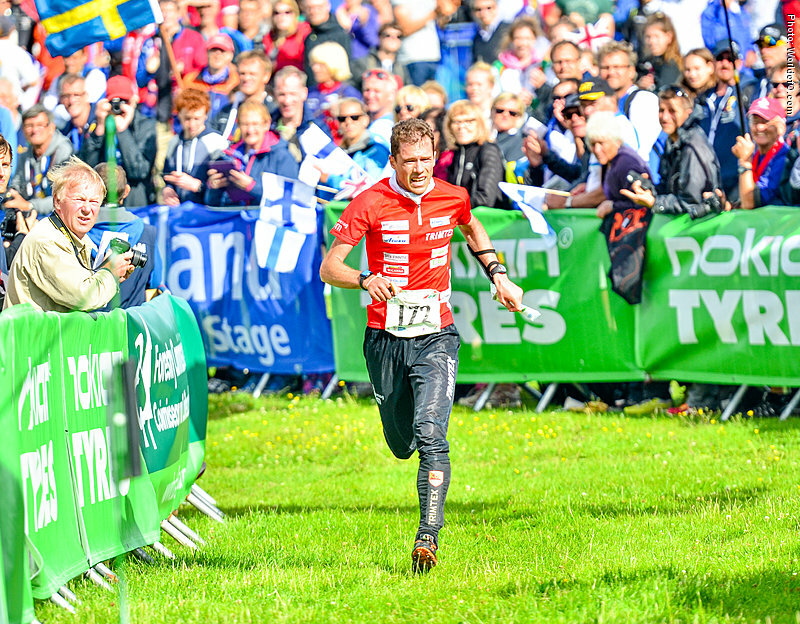 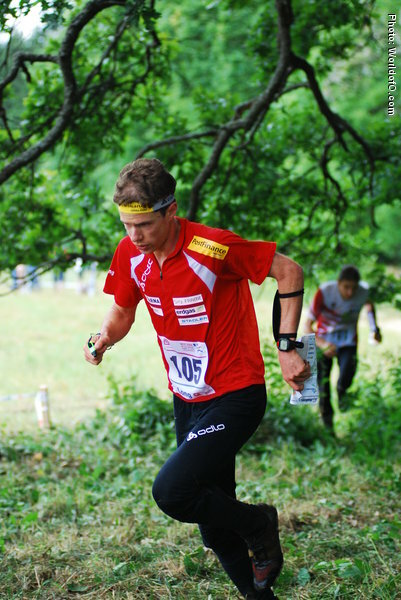 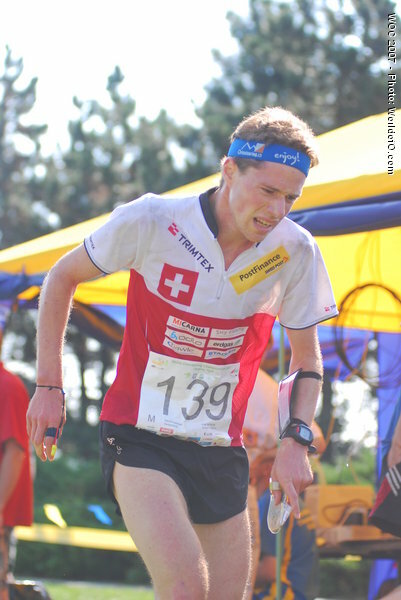 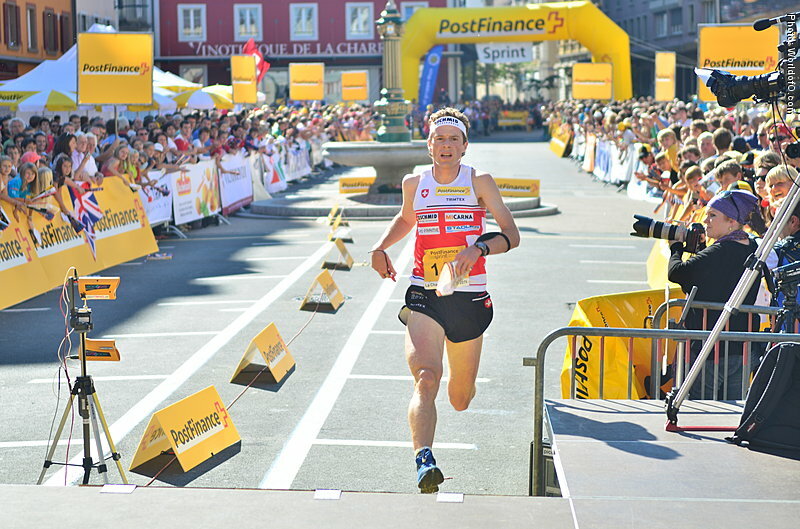 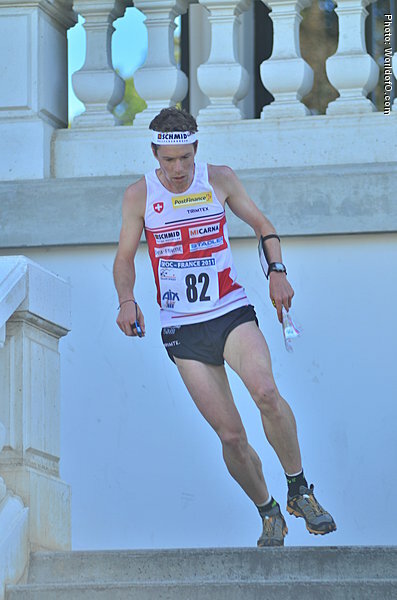 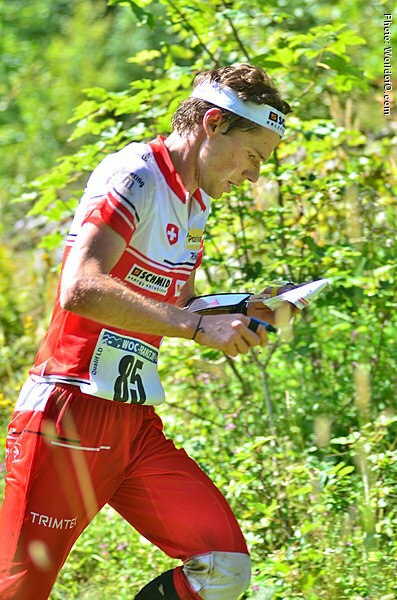 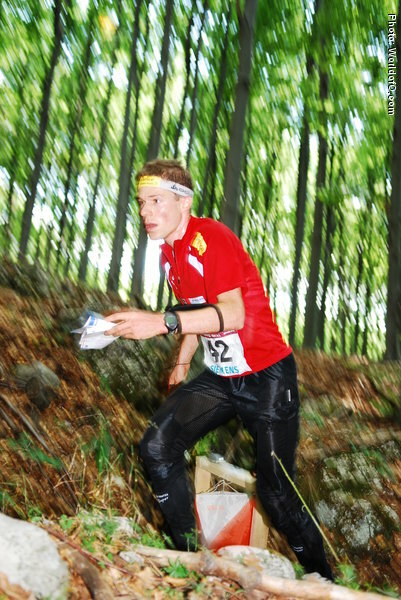 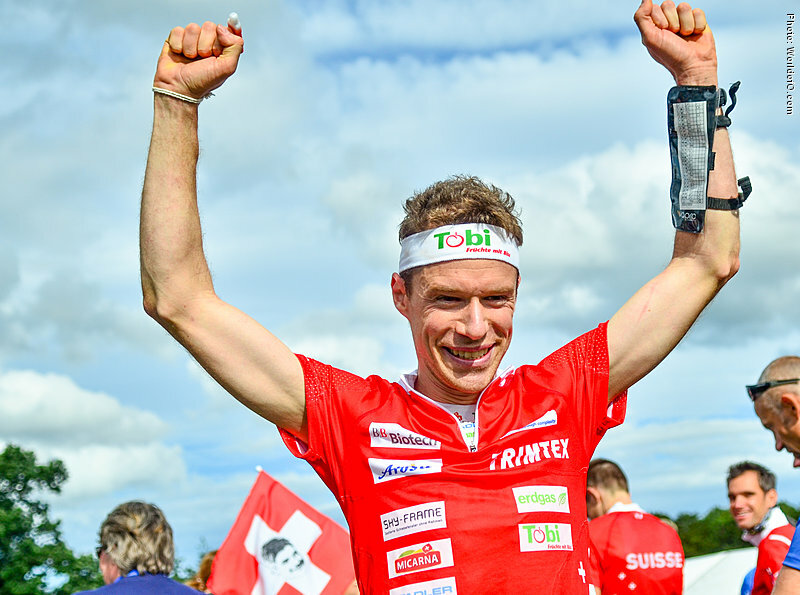 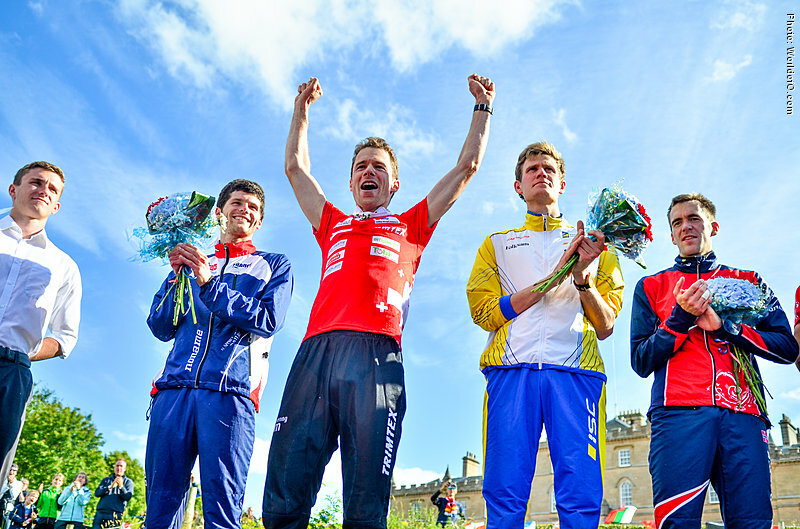 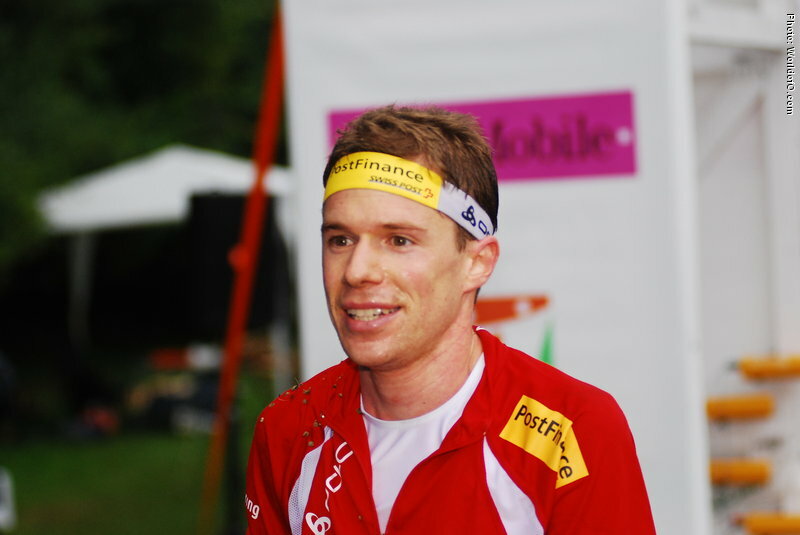 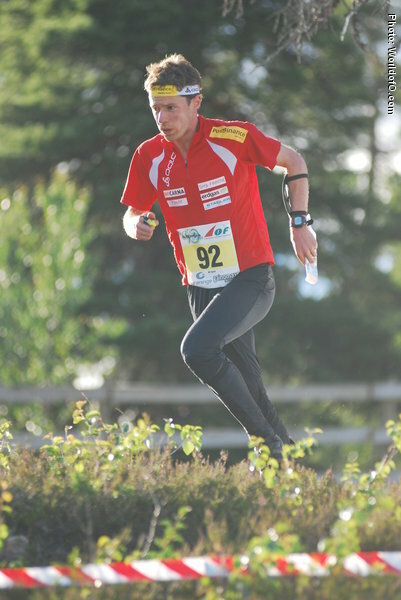 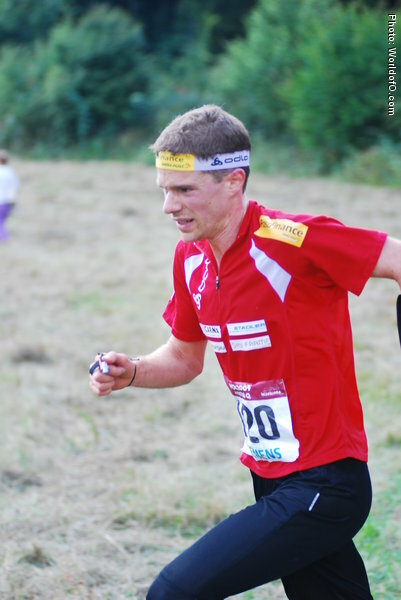 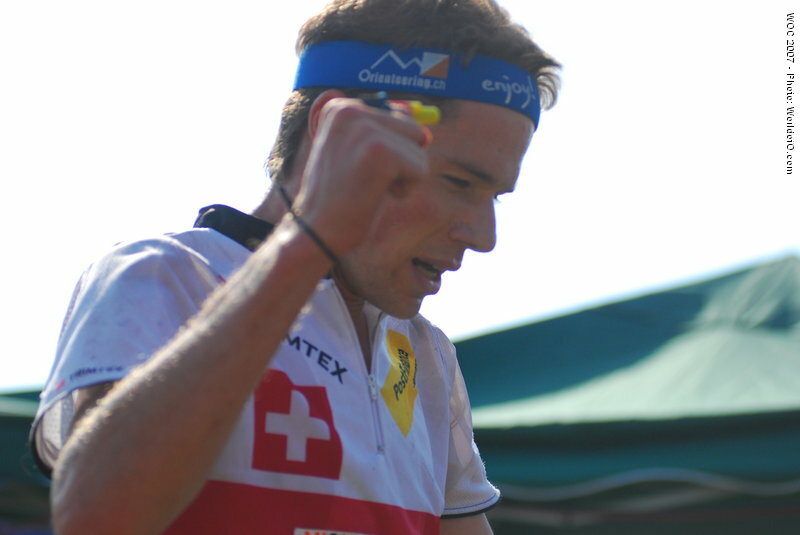 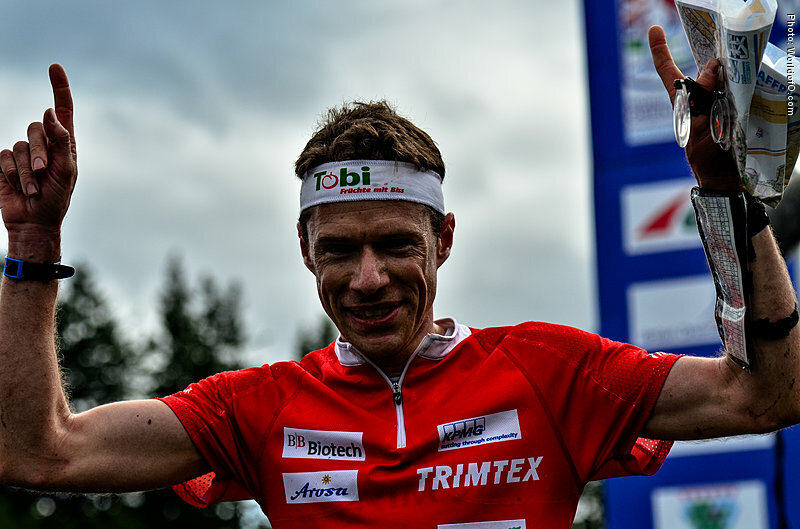 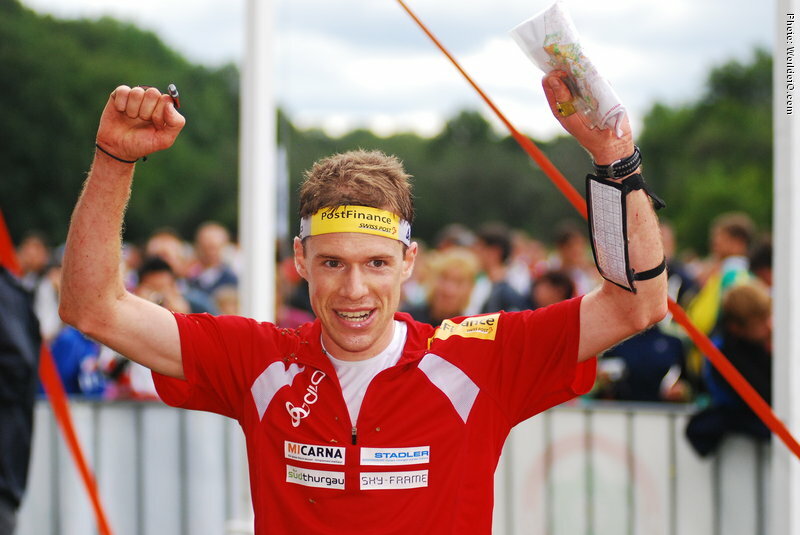 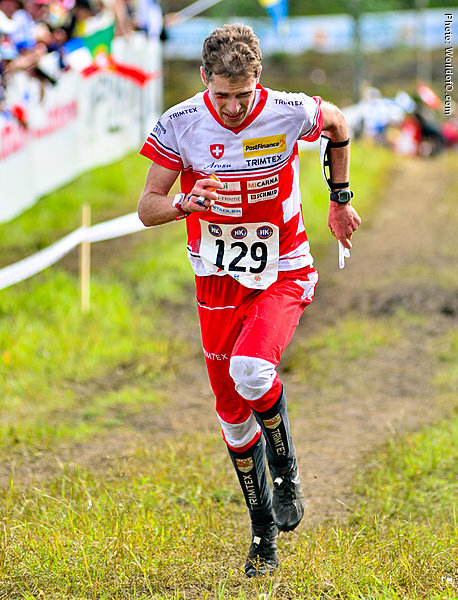 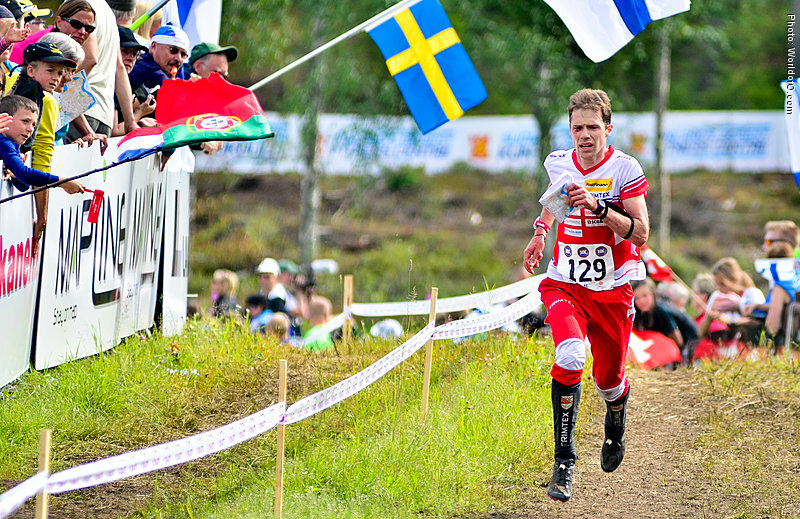 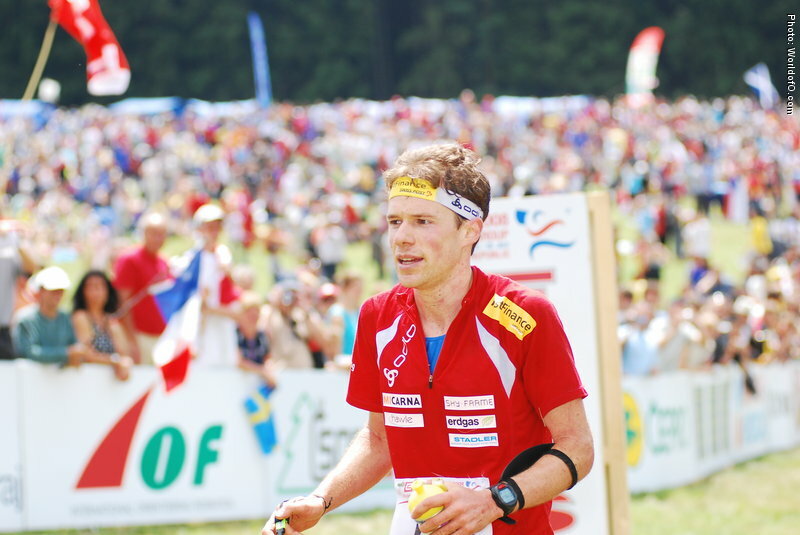 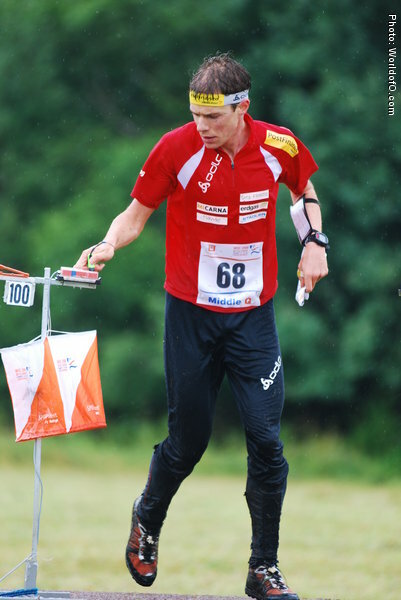 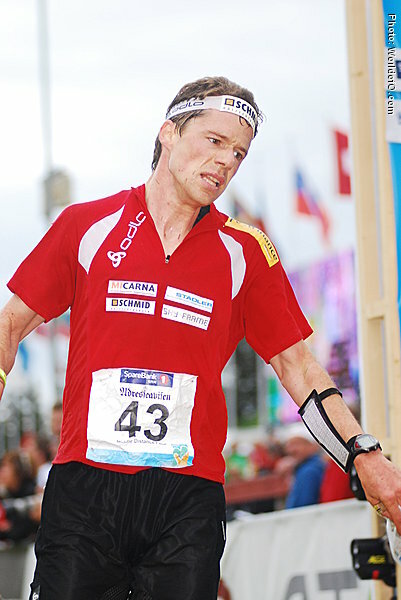 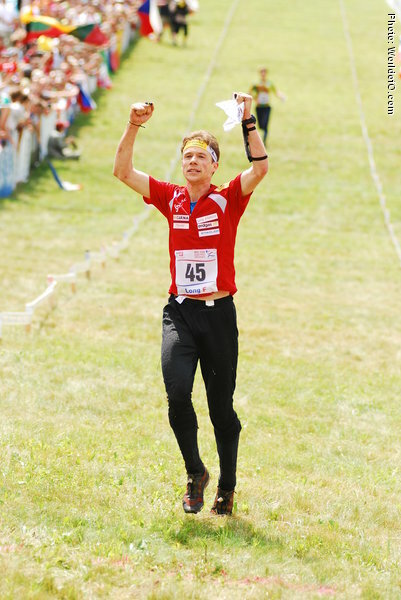 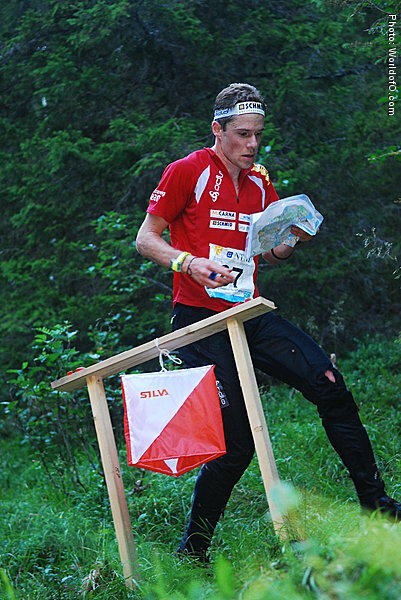 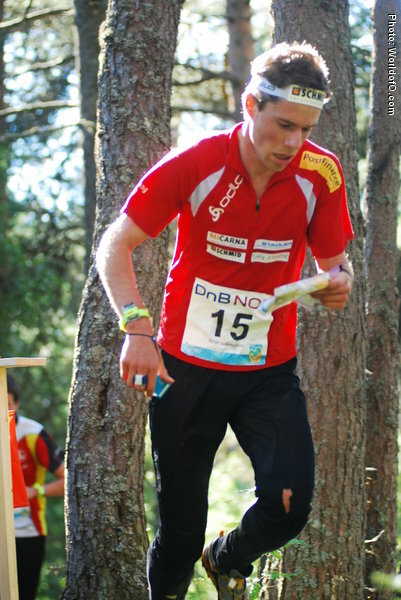 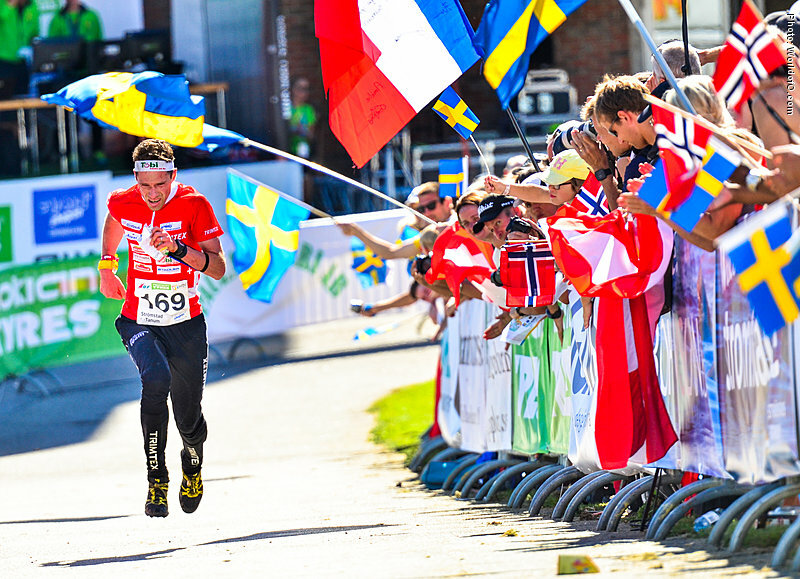 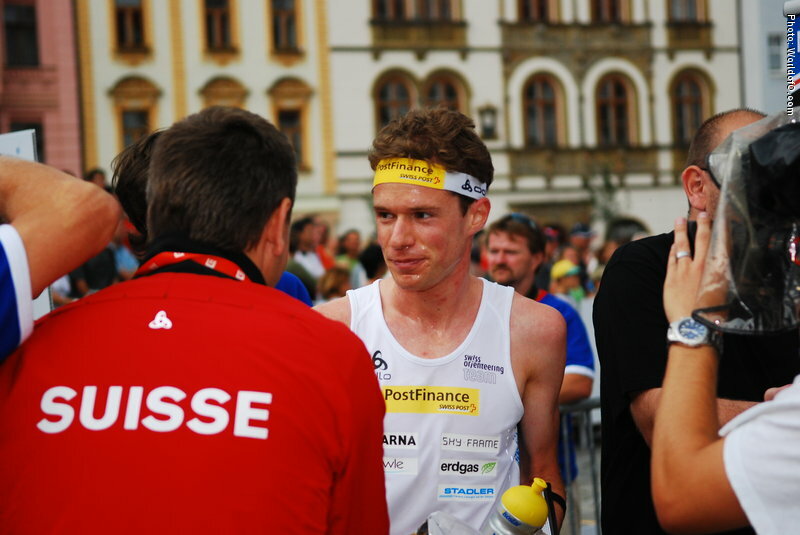 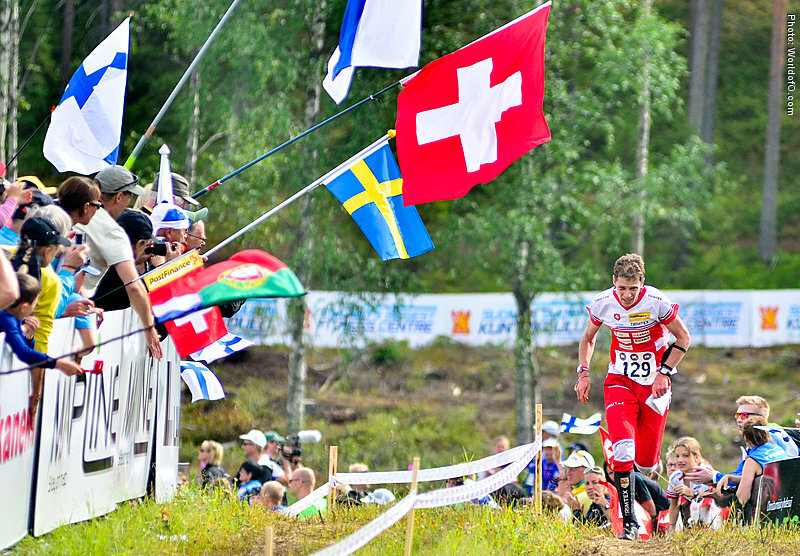 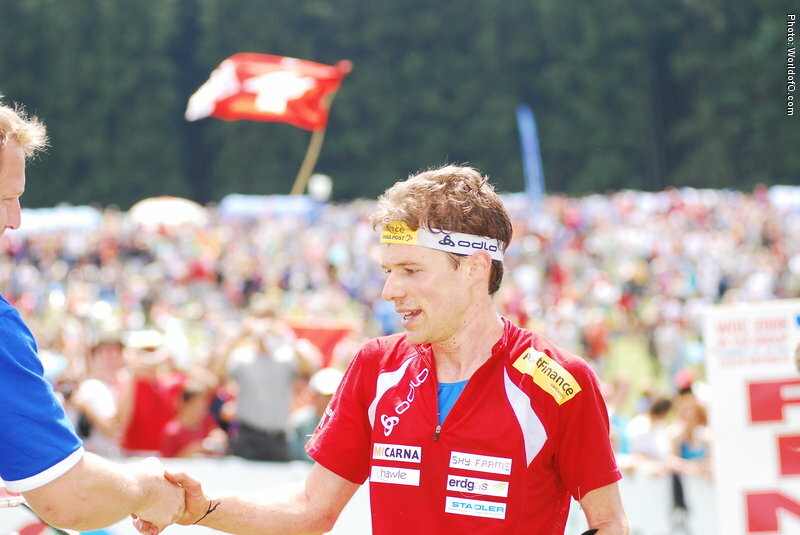 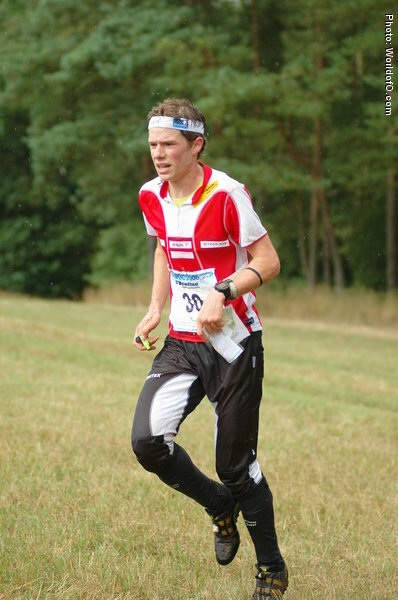 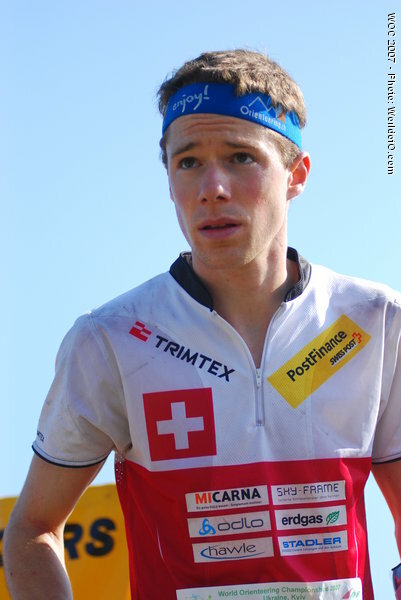 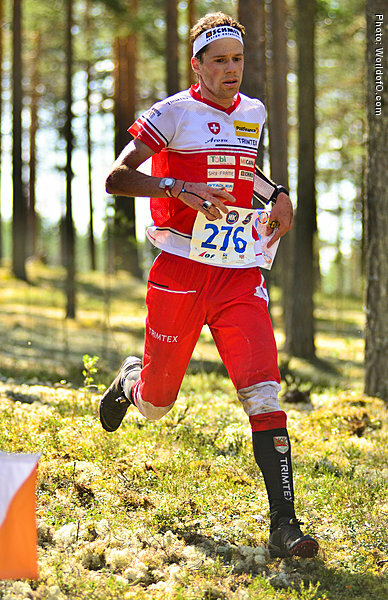 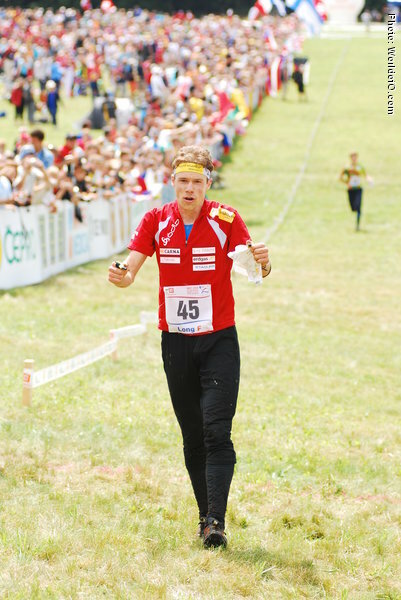 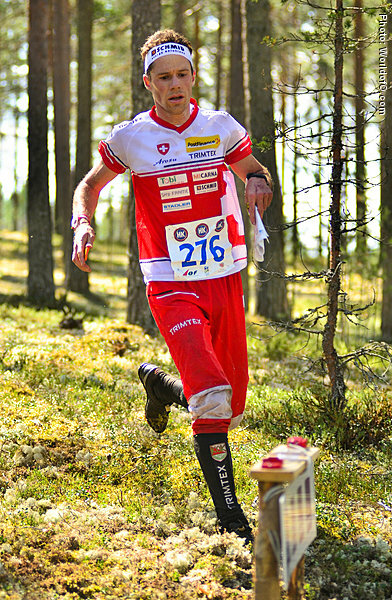 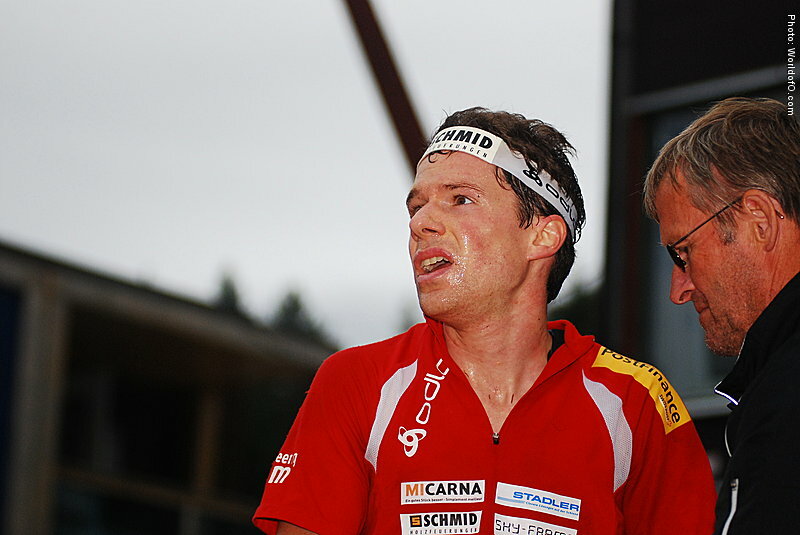 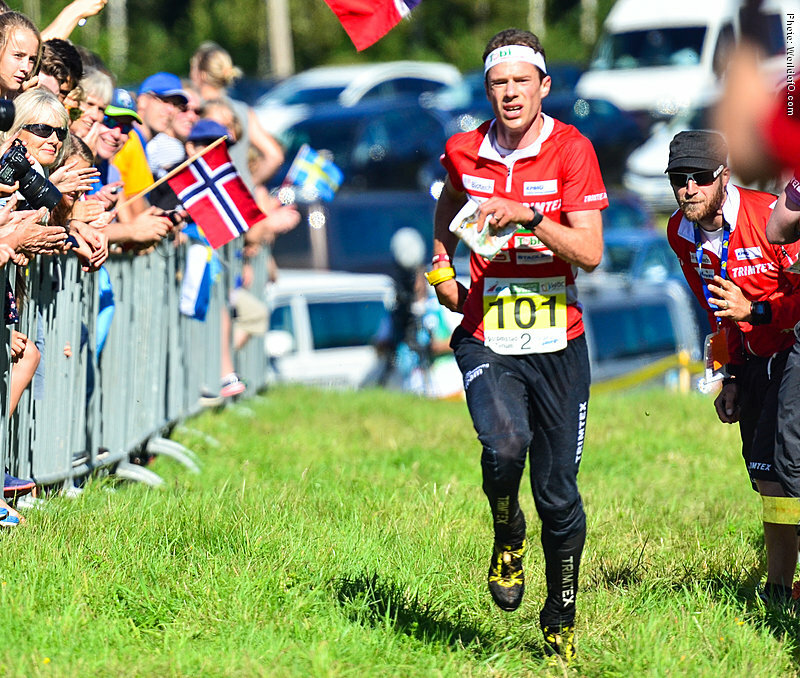 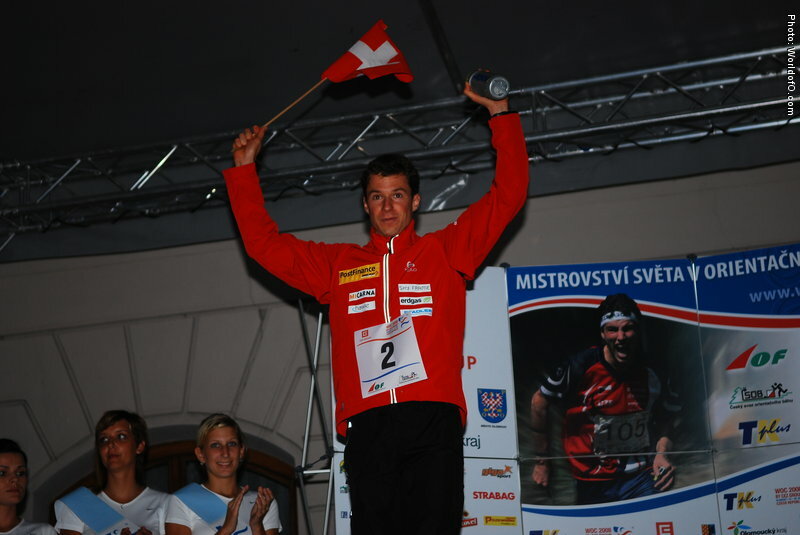 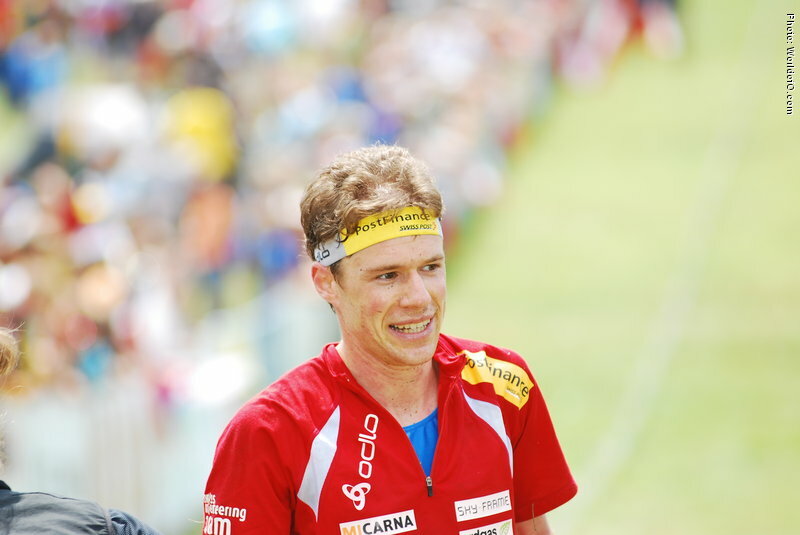 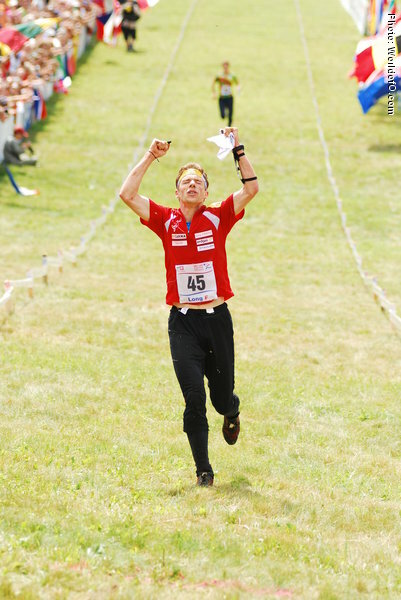 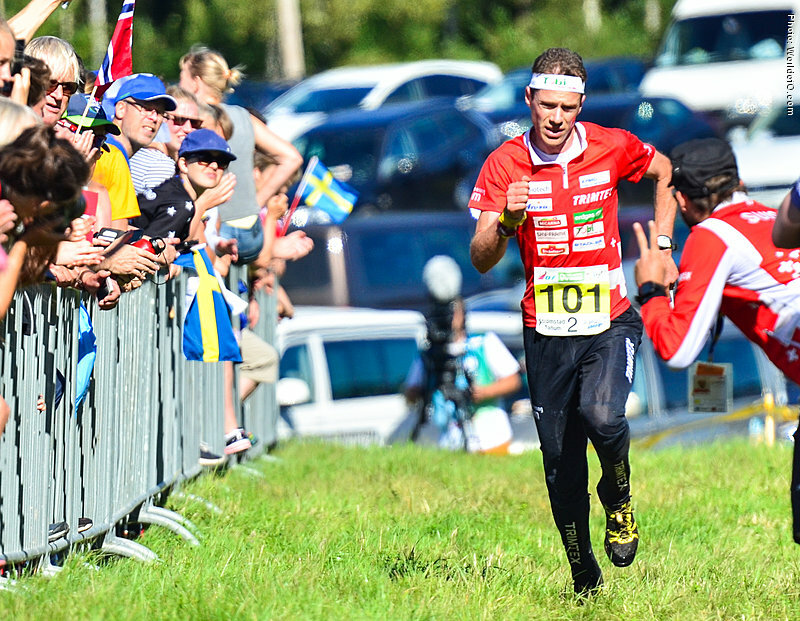 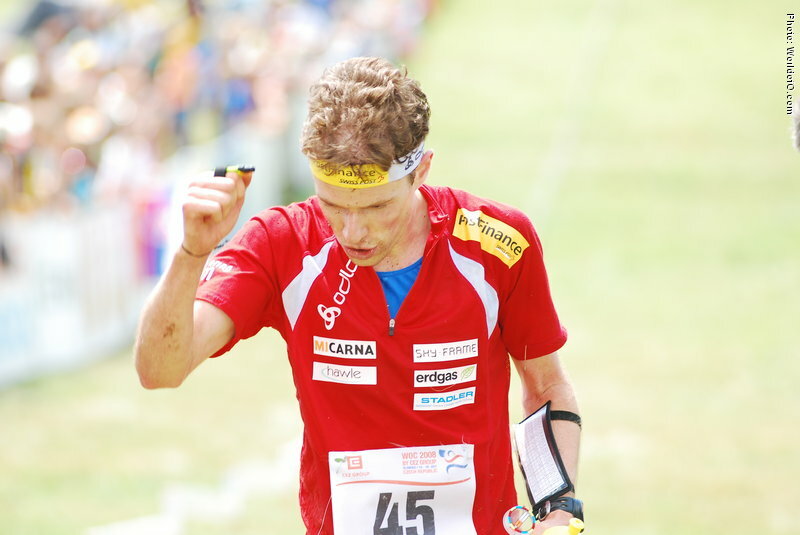 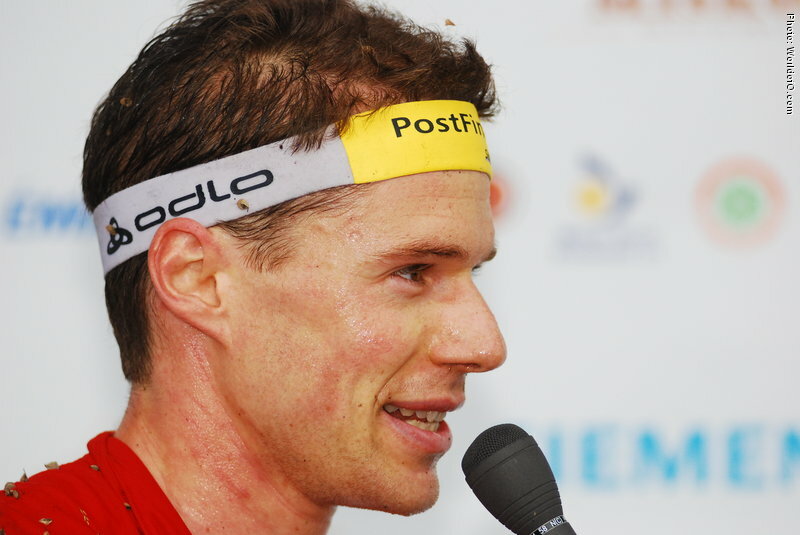 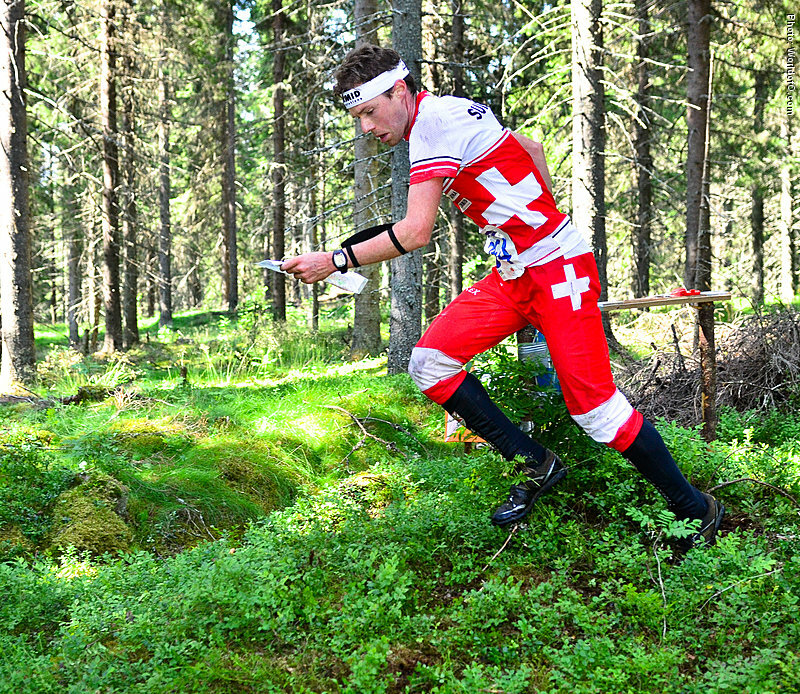 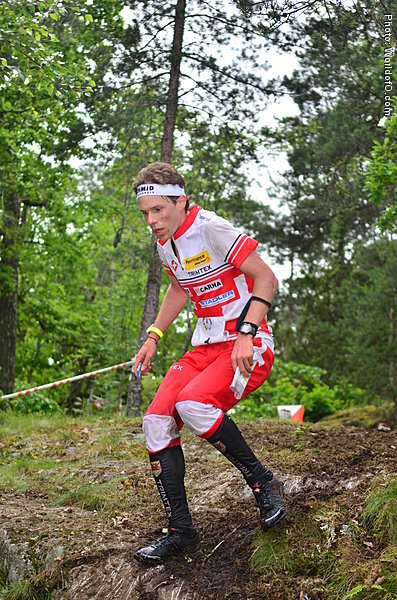 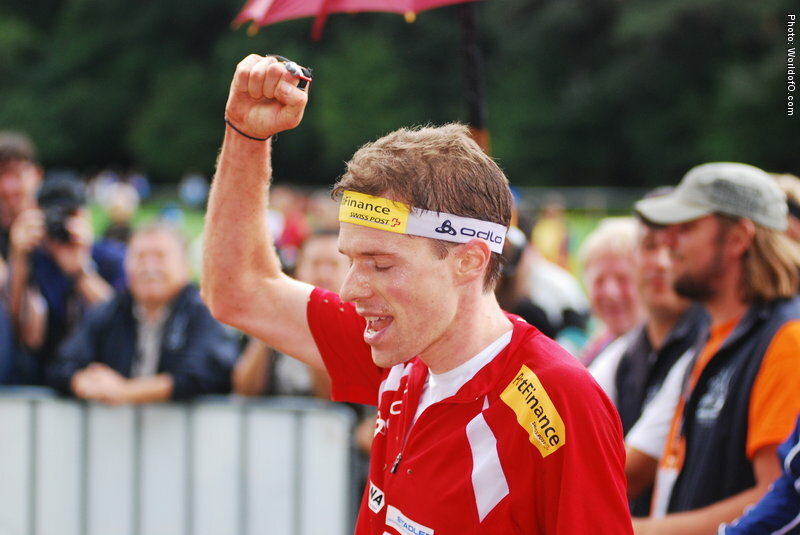 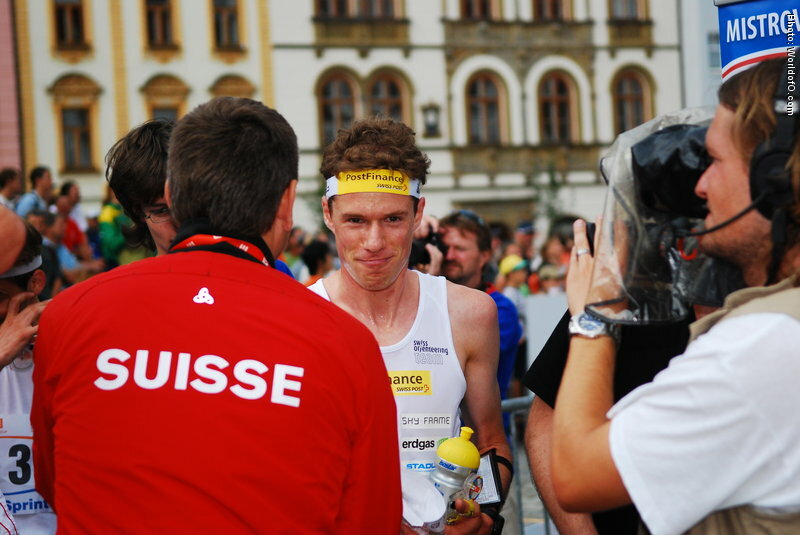 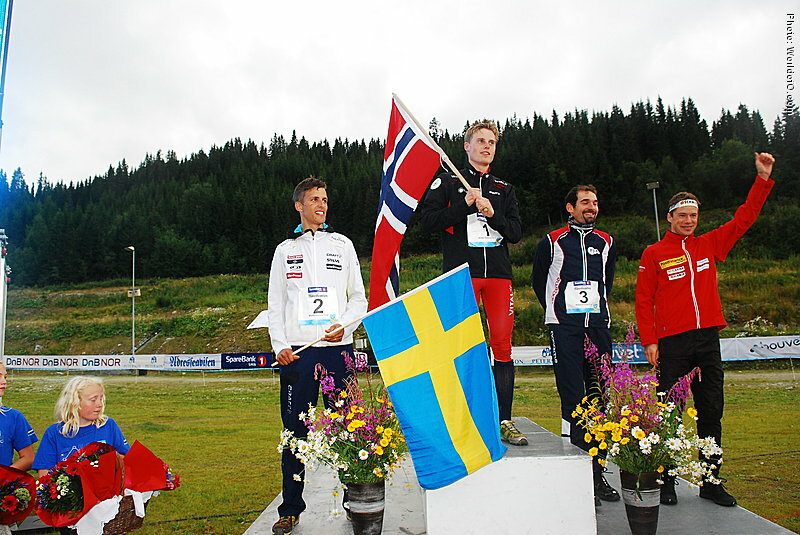 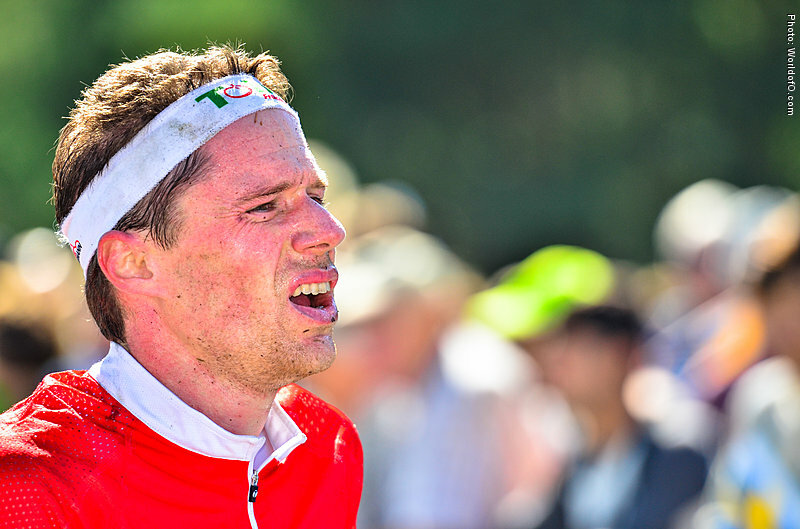 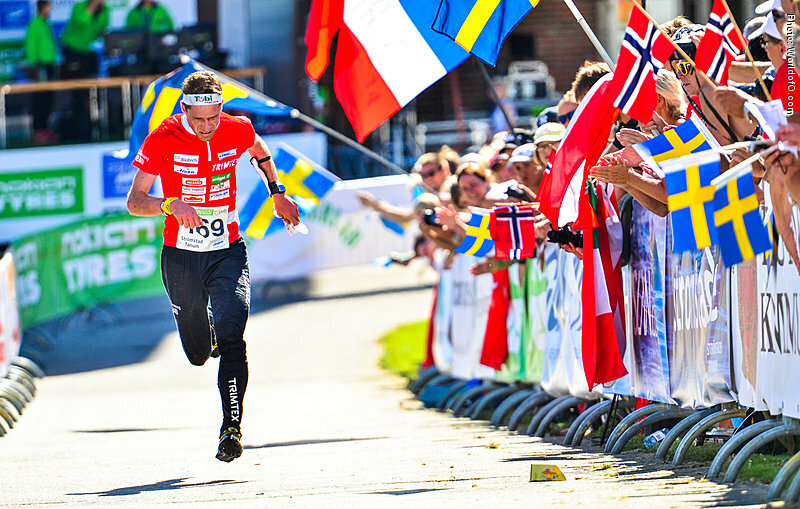 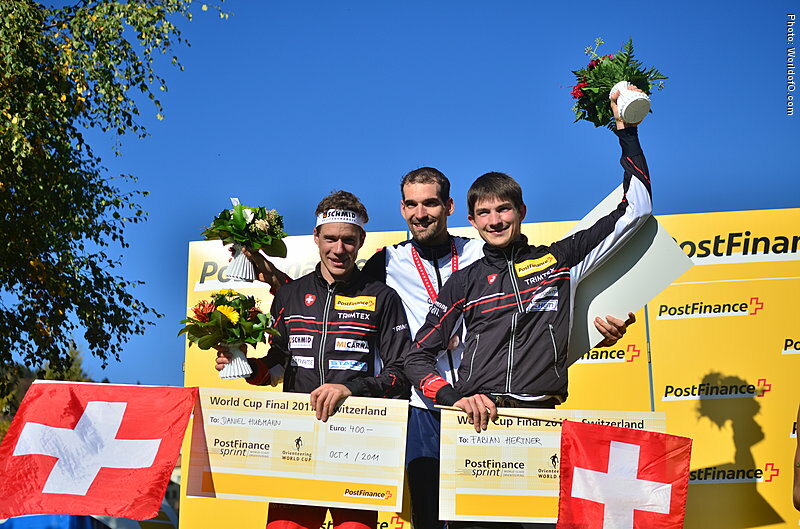 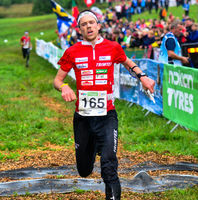 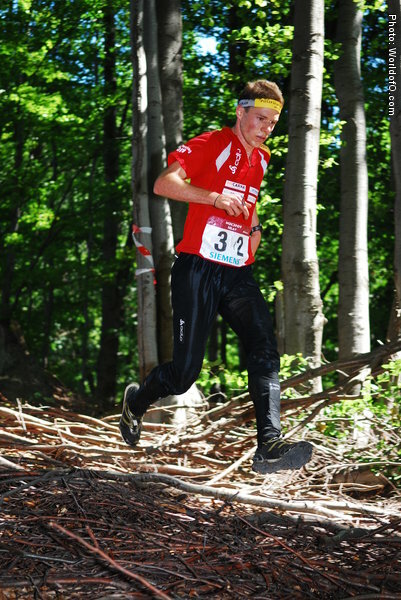 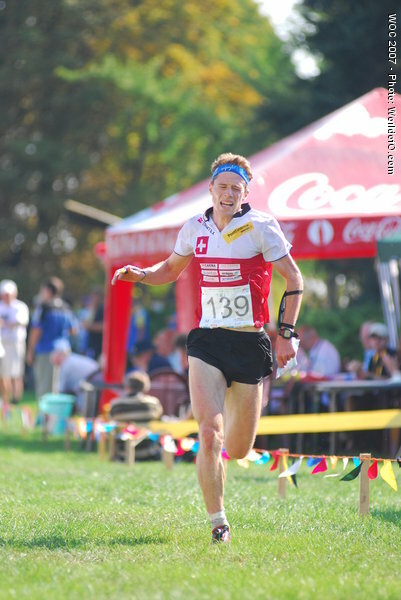 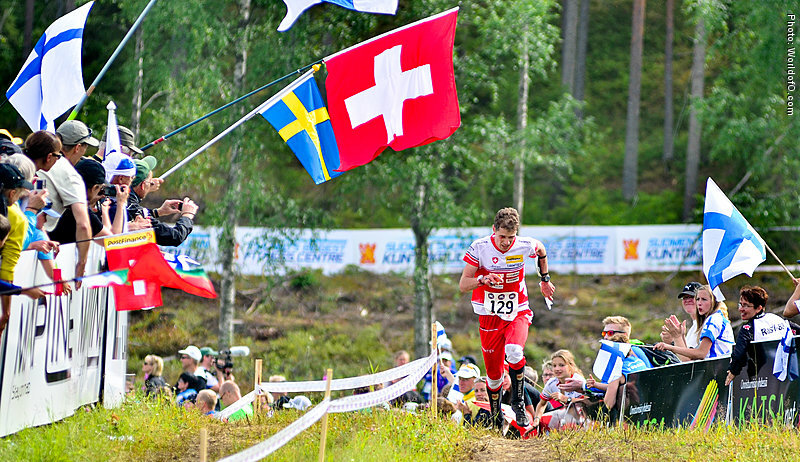 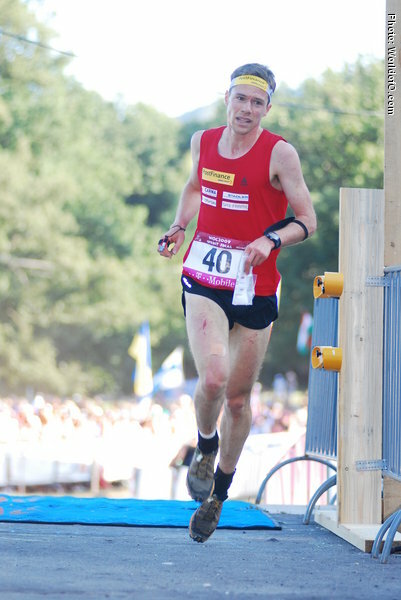 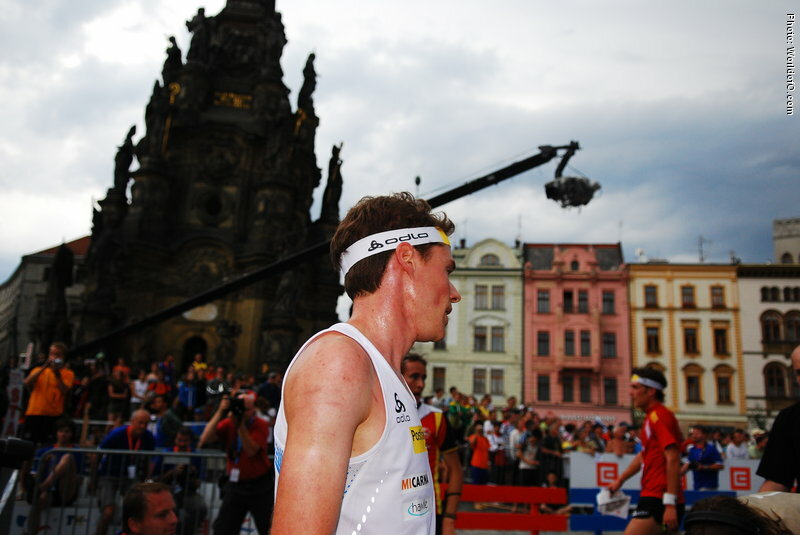 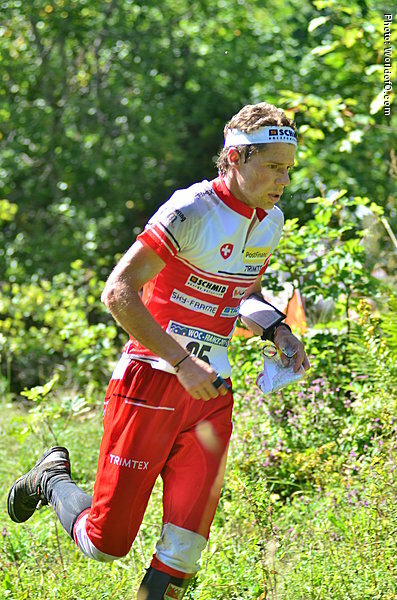 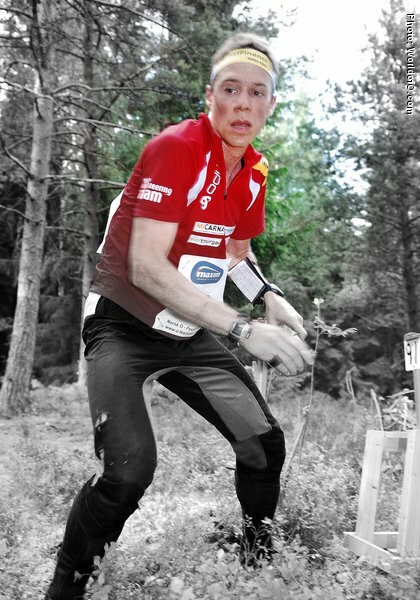 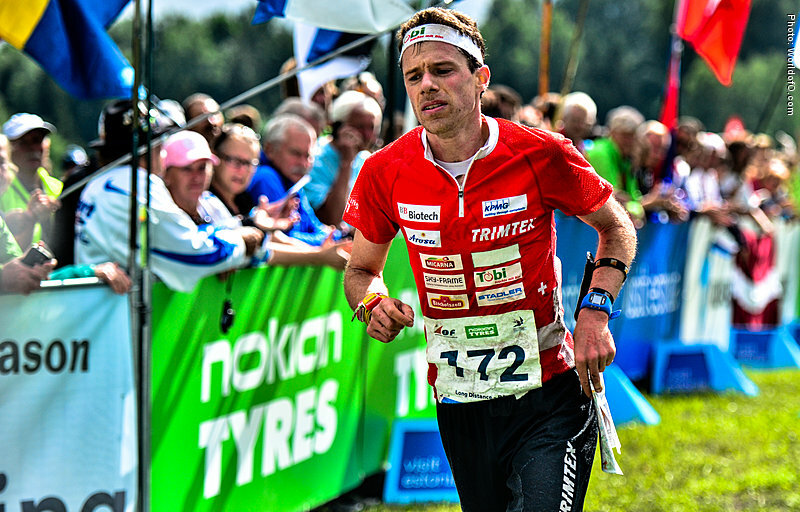 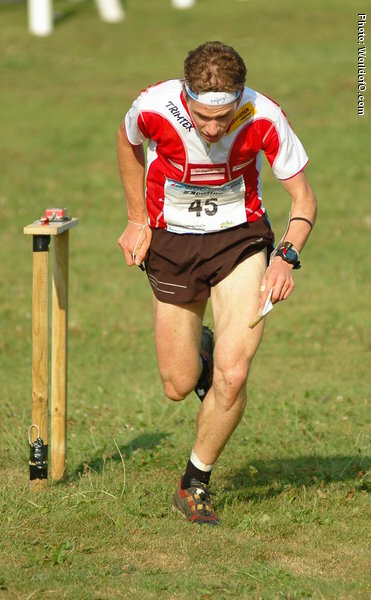 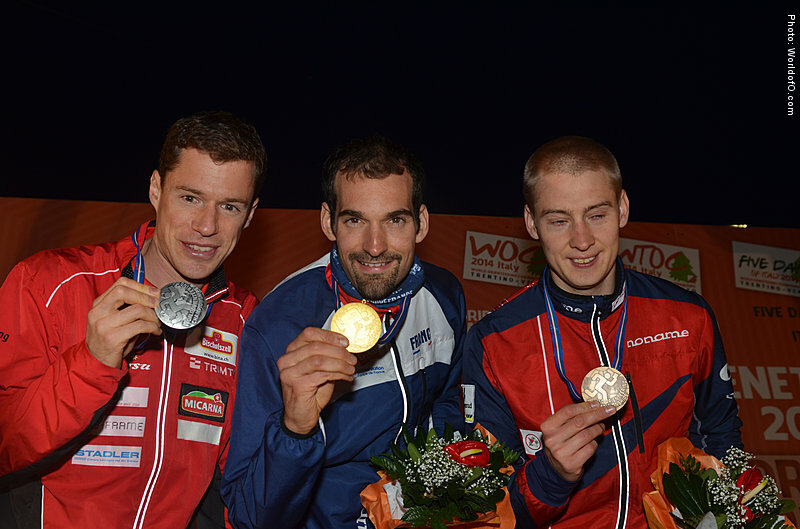 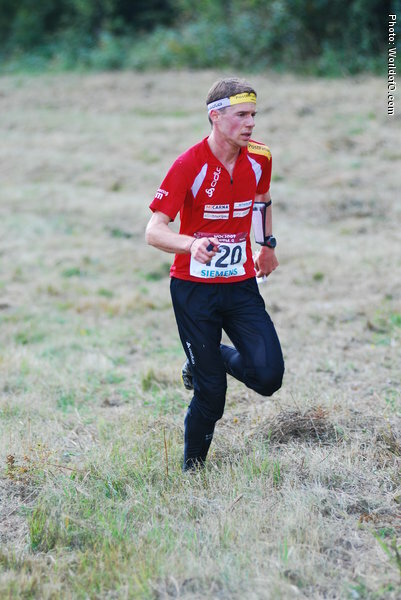 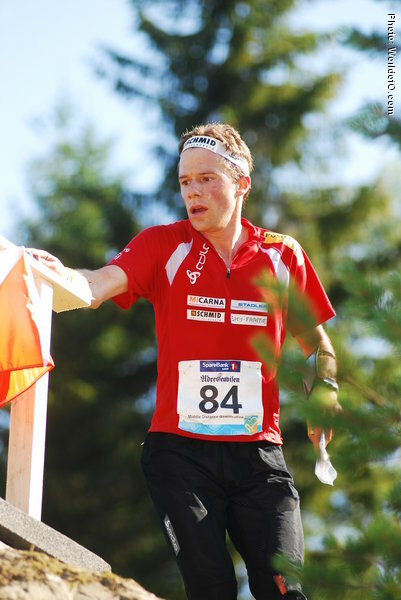 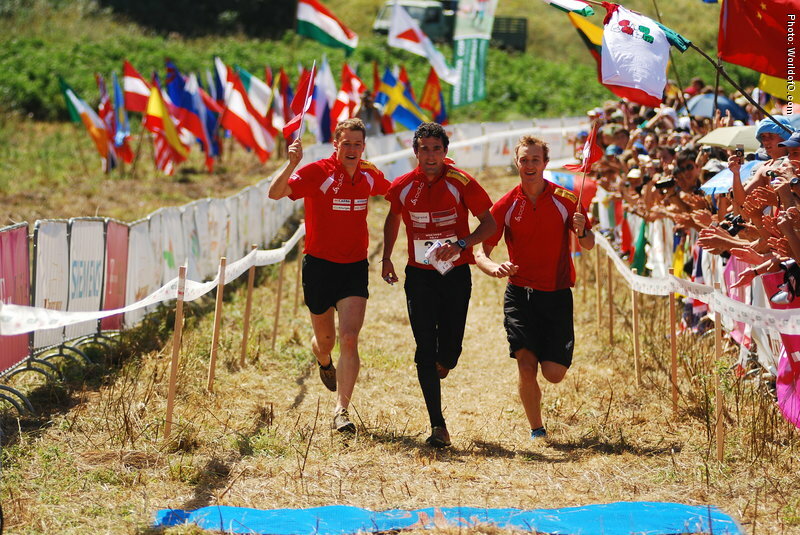 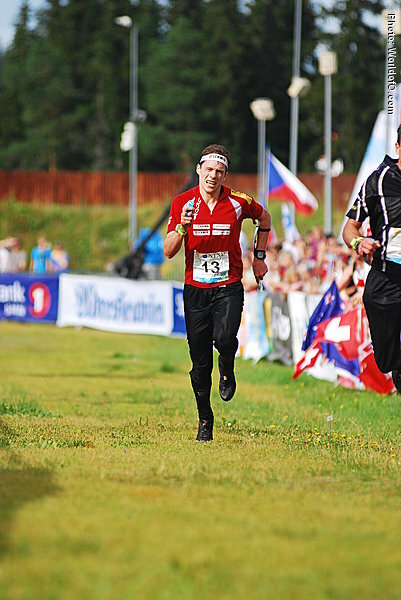 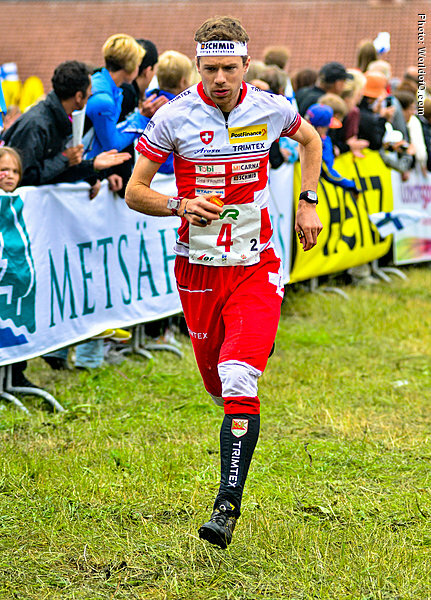 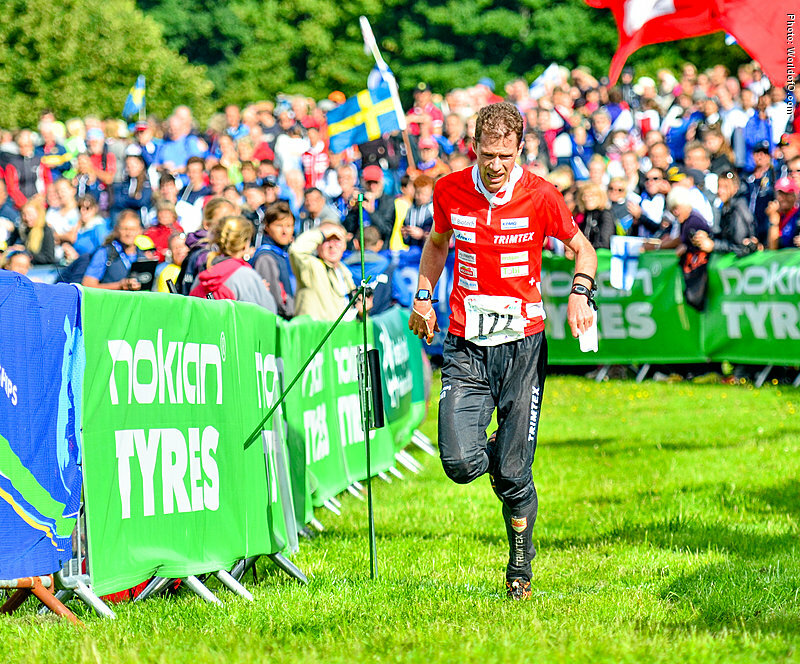 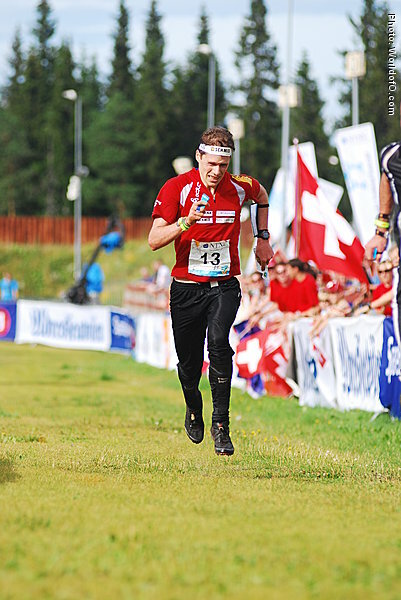 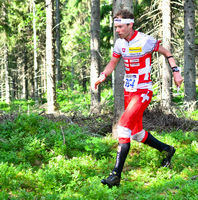 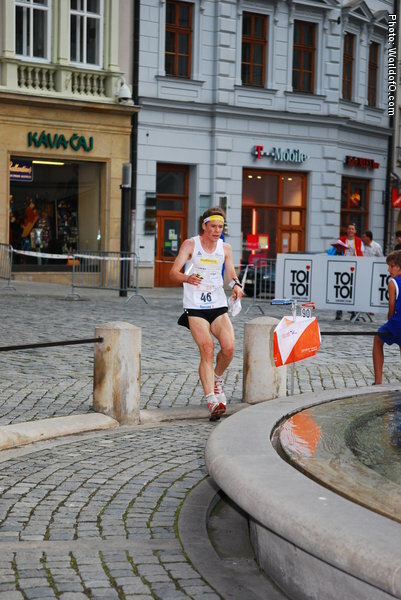 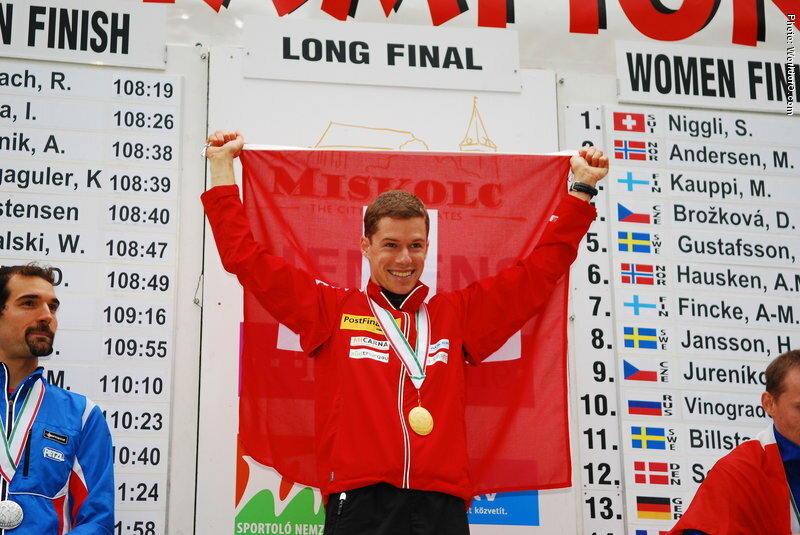 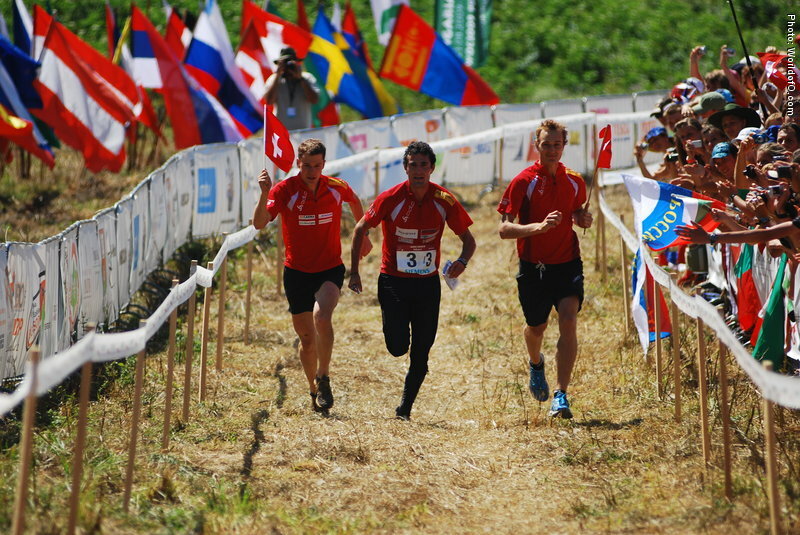 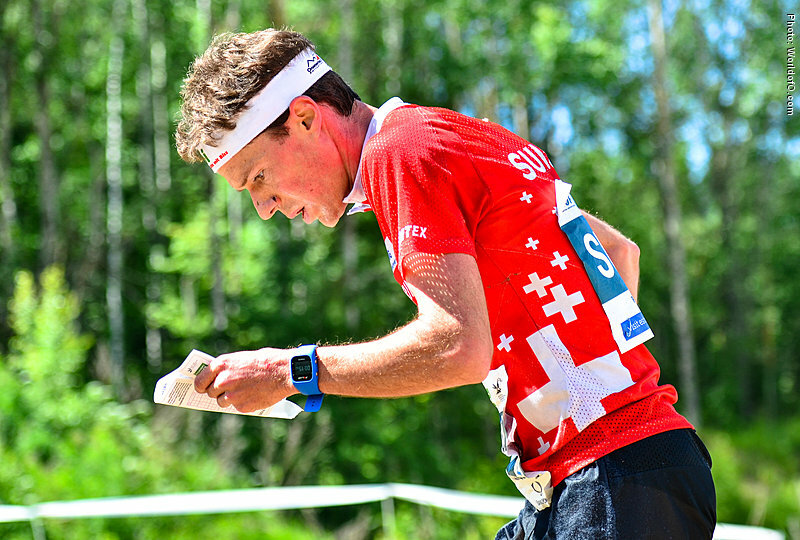 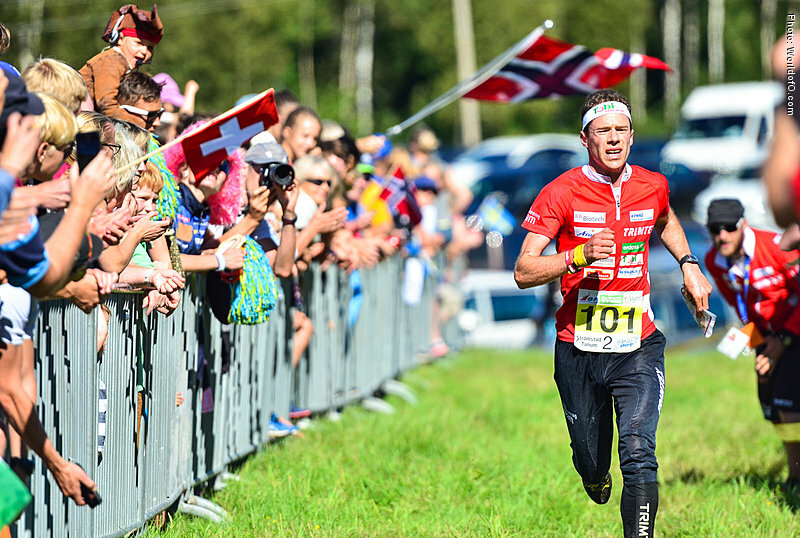 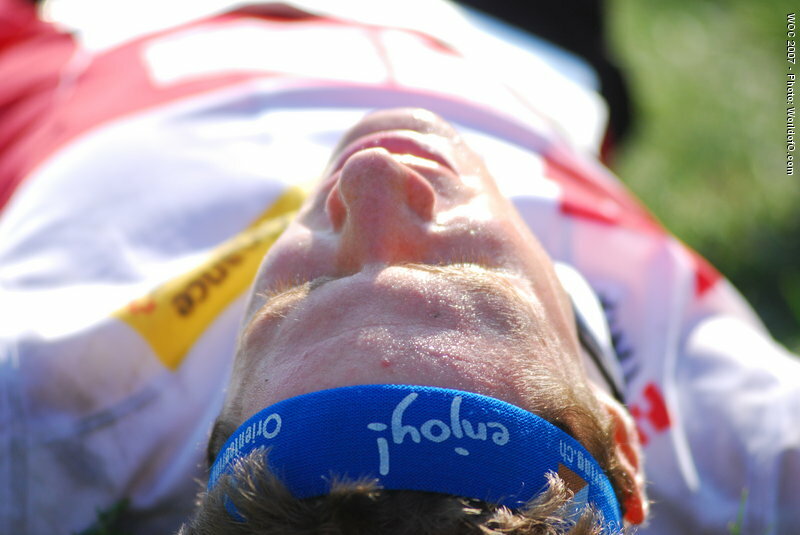 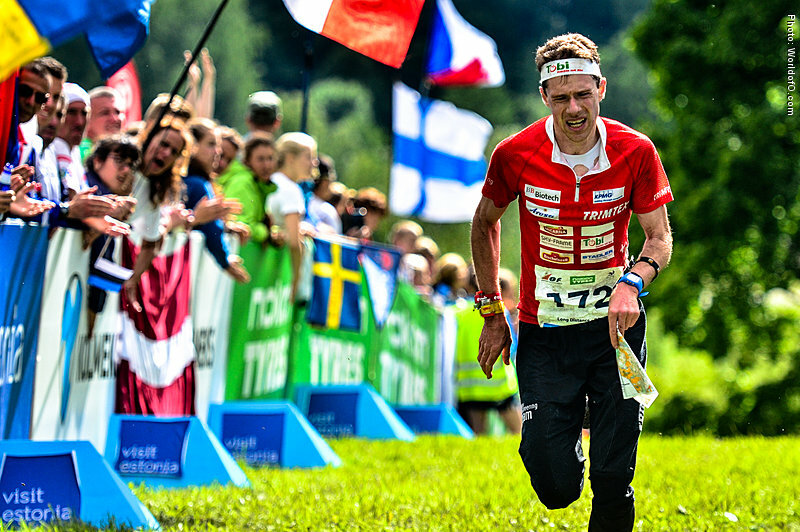 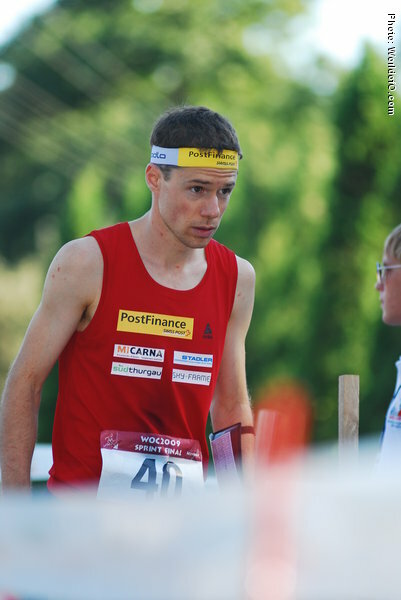 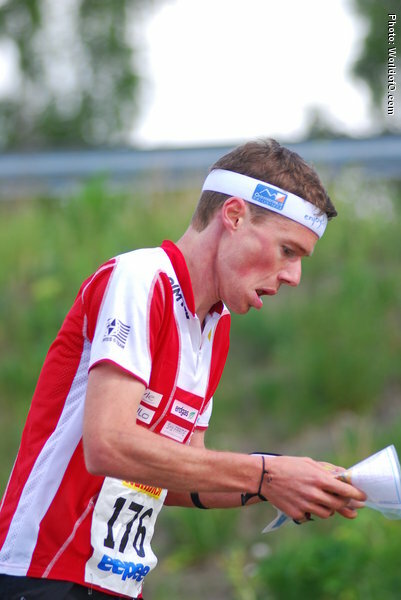 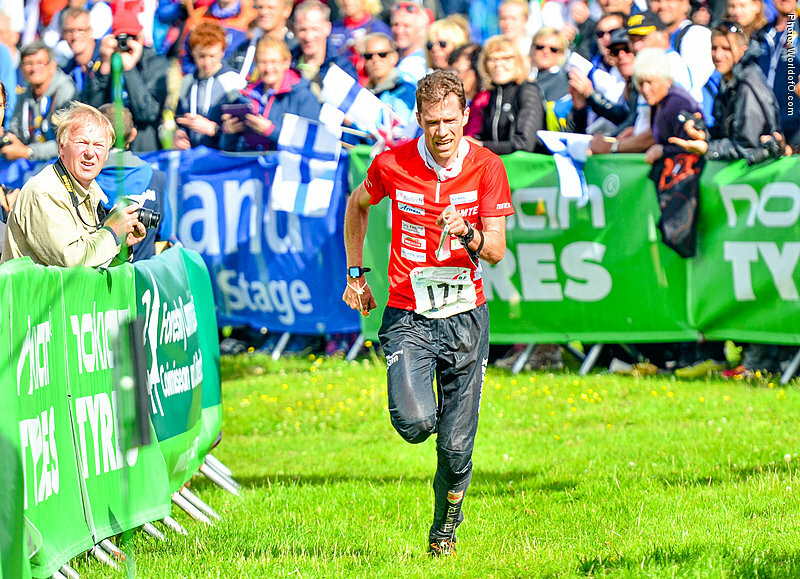 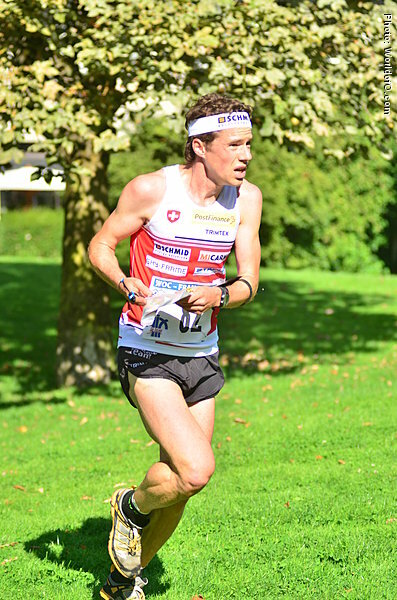 Surprised a whole orienteering world when he sprinted past Emil Wingstedt to give SUI a bronze medal at WOC-relay 2005. 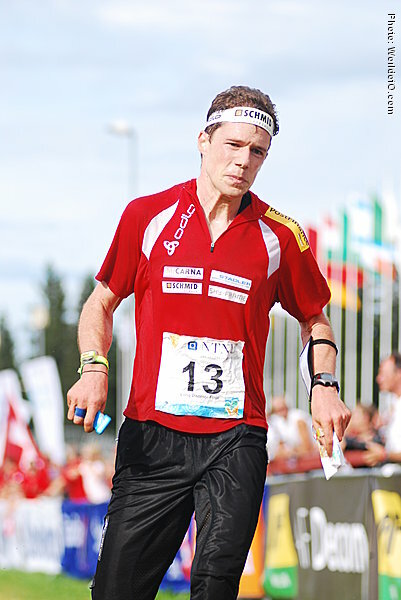 Daniel Hubmann (283 times) .